The decision to close a school is never made lightly. 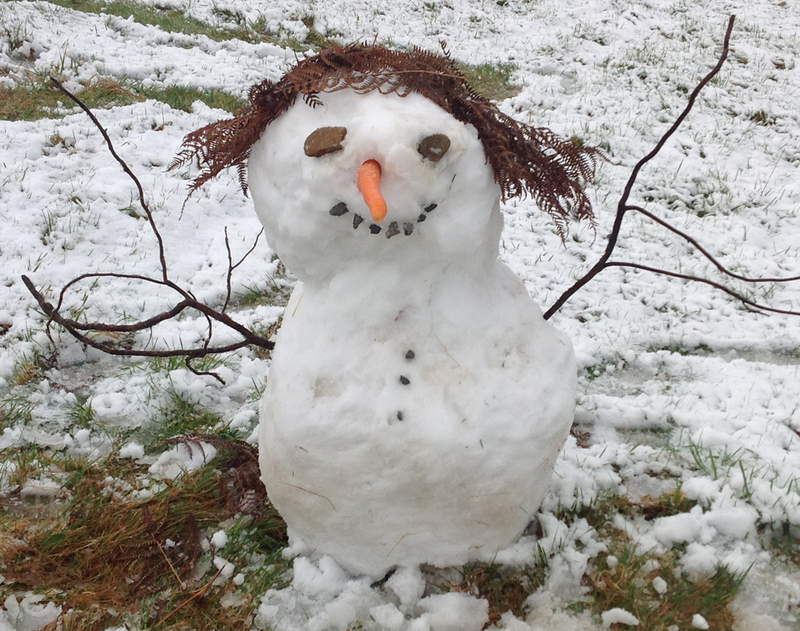 Every effort will be made to keep the school open but several factors must be taken into consideration – children and staff’s health and safety and the number of staff who are absent due to bad weather. If a decision is made to close the school – we will contact the parents as soon as possible. The Headteacher will e-mail and text parents and a message will be posted on the school’s website / Twitter / Facebook and Gwynedd Council's website. We appreciate the effects that closing the school can have on parents – especially with childcare and also on work. 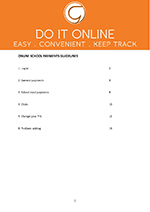 We will do our best to ensure consistency and to inform you as soon as possible. Just a note to remind you that Monday, February 19, 2018, is an INSET day / no school for children! There are several researches puplished following the death of Jasmine Lapsley while on holiday in Morfa Nefyn in August 2014, and they all strongly states the dangers of eating whole grapes - especially for children. "... Grapes can completely plug a child's airway, with research suggesting they are the third most common cause of death in food-related incidents ... Grapes are the third most common cause of death among children who die in food-related choking incidents, and Doctors say a lack of awareness among parents, carers and health professionals could be leaving young children at risk ... The size and shape of grapes means that they can completely plug children's airways, with the tight seal produced by fruit's smooth, flexible surface making them tricky to shift with first aid manoeuvres. " When looking at 3 recent case studies, they all report the story of children choking on grapes with fatal consequences "... In all instances, adults were present, identified the problem quickly and promptly instituted appropriate first aid manoeuvres for the treatment of choking but with no success. In fact, even when these measures were performed by trained ambulance personnel, they were also unsuccessful and all cases required that the grape be removed under direct laryngoscopy, clearly something that requires specialist expertise and equipment ... Though we would wholeheartedly support the wide dissemination of the knowledge and skills to promptly identify a choking child and intervene appropriately, prevention is better than cure." Although most parents cut the grapes in the appropriate way, unfortunately not everyone does. Therefore it proves difficult for us to be monitoring and reminding pupils and parents, especially given the serious consequences of swallowing grapes as a whole. Therefore, I have decided to ban eating grapes in the school altogether. It has become apparent recently that many pupils who receive a lunch box do indeed throw away sandwiches or other items of food that they do not like in the litter bin. I'm sure, like parents, you would appreciate finding out exactly how much the children eat at lunchtime. Therefore, I will ask the pupils to take away the remains of their lunch box at home. 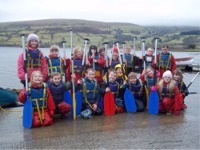 Over the years, Ysgol Pentreuchaf’s teachers are able to identify the needs of individuals and give specific attention individually or as part of a smaller group by drawing personal targets for them. But recently, we have created a system where we use the expertise of our wonderful staff to give extra attention to a range of pupils who need a small boost with their personal targets. 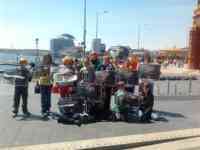 These groups are called ‘Grwpiau Gorau Glas’. Pupils in the groups can take advantage of this intervention for at least 2/3 times a week without interfering their work in the classroom. 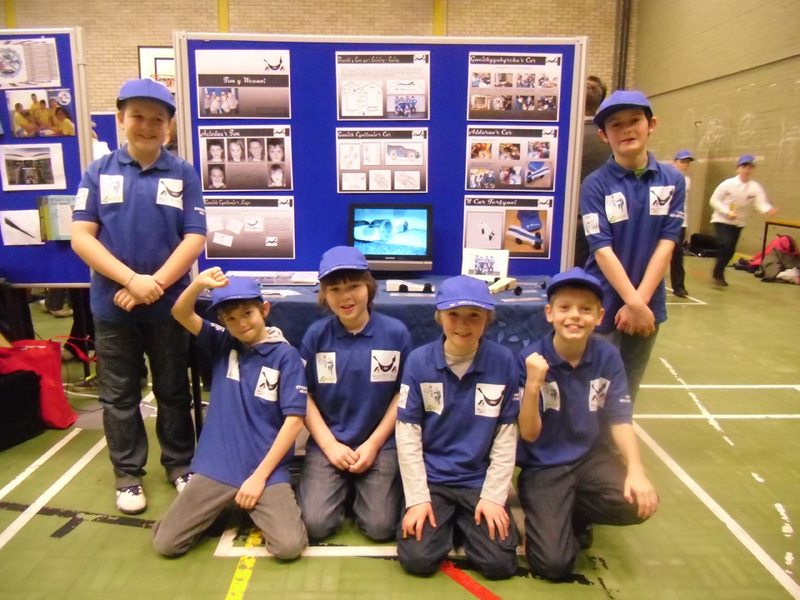 Without a doubt, it enriches pupils' skills on the classroom and leads to progress and raising standards. 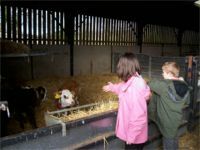 There is no time limit when the pupils are part of the groups – he / she can be part of it for 6 weeks or more if there is need to target further. Pupils in the groups are not necessarily pupils with special needs, but rather pupils who need the extra boost to move forward faster. If you have any queries or if you feel your child would benefit from an extra boost in a particular aspect, please contact me. Following your comments about your children's homework, the school's staff and governors have carefully considered your responses and have successfully added the following to the school homework policy. 11. Teachers will set spelling homework, tables, handwritig, identifying letters and reading as necessary. 12. KS2 teachers will install homework through 'Mathletics' and 'Spellbound' software as necessary. That is to say, there will be more emphasis on reading, spelling, handwriting and teaching times tables as necessary - the things that underpin your child's language and mathematical development. But, on the other hand, there will be less workload for your child and for you as parents and the family unit in the strain of trying to achieve weekly homework. By listening to your opinion, we have tried to get the best balance of reducing the current 'stress' in our homes when trying to get the children to complete homework, and to assist many of you who want to help your child at home. Of course, at home, the expectation of you as parents to help your child learn spelling, times tables and especially to read regularly and read a story from time to time continues. This is the key to your child's academic progress. The success of the homework scheme will depend on efficient school / home co-operation. These are the things that give your child the roots and wings for the future. Cofiwch am ein Ffair Nadolig yng Nghlwb Rygbi Bodegroes am 6 o’r gloch,Rhagyf 1 af. Diolch i chi fel rhieni a chyfeillion yr ysgol.Casglwyd 72 o focsys Nadolig eleni.Casglodd y plant £118.00 o arian tuag at ‘Blant mewn angen’. Carwn ddiolch o galon i amryw sydd wedi ymweld a’r ysgol yn ddiweddar.Daeth Ms Catrin Glyn atom i drafod a chyflwyno creaduriaid yr arfordir sydd o’n cwmpas ym Mhen Llyn;Sioned Williams i drafod ei hymweliad a’r Affrig gyda dosbarth Miss Sara Jones;Mr Andrew Settatree i gyflwyno Pel droed Cymru yn ein gwasanaeth a a Mr John Settatree i gyflwyno app addysg grefyddol newydd i Fl 5 a 6.Yr un croeso hefyd i’n hymwelydd rheolaidd P.C Owen. 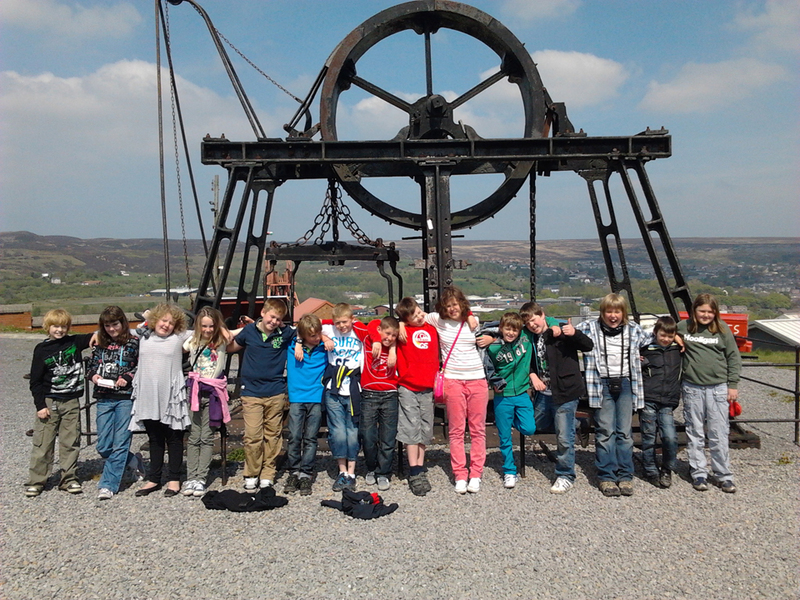 Croeso mawr i Mrs Alaw Roberts atom fel myfyrwraig TAR. 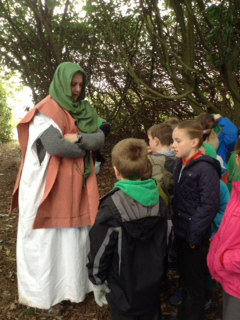 Mae wedi hen setlo yn nosbarth Mrs Fflur Griffith a Bl 5 a 6. 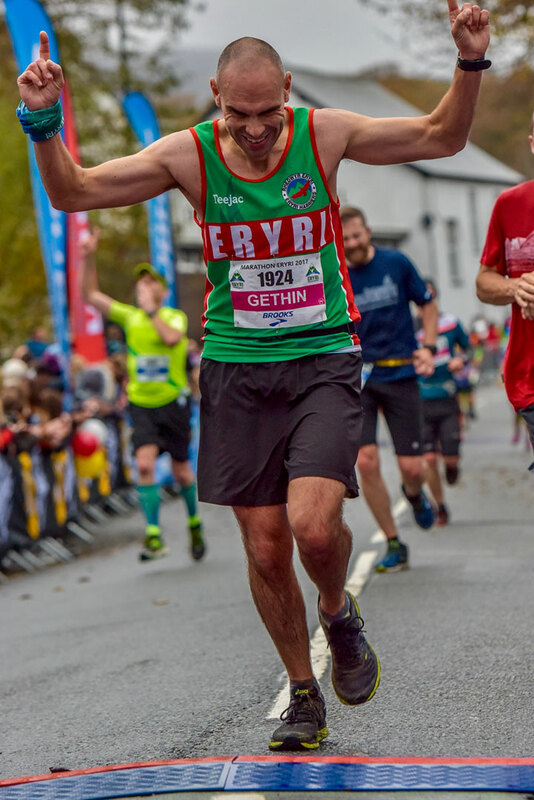 Carwn fel ysgol longyfarch Mr Gethin Thomas ar ei gamp yn cwblhau Marathon Eryri yn ddiweddar.Casglodd swm anrhydeddus o £700 tuag at ddiffibriliwr i giosg Pentreuchaf.Rwy’n siwr y carai pobl y pentref a’r ardal gyfagos ddiolch o galon iddo am gefnogi’r achos teilwng yma. 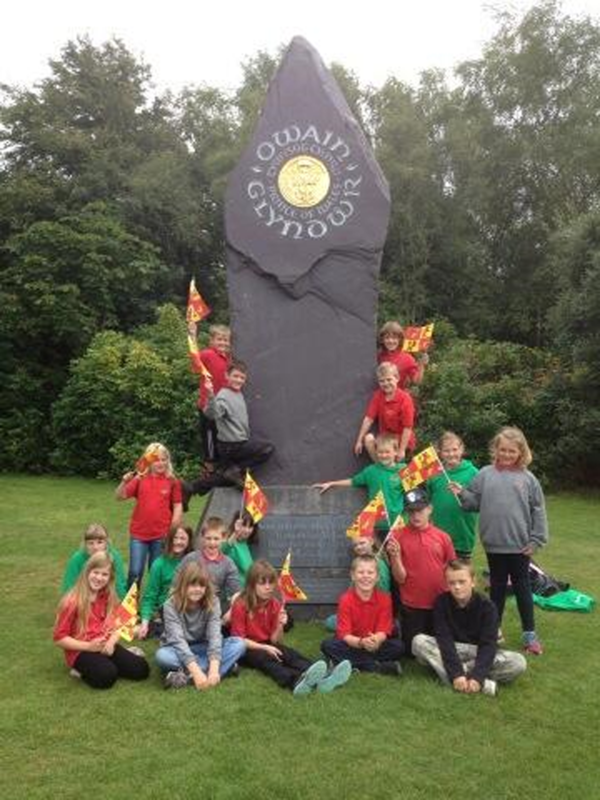 Llongyfarchwn bawb a gymerodd ran yn Ngala Nofio’r Urdd ym Mangor yn ddiweddar.Da iawn chi am gymeryd rhan. 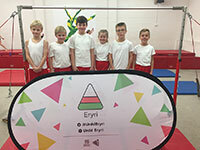 Daeth llwyddiant mawr i Dim Gymnasteg yr Urdd ym Methesda. 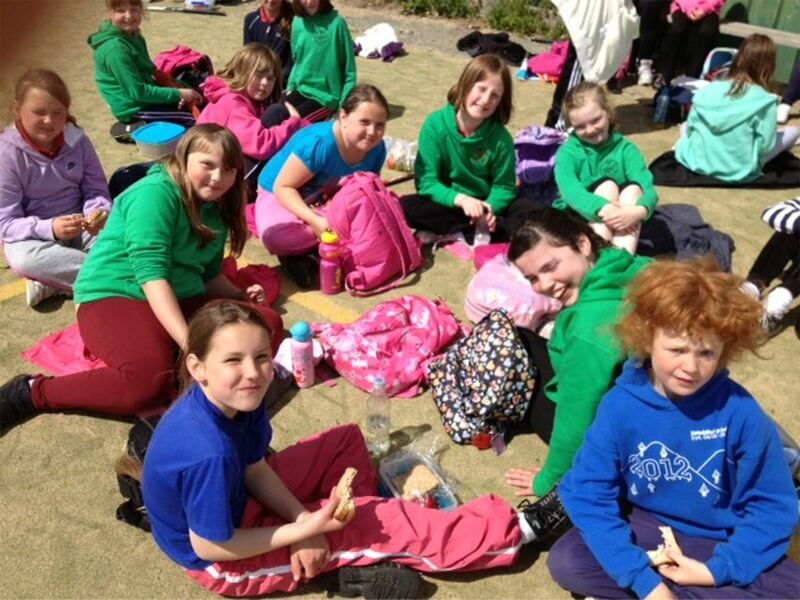 Maent wedi llwyddo i fynd i’r rownd Genedlaethol yn Aberystwyth fis Chwefror.Diolch i’w hathro gymnasteg!Pob lwc Gethin,Gwion,Morus,Osian,Owain a Nyfain. Diolch yn fawr i Rachel a John am ddiddori aelodau’r Urdd gyda gemau ac i Huw am ddod i ddweud ei hanes yn rhedeg y Sahara. Bydd gennym noson Nadoligaidd i orffen y tymor yma cyn cychwyn ar weithgareddau’r eisteddfod a chelf a chrefft y tymor nesaf. Carai’r ysgol ddymuno Nadolig Llawen iawn i holl ddarllenwyr y Llanw a blwyddyn newydd dda! 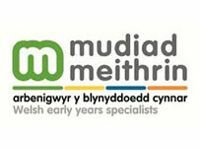 03.10.17 Cylch Meithrin Pentreuchaf has recently made provisions to accept 2 year olds! As a parent, we are aware how important it is for you to feel that you are choosing the best education for your child. 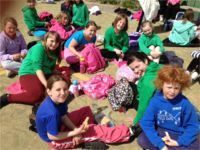 Therefore, you can be rest assured that your child will receive the best possible care and education at Cylch Meithrin Pentreuchaf. 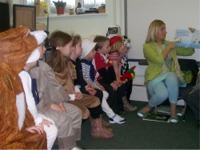 The aim of the cylch meithrin is to promote the education and development of children from two years old to school age. 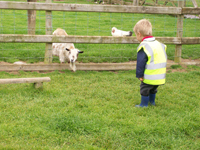 Children will be able to learn through play and socialise under the guidance of our professional, qualified and dedicated staff. Welsh is the language of the cylch meithrin, but every child is welcomed to attend the cylch meithrin whatever the language spoken at home. Play is very important to every aspect of a child's development. Therefore, the experiences and activities offered in the cylchoedd Meithrin are based on learning through play. 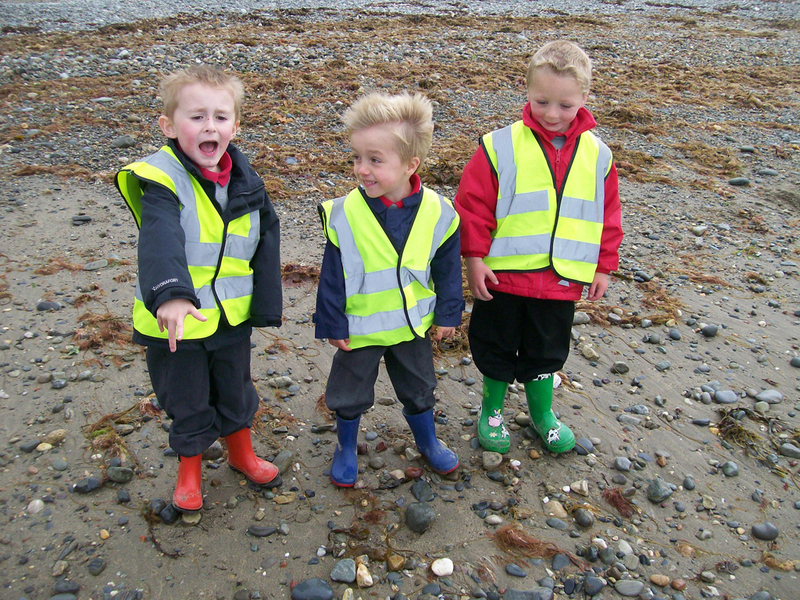 There is a special emphasis on language development and the personal, social and emotional development of children in the cylchoedd. All children are warmly welcomed to the cylchoedd whatever their colour, race, social class, family status or additional needs. 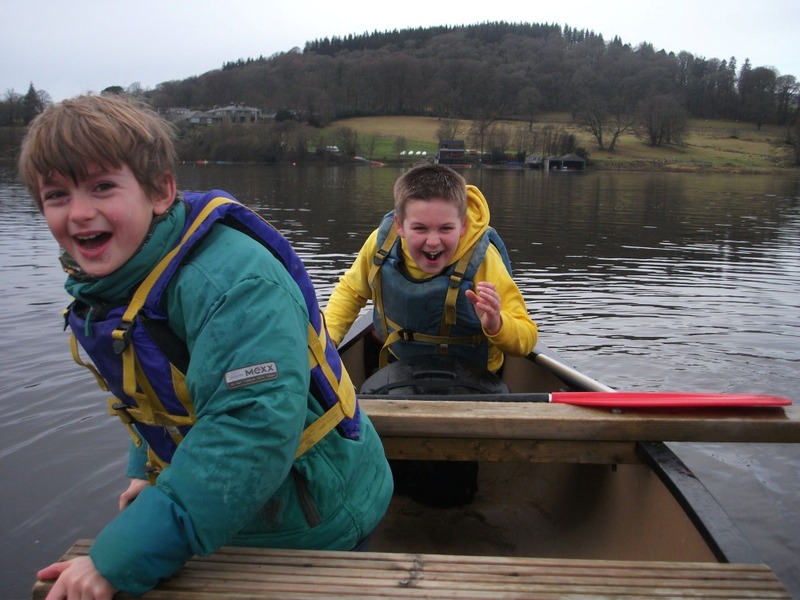 Children with additional needs are given extra support in order to enable them to join in all the cylch's activities. I weithio fel rhan bwysig o’r tîm glanhau. Dyletswyddau i gadw ardal benodedig yn lan, ac mewn cyflwr a fydd yn hybu iechyd. 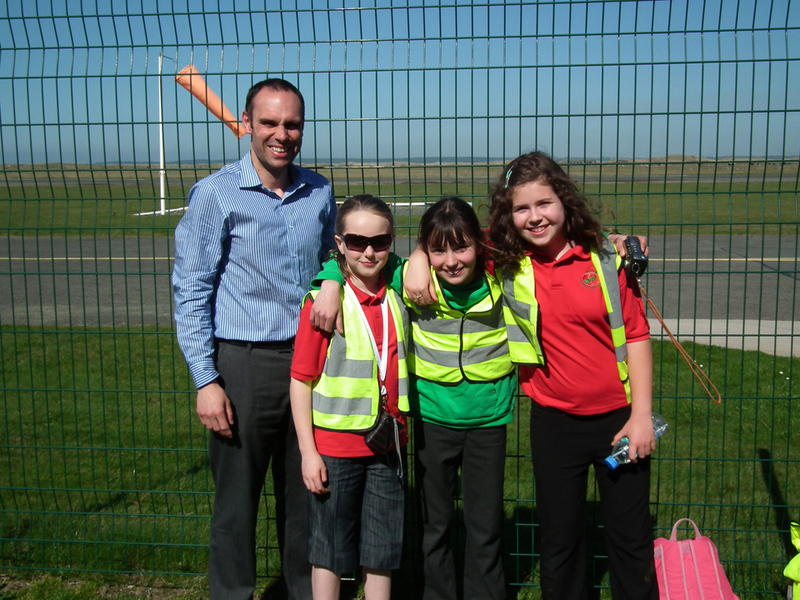 14.75 awr yr wythnos yn ystod tymor yr ysgol. Roedd arogleuon blasus iawn ar hyd cynteddau’r ysgol cyn y gwyliau hanner tymor.Mewn un dosbarth roedd cawl cennin a thatws yn cael ei baratoi tra mewn dosbarth arall roedd brecwast iachus ar y fwydlen.Da iawn blantos am gofio bwytaeich llysiau a ffrwythau! 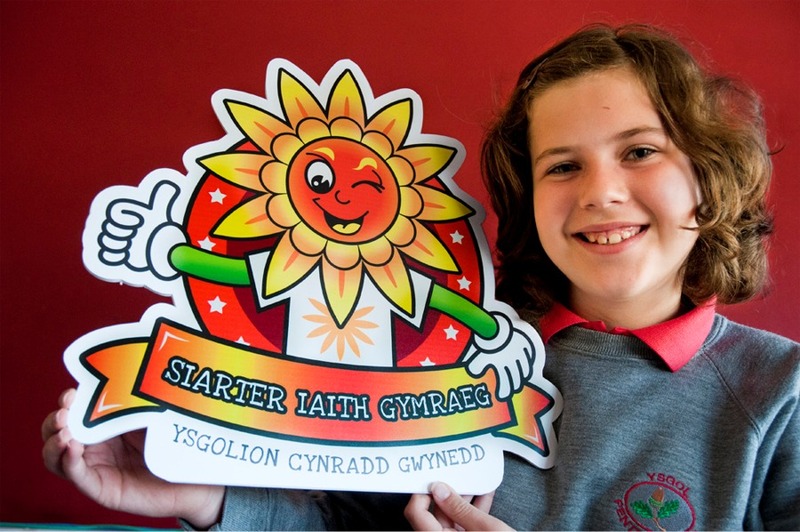 Croesawn Miss Llio Williams atom i’r ysgol am gyfnodymarfer dysgu yn nosbarth Miss Sara Jones. Gobeithio byddidi yn setlo yn ein plith Llio. Bu disgyblion Blwyddyn 6 yn rhan o weithdy er mwyn datblygu a hybu gwell ddefnydd o apps addysgol Gymraeg gan gwmni @atebol. Mae'r gwaith er mwyn hybu sgiliau mentergarwch ein disgyblion yn mynd o nerth i nerth. Yn wir, daeth Ifor ap Glyn at Flwyddyn 5 a 6 er mwyn rhoi arweiniad iddynt ar ysgrifennu hysbyseb drwy farddoniaeth. Bydd yr hysbyseb yn cael ei harddangos i griw o ddynion a merched busnes banc cyfoethog y Salamanca ym Mayfair, Llundain ddiwedd mis Mawrth! Bydd y disgyblion yn rhoi cyflwyniad ar ffurf 'Dragon's Den' i'r banc er mwyn ceisio trafod telerau a nawdd er mwyn datblygu'r fenter yn genedlaethol ac yn rhyngwladol!! Bu tim athletau blwyddyn pump a chwech yr ysgol ynchwysu chwartiau mewn cystadleuaeth Sporthall ym Mhorthmadog yn ddiweddar. Gweithiodd y tim yn dda iawn gan ddod yn bedwerydd. Llongyfarchiadaui chi! Mwynhaodd pawb gwmni hapus Dewi Pws a’I fanjo. Codwyd y to gyda’i gan newydd i Dewi Sant a chymerodd pawb ei neges o ddifrif nad oedd neb o’r plant i dyfu i fyny!! Diolch i bawb o deulu’r ysgol am eu cefnogaeth i’r Pared er gwaethafy tywydd gwlyb! Yr wythnos ddilynol daeth Anti Nia a Wendy atom i drafod cyflwr y llygaid ac i ddangos offer syddo gymorth fel y llyfr Braille.Diolch i chithau’ch dwy. 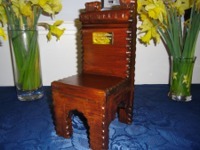 Cafwyd gwasanaeth gan Flwyddyn 4 yn actio hanes Louis Braille a’i ddylanwad hyd heddiw. 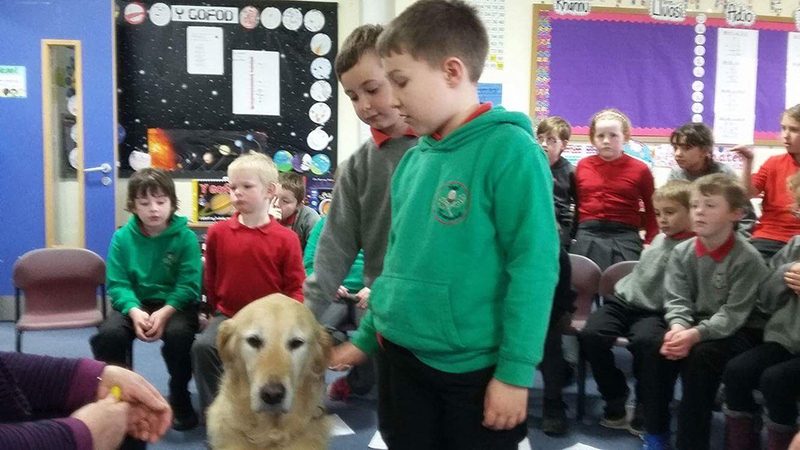 Croesawyd Buddug Jones o Gaernarfon gyda’i chi tywys,Freya i ddosbarthiadau iau yr ysgol.Cafwyd sgyrsiau ac atebion difyr i gwestiynau’r plant am ddallineb ac am y cymorth yr oedd Freya yn ei roi iddi.Diolch o galon am eichamser Buddug a Freya. Mae Ionawr wedi hen fynd bellach a chroesawn y mis bach.Cawsom fis cyntaf prysur yn bwrw ati i gychwyn ar ein themau newydd. ‘O Begwn i begwn’ ydyw thema’r Cyfnod Sylfaen tra mae ‘r Adran Iau yn ymchwilio i wahanol ffyrdd o ‘Gyfathrebu’ ar y Ddaear a’r Gofod. 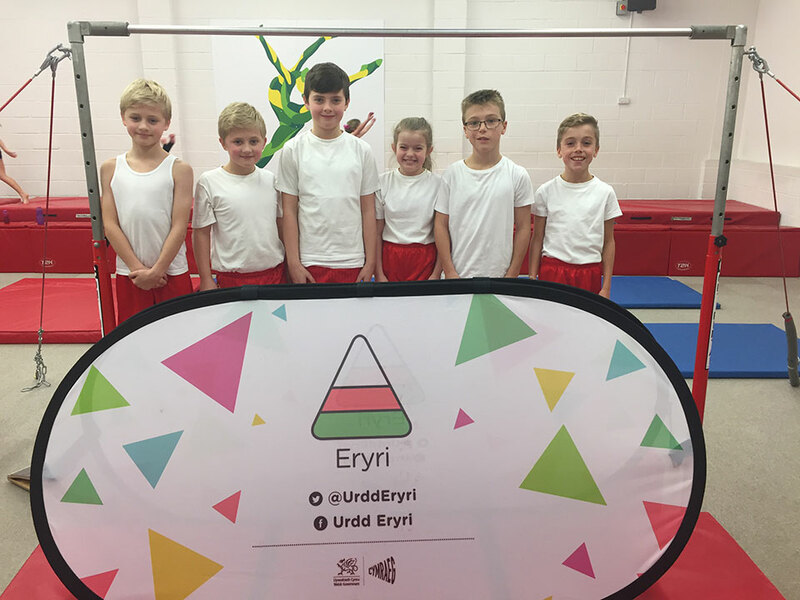 Llongyfarchiadau i holl blant yr ysgol ar ennil gwobr aur y Siarter Iaith .Ein nod yw aros ar yr aur trwy ein holl weithgareddau addysgol ac allgyrsiol-yn yr ysgol a’r gymuned. Mae menter Bl 5 a 6 ,’Llechan Lan’ yn mynd o nerth i nerth.Croesawyd Mrs Bethan Jones Parry i’r dosbarth yn ddiweddar dros Safle Treftadaeth y Byd i drafod y fenter a’i phwysigrwydd.Mae cynlluniau cyffrous ar y gweill lle bydd gwibdaith go bwysig i werthu cynnyrch y dosbarth.Gwyliwch y gofod! 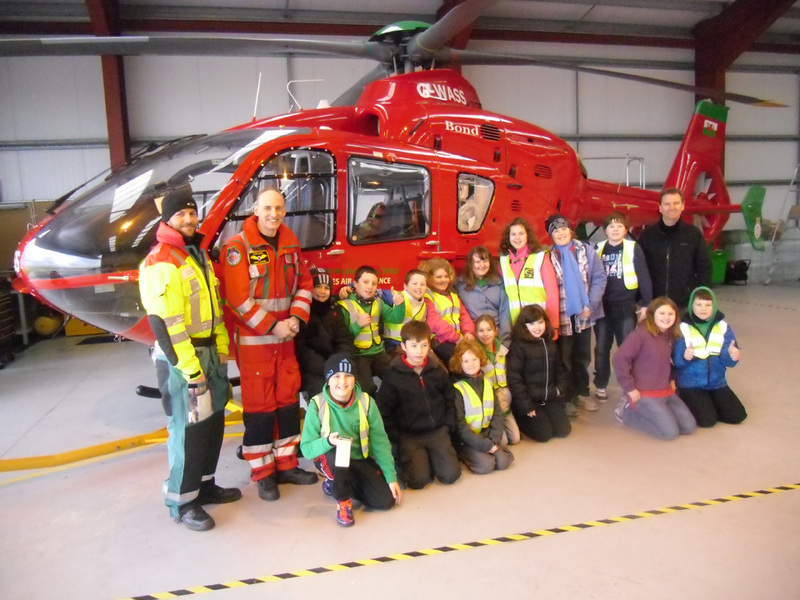 Daeth P.C Owen ar ei ymweliad a phob dosbarth i wneud yn siwr ein bod i gyd yn cadw’n saff a diogel mewn amryw o ffyrdd.Diolch P.C Owen.Braf hefyd oedd cael croesawu criw Agor y Llyfr yn ol atom y flwyddyn yma ac edrychwn ymlaen am y straeon trwy ddrama. Bydd croeso mawr i unrhyw blentyn a rhieni ym Mhared Dewi Sant fydd yn digwydd ym Mhwllheli am 11 ar Chwefror 25.Mae’r plantos eisioes yn dysgu’r gan arbennig ar gyfer y diwrnod. 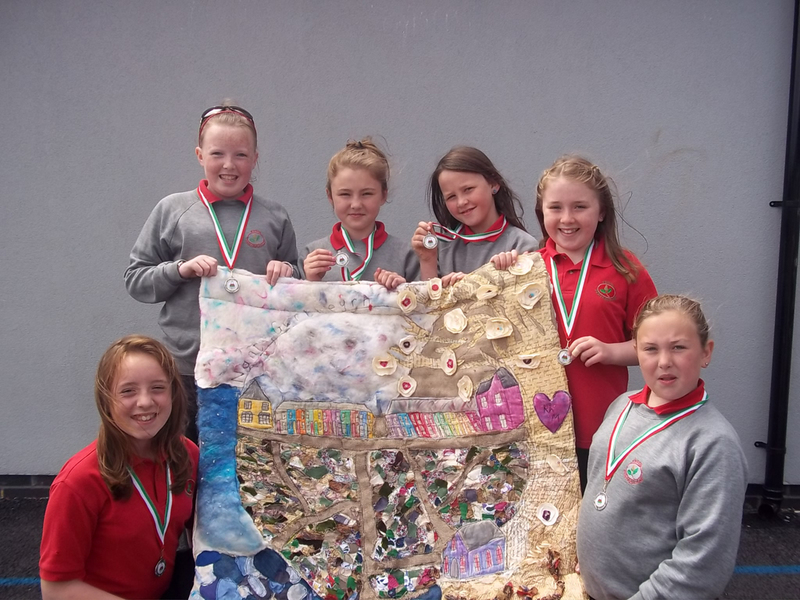 Bydd Eisteddfod Cylch yr Urdd ar Fawrth 4 ydd yn Ysgol Glan y Mor.Mae’r plant eisioes wedi cychwyn ar wahanol gystadlaethau ac yn brysur yn creu celf ar nosweithiau Llun gyda chriw awyddus o rieni.Diolch yn fawr i chi. Hoffwn longyfarch cyn-ddisgybl yn yr ysgol sydd wedi sicrhau lle iddi ei hun yng ngharfan rygbi Merched Cymru.Bydd Morfudd Ifans,Tyddyn Cae yn chwarae dros ei gwlad yn y gemau chwe gwlad yn yr wythnosau nesaf.Pob lwc Mo! 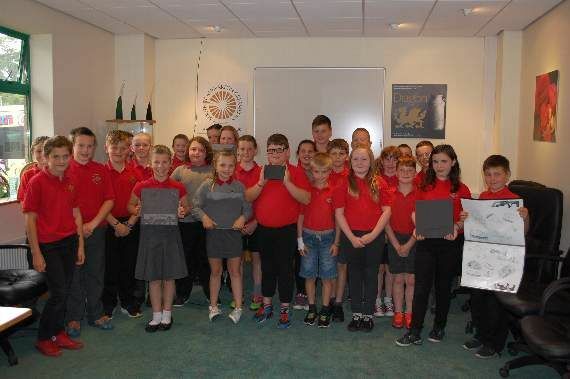 This enterprise which is the children’s own initiative, uses essentially Gwynedd slate and the children’s designs to produce serving slates in cooperation with Cerrig, a Pwllheli-based stone supplying company. Another part of the venture is to create a partnership with food provision/production companies in the North West to use these slates to create unique packs. Hoffwn fel ysgol groesawu Anti Llinos i ddosbarth Miss Jones Bl 1 a 2.Bydd Anti Llinos hefo ni dros gyfnod mamolaeth Anti Sophie.Dymunwn yn dda iawn iddi hithau ar ei chyfnod cyffrous! 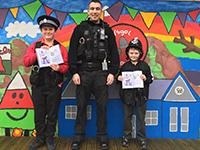 Croesawodd yr ysgol nifer o ymwelwyr yn ddiweddar yn cynnwys Mrs Nia Williams(a Lewis) gyda’i gwasanaethau bywiog;PC Owen gyda’i gyflwyniadau diddorol;Mr Wyn Owen gyda chyflwyniad i’r plant am bwysigrwydd llenwi bocsys esgidiau(dyddiad cau ar Dachwedd 15 fed os gwelwch yn dda),a’r Brodyr Gregory gyda’u sioe Trefi Taclus oedd yn sioe werth chweil am bwysigrwydd ailgylchu. Cafwyd Gwasanaeth Diolchgarwch yma yn yr ysgol gyda phob dosbarth wedi paratoi eitemau o ddiolch.Cawsom gwmni Mr Andrew Jones,Eglwys Llannor a fendithiodd y rhoddion cyn eu trosglwyddo i’r Banc Bwyd yn Eglwys Pwllheli. 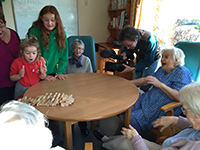 Yn ddiweddar mae Ysgol Pentreuchaf wedi dod yn Ysgol ‘Ffrindiau Dementia’ ac wedi cael budd mawr o’r prosiect.I roi cychwyn i’r prosiect daeth Cheryl at y dosbarth i roi cyflwyniad a chynnal gweithdy hynod ddiddorol gyda’r plant .Y cam nesaf oedd ymuno yn Niwrnod Agored Uned Hafan,Ysbyty Bryn Beryl,Pwllheli ble cafodd y plant gyfle i ymuno i sgwrsio, canu a hel atgofion .Carwn fel ysgol ddiolch am y croeso a’r profiad gwerthfawr.Yn dilyn cyd-weithio gyda Chwmni ‘r Fran Wen cyn tymor yr Haf bydd y dosbarth yn cael gweld ffrwyth eu llafur mewn darlleniad yn Stiwdio Galeri,Caernarfon o sioe newydd sbon o’r enw ‘Wy,chips a Nain’ fydd yn cael ei pherfformio gan y cwmni yn 2017.Gwyliwch allan! Cawsom noson Ocsiwn lwyddiannus dros ben cyn yr hanner tymor gan gasglu dros dair mil o bunnoedd. Diolchwn o waelod calon i gyfranwyr hael ,i gnewyllyn gweithgar o Gyfeillion yr Ysgol am eu cymorth di-flino ac i gefnogwyr y noson.Yn sicr cawn fudd mawr yn yr ysgol. Rydym eisioes wedi cael sesiwn syniadau,noson Calan Gaeaf a nesaf ar yr amserlen bydd sesiwn ffitrwydd gyda Huw Williams ar nos Lun,Tachwedd 14. (Welsh only) Cofiwch am ein Ocsiwn Addewidion ar Hydref 14 yng NGhlwb Rygbi Pwllheli pan fydd y noson o dan forthwyl medrus Iolo Penllechog!!! 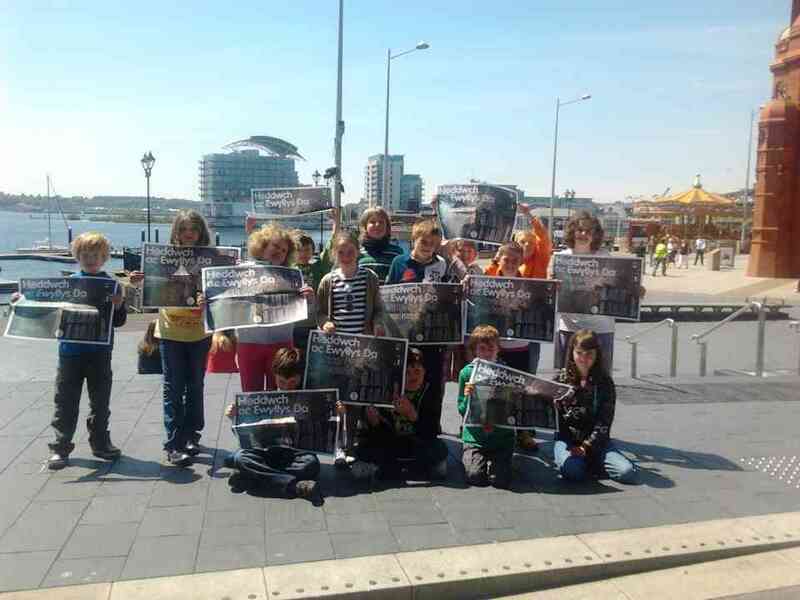 (Welsh only) Dymunwn longyfarch pedwar aelod o flwyddyn chwech am eu camp o gael eu dewis fel ysgrifenwyr ifanc fel rhan o Gystadleuaeth Young Writers.Bu’r pedwar yn brysur yn ysgrifennu am anturiaeth yn Saesneg.Mae gwaith y pedwar yn cael eu cyhoeddi mewn llyfryn arbennig fis Tachwedd.Anrheg Nadolig da!!! 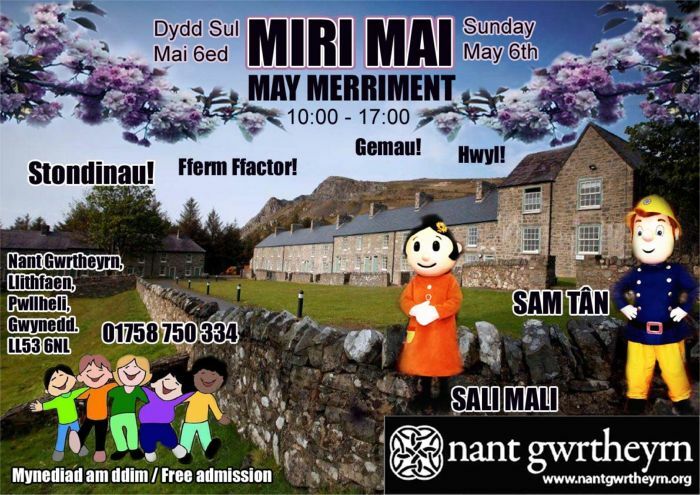 (Welsh only) Cawsom groesawu Mr Geraint Williams a’i dylluanod i’r Adran Iau ar bnawn Gwener.Cawsom holi a chwestiynu ac arsylwi ar y creaduriaid hynod. (Welsh only) Cafodd yr ysgol ymwelydd tra gwahanol yn ystod fis Medi pan gyrhaeddodd yr ysgol ar bara-fodur!!! !Mae’r Adran Iau yn dilyn y thema Hedfan a buodd Anti Catrin yn slei bach yn cynllunio cyrhaeddiad y gleidar.Cewch fwy o hanes y mis nesaf pan fydd un o’r plant wedi ysgrifennu adroddiad arbennig am y digwyddiad cyffrous!! (Welsh only) Bu dosbarth Miss Jones am drip i’r Amgueddfa Lechi ac i’r Mynydd Gwefru i ddilyn eu thema ‘Goleuni’.Cafodd y plant brofiadau da iawn gan fwynhau. (Welsh only) Estynwn ein llongyfarchiadau i griw o ddarllenwyr ifanc yr ysgol a gwblhaodd Sialens Ddarllen dros yr Haf.Go dda chi yn cefnogi’r Llyfrgell ym Mhwllheli a chael blas ar lyfrau. (Welsh only) Croeso cynnes i bawb yn ol i’r ysgol wedi’r gwyliau Haf.Mae pawb wedi setlo yn ddel yn eu dosbarthiadau newydd.Croeso i Anti Jordan ac Anti Lowri at blantos y Cylch a’r dosbarth meithrin fore a phrynhawn. Croeso i ,Elenora,Elis, Freya, Molly a Harri i’r Cylch Meithrin.Croeso i Tristan,Lili,Wil,Lilly,Freya,Harri,Ifan,Awel,Kylie,Gwawr,Gwion a Riley i ddosbarth meithrin yr ysgol. (Welsh only) Carwn fel ysgol ddymuno’n dda i Fflur ac Owain ar eu priodas yn ddiweddar.Bu disgyblion Blwyddyn 6 yn dymuno’n dda i’r ddau yn eu priodas ar y nawfed o Ebrill trwy ganu yn y gwasanaeth yn yr Eglwys yn Nhudweiliog. Mwynhawyd y profiad yn fawr.Mae pawb wedi arfer gyda ‘Mrs Griffith’ bellach yn yr ysgol. Llongyfarchiadau i chi eich dau. (Welsh only) Llongyfarchiadau hefyd i Dim Gala Nofio yr ysgol wnaeth yn arbennig trwy gipio y wobr gyntaf i ysgolion dros 100 o ddisgyblion yn y Ganolfan Hamdden, Ebrill 15 fed. Enilwwyd tarian Gala Ysgolion Dwyfor gyda Cymerau yn ail a Nefyn yn drydydd. Camp arbennig. Da iawn chi blantos! Gorau chwarae – cyd-chwarae (Welsh only) Da iawn i griw dewr o beldroedwyr yr Urdd fentrodd ar gaeau Porthmadog ar noson oer i dwrnament. Aeth disgyblion Blwyddyn 5 a 6 ar daith Gristnogol dan arweiniad criw Eglwys Nefyn drwy gymeryd rhan yn ail-greu stori’r Pasg – profiad arbennig iawn. (Welsh only) Diolch i Lance am ei ymweliad a’r dosbarthiadau i godi ymwybyddiaeth a’n rhybuddio o beryglon tan. Dysgwyd mai hawdd iawn yw i dan gynnau gyda’n holl declynnau trydanol ymhob ystafell yn ein cartrefi erbyn hyn. (Welsh only) Carwn fel ysgol ddiolch o galon i Elin a Sera cyn ddisgyblion yr ysgol dreuliodd bedwar diwrnod prysur yn ein canol are u profiad gwaith o Ysgol Glan y Mor.Diolch am eich cymorth a’ch cwmni genod.Brysiwch yn ol! 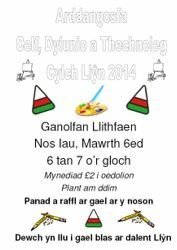 (Welsh only) Bydd Bl 3 a 4 yn crwydro I Blas Menai ganol Mai tra bydd Bl 5 yn mynd gam ymhellach i Glan Llyn yn y Bala a Bl 6 Ayn ei mentro i Gaerdydd. Cewch eu hanesion difyr yn y rhifyn nesaf! 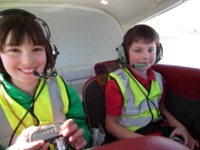 (Welsh only) Ar y 1af o Orffennaf bydd Ocsiwn yn cael ei chynnal yn yng Nghlwb Rygbi Bodegroes, Pwllheli am 6.30 yr hwyr i godi arian i gronfa Cyfeillion Ysgol Pentreuchaf. Mae’r pwyllgor yn gweithio’n galed i godi arian er mwyn gwella amgylchedd allanol yr ysgol e.e. llwybr rhedeg, darpariaeth dysgu allanol, yn ogystal ag offer Technoleg Gwybodaeth, ipads, gliniaduron, er mwyn i’ch plentyn / plant gael y cyfle i dderbyn yr addysg orau bosibl. Rydym yn cysylltu â chwmniau a busnesau lleol yn y gobaith y gallwch gyfrannu eitem, nwydd neu wasanaeth ar gyfer yr ocsiwn. Bydd yn gyfle gwych i hysbysebu eich cwmni. 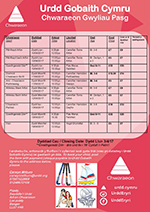 Os hoffech gefnogi byddem yn ddiolchgar pe bae modd i chi gysylltu ar 01758 750600 neu e-bostio at gethinelisthomas@gwynedd.gov.uk os gwelwch yn dda! Diolch o galon! Diolch yn fawr i chi am gofrestru i gymryd rhan yn Nhraws gwlad y Faenol eleni. Yn anffodus ‘rydym wedi derbyn cyfarwyddyd gan Stad Y Faenol na fydd hi’n bosib i ni ddefnyddio’r cae ar gyfer y parcio eleni oherwydd y tywydd gwlyb eithriadol. Mae hyn yn creu problem enfawr i ni, yn enwedig gan bod nifer fawr iawn o blant wedi cofrestru (dros 1,000). ‘Rydym wedi nodi Dydd Llun, Gorffennaf 4ydd fel dyddiad ar gyfer blynyddoedd 5 a 6 a bydd rhagor o fanylion yn cael ei anfon atoch yn y dyfodol agos. Ymddiheurwn yn fawr os ydi hyn yn creu trafferth i chi, ond yng ngwyneb y sefyllfa o’n blaen, dyma’r unig opsiwn bosib oddigerth i ohurio’r digwyddiad yn gyfan gwbl. Dwi’n siŵr y medrwch gydymdeimlo â ni yn ein sefyllfa – ein blaenoriaeth ni yw lles pawb a chadw oddi fewn i ffiniau Iechyd a Diogelwch. A fyddwch mor garedig a throsglwyddo’r neges ymlaen i bawb o fewn eich ysgol, os gwelwch yn dda, yn athrawon, disgyblion, rhieni.....fel bod y neges yn cyrraedd bawb. Diolch yn fawr am eich cydweithrediad, ac edrych ‘mlaen i groesawu plant blynyddoedd 3 a 4 i’r Faenol nos Iau! 19.04.16 Codi Hwyl! 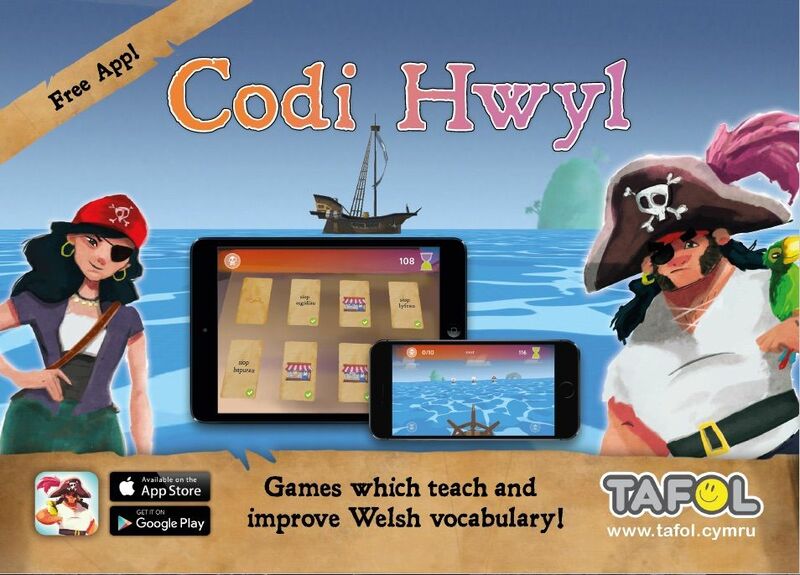 - new Welsh educational app! 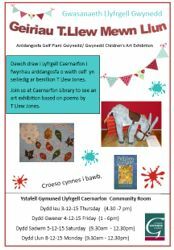 Come and see Ysgol Pentreuchaf's artwork!! (Welsh only) Croesawn deulu bach newydd o wynebau yn y Derbyn sydd hefo ni drwy’r dydd. 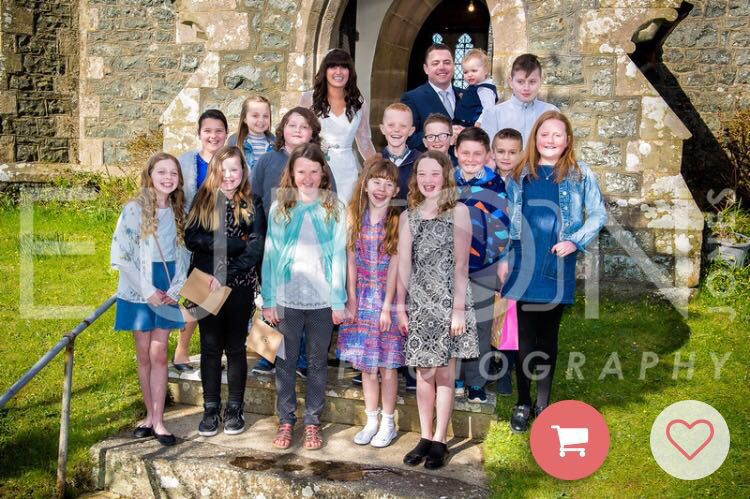 Mae Mali Wynne, Ela, Moli, Mali Llyn, Shan, Tomos, Lexie, Casey, Jac, Cai, Aled, Cara, Aled, Cara, Elin, Mari a Lilly wedi setlo’n arbennig yn ein mysg a dyma lun ohonynt ar eu mis cyntaf . Rydym hefyd yn croesawu Miss Fflur Williams yn ei hol ar ôl bod ar gyfnod mamolaeth tra’n dymuno’r gorau i Miss Lisa Jones yn ei swydd newydd yn Ysgol Llanaelhaearn.Byddwn yn ei gweld o dro i dro eto rwy’n siwr!Croeso hefyd i Mrs Eleri Jones yn gymhorthydd yn y Cyfnod Sylfaen. Mae 'na dri mochyn bach (Welsh only)……Erbyn hyn mae pawb yn bwrw iddi i’w themâu newydd.Mae’r Cyfnod Sylfaen eisoes wedi bod ar eu gwibdaith i Fferm Y Ffridd i weld cwmni OINC OINC ar waith ac wedi dotio o weld yr holl foch.Diolch i Ela ac Anest am eu croeso. Pe bawn i yn artist (Welsh only).....Erbyn hyn mae saith deg tri phlentyn o adran Iau'r ysgol ac Ysgol Llanaelhaearn wedi cael y cyfle arbennig o droedio Enlli yng nghwmni'r meistr Colin Siôn Evans.Carwn fel ysgol ddiolch o galon iddo am fedru trefnu taith mor ddiffwdan dros y Swnt ac am drefnu tywydd gwych i ni.Roedd yn brofiad bythgofiadwy a hudolus iawn .Diolch hefyd i Haf Meredydd a John Dilwyn Williams-dau dywysydd a wnaeth y profiad yn felys iawn wrth adrodd hanes yr ynys. 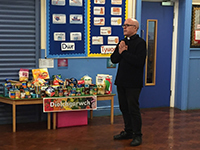 Croesawyd John Dilwyn Williams yn ôl i’r dosbarth i gyflwyno ffeithiau difyr a diddorol am yr ynys i flynyddoedd hynaf yr ysgol; gan action a chwarae rôl rhai o’r ynyswyr a’r brenhinoedd a fu yno.Bydd y gweithdai yn parhau yn yr Hydref ym Mhlas Glyn y Weddw. Diolch i Catrin Glyn ddaeth fel ymwelydd atom i gyflwyno anifeiliaid sydd yn byw ar yr arfordir hynod yma ym Mhen Llyn.Cawsom luniau gan Catrin o’r morlo llwyd cyn ein gwibdaith ar y gwch ac roedd cael eu g weld yn ei holl ogoniant a chael y cyfle prin o weld morlo bach newydd anedig yn anhygoel!! Cafodd yr Ysgol ei dewis i fod yn rhan o raglen Dylan Jones ar Rygbi Cymru’r Byd.Dewiswyd Japan fel gwlad i ni ei dilyn.Bu Celt ar y radio ac Owen William yn dilyn gem gyntaf anfarwol Japan!Mae gennym lawer o ddilynwyr pybyr iawn i dîm ein gwlad yn ogystal. Agor y Llyfr (Welsh only) - Y tymor yma rydym yn ffodus iawn o gael croesawu cwmni newydd sydd yn arwain a chyflwyno gwasanaethau boreol mewn ffordd hwyliog drwy actio.Mae’r dosbarthiadau i gyd yn mwynhau pan fyddent yn troi ein neuadd yn theatr fach dros dro!! 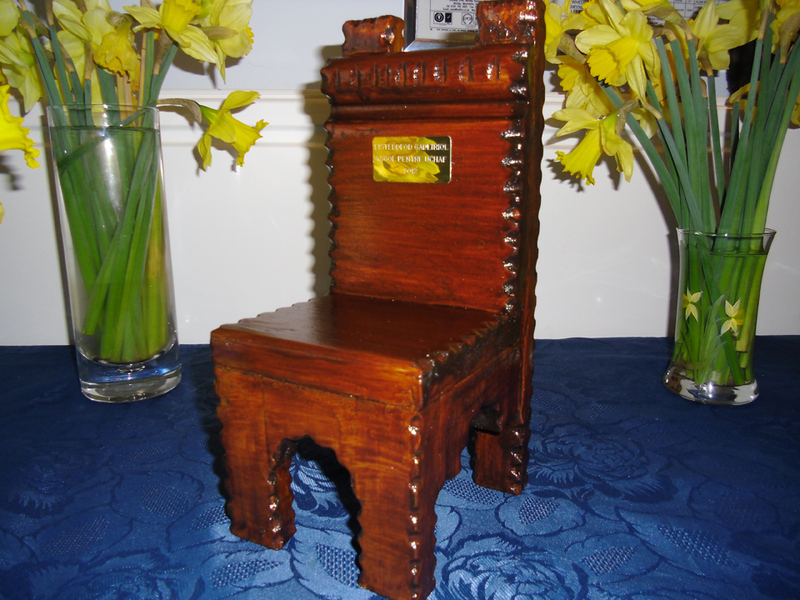 Ewch i bori drwy ein cyfrif Twitter am ychwaneg o luniau a hanesion difyr yr ysgol! Enillwyr Tlws Coffa Anwen Tydu a derbyn yr ail wobr yn y rownd genedlaethol!! Cafodd criw o blant yr Adran Iau lwyddiant arbennig gyda'i campweithiau llenyddol yn Eisteddfod Gadeiriol y Ffôr eleni. Ers mis Mawrth mae wedi bod yn hynod brysur gyda phrofiadau y tu allan i’r dosbarth. Mentrodd 14 o Flwyddyn 4 ar gwrs preswyl ym Mhlas Menai ddechrau Mawrth gan fwynhau eu hunain i’r eithaf. Gobeithio cawn fynd eto y flwyddyn nesaf! Cafodd Bl 2 a 3 wibdaith i Goleg y Bala i fwynhau gweithgareddau ynghlwm a dathliadau’r Pasg. 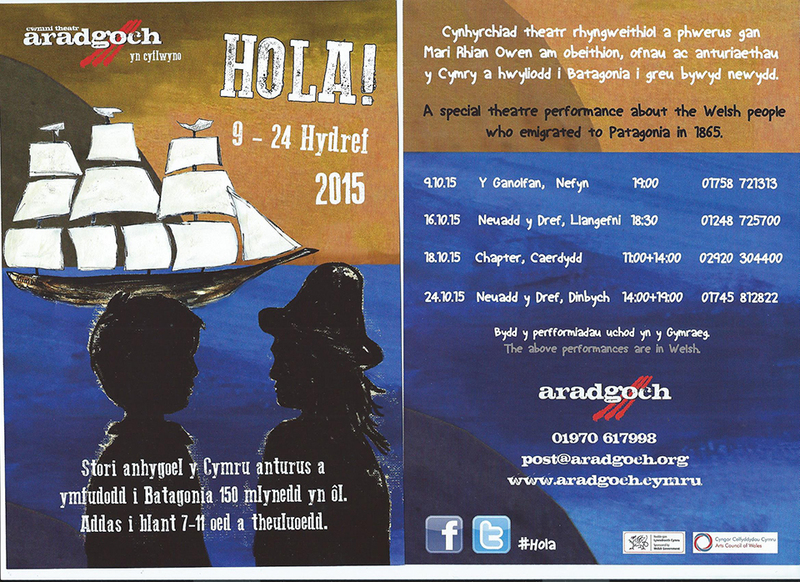 Diolch i’r holl staff am olchi traed,gweini’r swper olaf,adrodd stareon,chwarae gemau a mwynhau gyda ni. Ein themau y tymor yma yw’r ‘Tir a Mor’ i’r Cyfnod Sylfaen a’r ‘Chwareli’ i’r Adran Iau. Mae’r Cyfnod Sylfaen yn gweithio ar Thema’r Fferm ar hyn o bryd a daeth ymwelydd pwysig iawn i weld dosbarth Miss Jones. Daeth mam Ifan a chi bach newydd o’r enw Gwen i ddweud Helo!Bu pawb yn brysur yn holi cwestiynau! 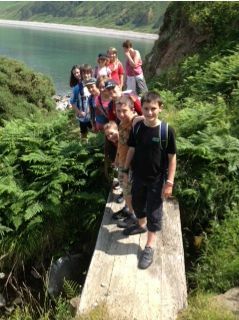 Brawd bach newydd Guto Llyfnwy ddaeth i ddosbarth Mrs Humphreys i ddweud Helo e rei fod yn cysgu’n braf.Croeso i tithau i’r byd Elis Llyfnwy! 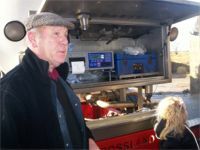 Cawsom y pleser o gwmni Mr John Dilwyn Williams atom yn yr Adran Iau i gael cyflwyniad ar y chwareli lleol ; cyn mynd ar daith i’r Amgueddfa yn Llanberis i ddysgu mwy am fywyd, gwaith a chartref y chwarelwr. Bu PC Dewi Owen yn ymweld a’r holl ddosbarthiadau eto’r tymor yma. Mae’r Adran Iau yn cael budd o arweiniad Tomos Sorsby o’r Brifysgol .Mae Tomos yma i’n helpu i ddylunio a chreu offer fydd yn cael ei werthu yn y pendraw.Mae’n brysur yn ein troi yn entrepreneuriaid!! Yn sionc ac ystwyth mae cwmni Dawns i Bawb yn helpu plant Bl 3 a 4 i fod yn ddawnswyr ac wrthi’n creu dawns gradigol i gyd-fynd a’n dathliadau Patagonaidd.Cofiwch am ein diwrnod agored ar y 6 ed o Fehefin pan fyddwn yn croesawu ein ffrindiau o Ysgol yr Hendre yma gyda chyngerdd yn Neuadd Dwyfor yn y nos.Croeso cynnes i bawb. Cafodd tim y genod a’r bechgyn hwyl yn chwarae pel-droed ym Mhorth,adog yn ddiweddar.Chwaraeodd pawb yn egniol gan fwynhau’r her! Croesawn Katie a Lucy yn ôl atom i Bentreuchaf yr holl ffordd o Awstralia.Croeso mawr yn ol i’n plith genod. 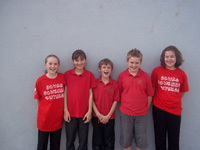 Mi wnaeth Adran Ysgol Pentreuchaf adael adennydd gwydd a oedd yn un o brops yr ymgom yn Neuadd Powis yn ystod y Steddfod Sir ym Mangor ddydd Sadwrn. Os wnaethoch chi ddigwydd I gweld hi, neu os yda chi yn gwybod rwbath o'i hanes hi erbyn hyn, newch chi plis gysylltu efo fi. Fe roeddan ni wedi cael I menthyg hi ar yr amod ein bod yn ei dychwelyd yn saff, a tydi adain gwydd ddim yn beth hawdd cael gafael arnno fo, hyd yn oed ar e bay ! 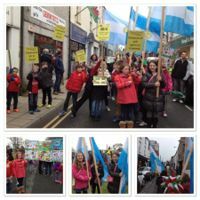 Disgyblion a rhieni Ysgol Pentreuchaf yn gorymdeithio drwy strydoedd Pwllheli i ddathlu ein Cymreictod ac ein cyfeillgarwch gyda Ysgol yr Hendre ym Mhatagonia yn ystod Parêd Pwllheli 2015. Adran yr Urdd-Carwn fel ysgol longyfarch holl aelodau Urdd a gymerodd ran yn yr Eisteddfod Gylch a’r Celf a Chrefft yn ddiweddar.Diolch o galon i’r hyfforddwyr a’r rhieni oedd ynghlwm a’r gweithgareddau creu.Mae eich cymorth yn amhrisiadwy.Cafwyd cyngerdd i rieni I glywed y doniau sydd yma ym Mhentreuchaf ac roeddech yn werth eich clywed. Jones - 2il - Gwaith Lluniadu 2D Unigol Bl 3 a 4; Megan Cowper - 1af - Gwaith Lluniadu 2D Unigol Bl 3 a 4; Grwp Megan - 1af - Gwaith Lluniadu 2D Grwp Bl 3 a 4 - yn cynrychioli’r Sir ym Mhenygroes yr wythnos nesaf. Cawsom ddiwrnod cochlyd iawn ddydd Gwener cyn yr hanner tymor pan lwyddodd yr ysgol i gasglu £185 o bunnoedd tuag at Ymchwil y Galon.Roedd Blwyddyn 3 a 4 wedi paratoi gwasanaeth arbennig i’r ysgol gyfan ac roedd pawb wedi gwisgo gwisg goch ar gyfer y diwrnod.Cyflwynwyd y siec i Mr Amlyn ab Iorwerth sydd yn cynrychioli’r elusen ym Mhwllheli. 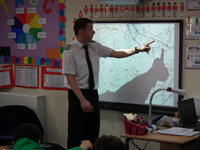 Bydd Mr Gethin Jones o CPD WRECSAM yn ymuno a Bl 5 a 6 am 5 wythnos i ddysgu sgiliau pel droed a llythrennedd. Cafodd Bl 3 a 4 groeso mawr yn Amgueddfa Forwrol Nefyn yn ddiweddar.Mwynhaodd bawb bob eiliad yn cael clywed hynt a helynt morwyr Nefyn a’r diwydiant.Synnodd pawb wrth glywed am ffyrdd cyfathrebu’r pysgod!!!! 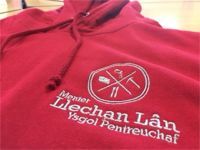 Talentau plant Ysgol Pentreuchaf heno. 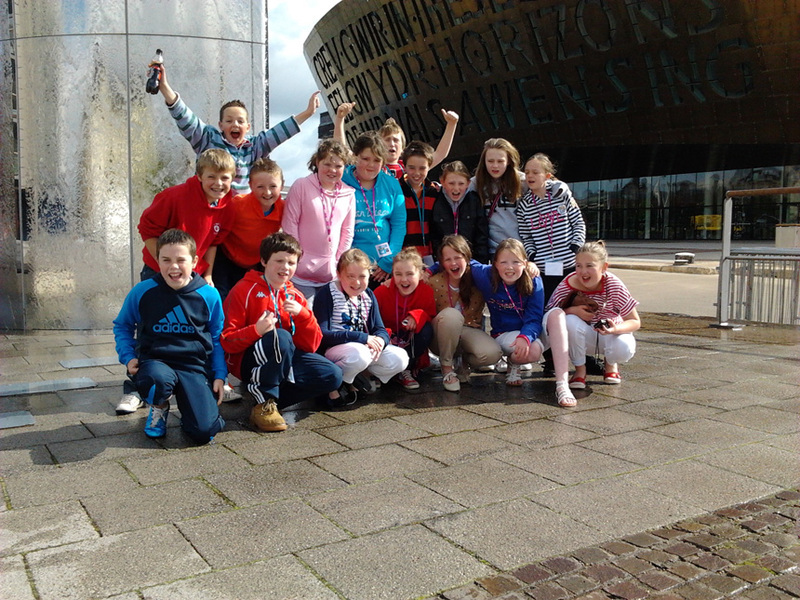 Cyngerdd yr Urdd. Diolch i'r plant, staff a'r rhieni am noson fach dda! Cawsom Sioe Nadolig ‘Draw o Lyn i Drelew’ llwyddiannus iawn yn neuadd Dwyfor a charwn fel ysgol ddiolch i bob plentyn a ddysgodd ei ran mor dda.Cofiwch gysylltu ar ysgol os am gopi o ‘r gryno ddisg neu archebu lluniau o’r Sioe gan Euron(www.euronjonesphotography.com). Bydd y DVD ar gael yn fuan iawn hefyd! 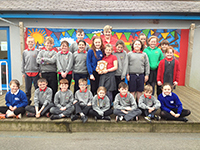 Mae tri dosbarth yma yn dilyn thema’r tywydd oer y tymor yma gyda’r plant hynaf yn dilyn thema’r Gofod.Daeth Ffion Jones i roi cyflwyniad ar bwysigrwydd lleihau defnyddio ynni i ddosbarth Bl 5 a 6 a chafodd Bl 3 a 4 gwmni diddorol Seimon Menai yn son am ei daith i uchelderau Kilimanjaro.Atebodd ddeg ar hugain o gwestiynau a baratowyd gan y plant a charwn ddiolch o galon iddo am ei amser a’i atebion trylwyr. Mwynhaodd yr adran Iau gyflwyniad ‘Shabwm’ gan Gwmni’r Fran Wen yn y neuadd.Dyma ddehongliad theatrig gwahanol iawn oedd yn dathlu pwer adnewyddol cerddoriaeth.Cafodd y plant flas arbennig arno gan drafod agweddau ar y cyflwyniad gydag un o’r actorion. Edrcyhwn ymlaen am gwmni P.C Owen yr wythnos hon i drafod pynciau dyrys megis Pwy?Beth?Ble? 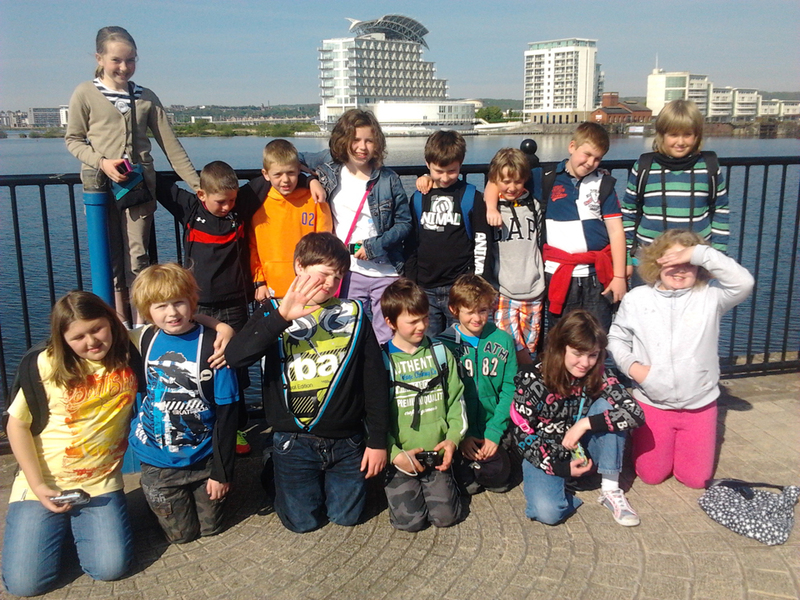 gyda’r holl ddosbarthiadau. Cafodd Bl 6 gyfle i ffarwelio ag un aelod o’r dosbarth mewn steil nos Sul.Buont yn ffarwelio ym Mhen Cob gyda Jacob sydd gyda ni ym Mhentreuchaf ers y dosbarth derbyn.Bydd Jacob a’r teulu yn mudo i bentref Huttoft, ger Skegness, Swydd Lincoln. 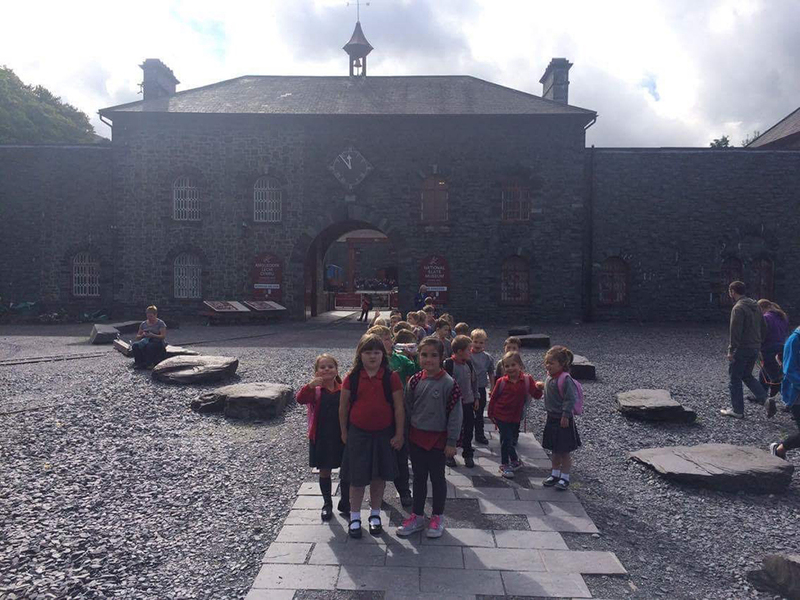 Dymuna pawb yn yr ysgol y gorau i Jacob yn y dyfodol! Erbyn hyn mae pawb wedi setlo’n dda iawn i flwyddyn addysgol newydd sbon arall.Estynnwn groeso mawr iawn i Miss Lisa Jones yn athrawes Bl 5 a 6 tra bod Miss Fflur Williams i ffwrdd ar gyfnod mamolaeth.Pob lwc iddi hithau.Nid oedd newyddion wrth i’r papur fynd i’r Wasg!! Mae croeso i Anti Julie fel cymhorthydd ym Ml 3 a 4 ; Anti Lois fel myfyrwraig ar brofiad gwaith o Goleg Meirion Dwyfor ; a Miss Angharad Jones ,Anti Nia ac Anti Annest gyda’r dosbarth meithrin.Croesawn Mrs Enlli Morgan atom fel cymhorthydd sgiliau sylfaenol. Mae Bl 5 a 6 yn astudio’r Rhyfel Byd Cyntaf y tymor yma a threfnwyd gwibdaith i’r Ysgwrn yn ddiweddar i gyfarfod a Gerald a chyflwyno englyn iddo a gafodd ei hysgrifennu gan y dosbarth gydag arweiniad Myrddin Ap Dafydd.Bydd y plant yn trysori eu hymweliad ac roeddynt yn llawn afiaith yn siarad am y profiad . Cartrefi ydyw thema Bl 3 a 4 a buont hwythau ar daith oddi amgylch Plas yn Rhiw.Diolch i Mary am ein tywys oddi amgylch y gerddi hynod ac i Beryl am ein tywys yn y plas.Yna dilynom y llwybr o’r Plas i fyny dros gamfeydd cerrig ac i weld y bythynnod sydd wedi eu hadnewyddu yng nghwmni Robert Parkinson.Carwn ddiolch iddo am ei sgyrsiau difyr ac am ddangos gweithgareddau oedd yn digwydd mewn bwthyn bach fel Tan yr Ardd a Fron Deg flynyddoedd yn ol.Cawsom weld eu dull o gadw bwyd yn oer,golchi a sychu dillad a chwt mochyn crwn. Yr wythnos ganlynol aethom i ben Tre Ceiri yng nghwmni Rhys Mwyn i weld olion cartrefi gwahanol iawn mewn oes wahanol.Nid oedd rhai yn credu fod yr rhain mor agos i ni yn yr ysgol a braf oedd cael mwynhau’r profiad . 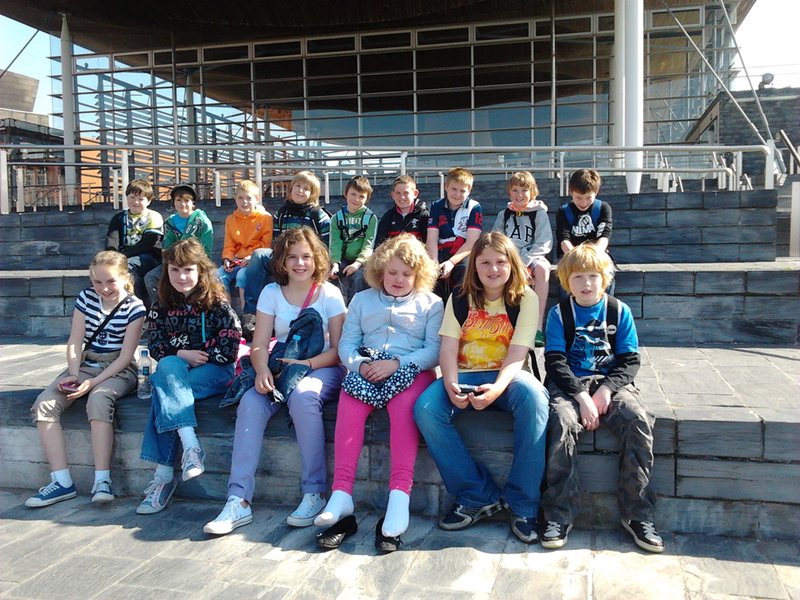 Bydd y cyfnod Sylfaen yn mynd am eu trip fis Hydref a chawn eu hanes hwythau yn y rhifyn nesaf. 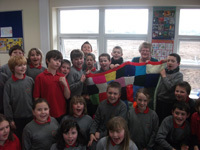 Carwn ddiolch i Mrs Nia Williams am gynnal gwasanaeth i’r ysgol gyfan.Braf oedd cael y gwasanaeth allan yn y tywydd braf ar ein llwyfan allanol newydd. Yn fuan ar ol yr hanner tymor ehedodd Cwmni’r Frân Wen at blantos y Cyfnod Sylfaen i berfformio sioe o’r enw Cwpwrdd Dillad. Mwynhaodd pawb yn fawr iawn. Cafodd pawb y cyfle i ddathlu Diwrnod y Llyfr trwy ddod a llyfr i ffeirio’n ei ddosbarth a hynny mewn pyjamas.Yn ogystal,roedd gofyn i bawb ddod a’i hoff lyfr cyn cysgu gydag ef a braf yw cael dweud fod llyfrau’n mynd a bryd yr rhan fwyaf o blant. Buom yn dathlu Gwyl Ddewi mewn gwisg goch gan wahodd y selogion i’n plith. Mae’n braf cael croesawu pensiynwyr yr ardal i fwynhau ychydig o gawl a chan gyda ni bob blwyddyn.Cafodd aelodau Urdd yr ysgol a’r adran gyfle i ymarfer eu doniau cyn yr Eisteddfod Cylch ddiwrnod wedyn. Mae’r Cylch a’r Sir wedi bod erbyn hyn. braf yw cael llongyfarch hatrig o Bentreuchaf. Pob lwc i’r ddeuawd,ensemble lleisiol a’r ymgom yn y Bala. Mae cyfarfodydd llysoedd Mela,Carnguwch a Phemprys wedi cychwyn erbyn hyn. Bydd gennym eisteddfod wedi’r Pasg eleni gan ei bod wedi bod mor brysur y tymor hwn.Mae’r gadair yn barod a dymunwn ddiolch i Bob,Bryn Mawr,Sarn am ei saernio fel rhodd eleni.Cewch wybod yn y rhifyn nesaf pwy a’i chipiodd! Dymunwn fel ysgol longyfarch dwy chwaer a gymerodd ran yng Nghyngerdd Rhanbarth yn ddiweddar.Mae Ffion yn chwarae’r corn a’i chwaer Megan yn chwarae’r ffidil.Derbyniodd Ffion wobr am y chwaraewraig mwyaf addawol a chymerodd Megan ran am y tro cyntaf.Arbennig genod.Daliwch ati! Cawsom Jambori ardderchog yn ddiweddar yn neuadd Dwyfor yng nghwmni ysgolion eraill y dalgylch.Cafodd y Cyfnod Sylfaen,yng ngwisgoedd y cymeriadau gwmni Rala Rwdins(Mair Tomos Ifans) a Ceridwen Creshendo(Nerys Griffiths,Ysgol Trefor) yn ystod y bore yn perfformio caneuon hwyliog o Wlad y Rwla.Yna yn y prynhawn cafodd yr adrannau Iau bnawn i ’w gofio yng nghwmni Cowbois Rhos Botwnnog gyda phawb mewn het gowboi. 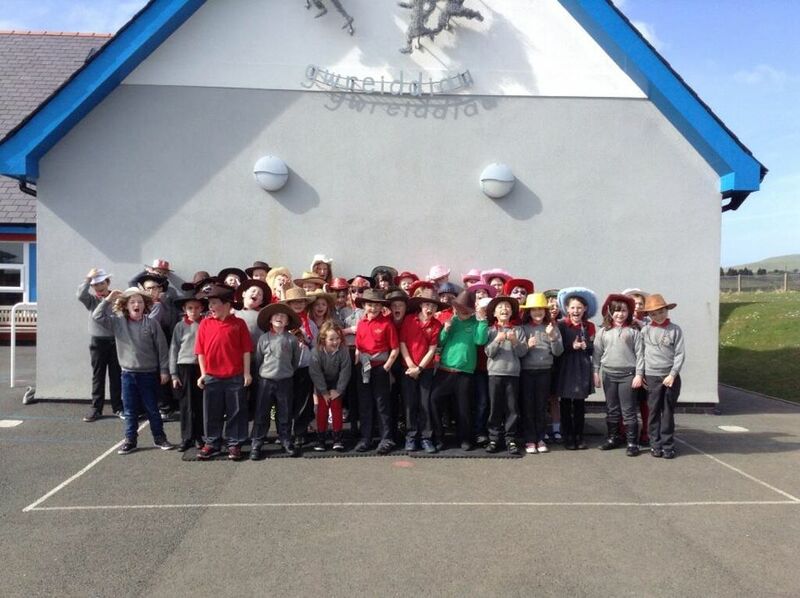 Dysgwyd wyth can werin leol i’w perfformio gyda’r Cowbois a braf oedd cael eu canu gyda’r tri brawd! Yn gyntaf aethom ar y bws a gyrrodd y gyrrwr yn gyflym fel y gwynt.Yna arhosodd y bws ar ei union wrth ymyl Pen Cob.Cerddom yr holl ffordd i Neuadd Dwyfor yn gyffrous. Canodd pawb yn hapus gyda’r Cowbois.Nesaf canodd Cowbois Rhos Botwnnog eu caneuon eu hunain. I orffen dawnsiodd pawb fel trenau bach y sgwarnogod a rhai yn dawnsio wrth droi a throsieu pennau.Ar y diwedd daeth pawb yn ol ar y bws a chyrhaeddodd pawb yn ôl i Bentreuchaf yn saff. 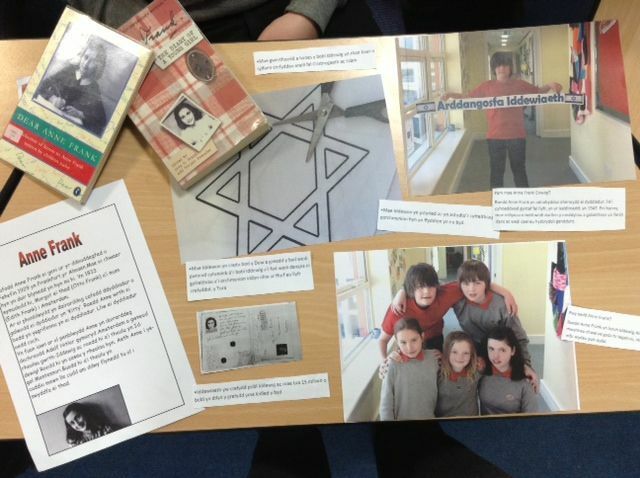 Buodd yn fis cariadus iawn yma yn yr ysgol yn dathlu Gwyl Santes Dwynwen.Cawsom gyflwyniad gan Nia Williams yn llawn calonnau o bob math.Rydym wrth ein boddau yn croesawu Nia yma atom i gynnal gwasanaethau.Mae’r plant wedi bod wrthi’n creu llwyau caru a chardiau yn ogystal a chwpledi cariadus a chaneuon. Rydym yng nghanol prysurdeb y tymor eisteddfodau.Mae paratoi mawr ar gyfer ein Eisteddfod Ysgol flynyddol ar Fawrth 14 eg ag Eistedfod Gylch yr Urdd ym Mhwllheli fydd ar Fawrth8 fed. 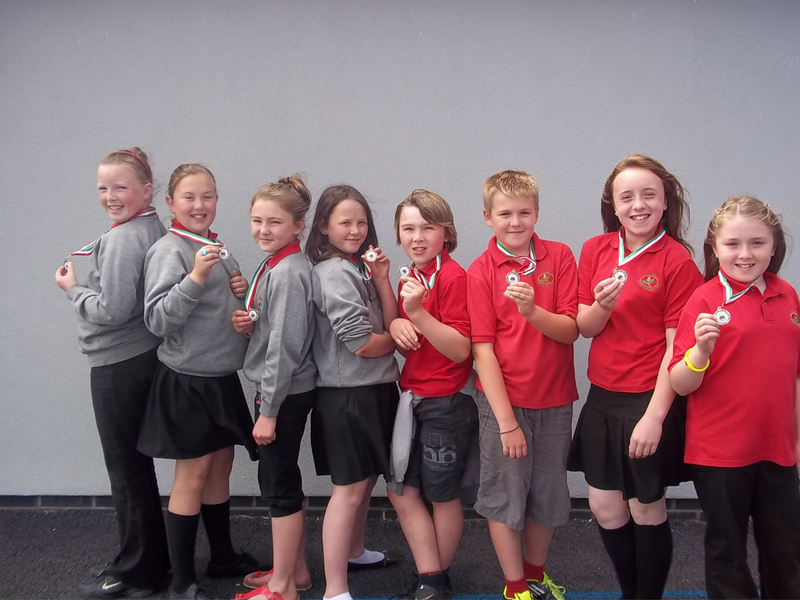 Bydd cor yr ysgol yn perfformio yn Neuadd Dwyfor yng nghyngerdd blynyddol Band Pwllheli ar nos Wener Chwefror 7 fed.Rydym yn edrych ymlaen.Dewch draw i gefnogi’r noson. Mae Bl 5 a 6 wedi eu dewis i fod yn rhan o ddosbarth fydd yn ymchwilio i effeithiau ysmygu. 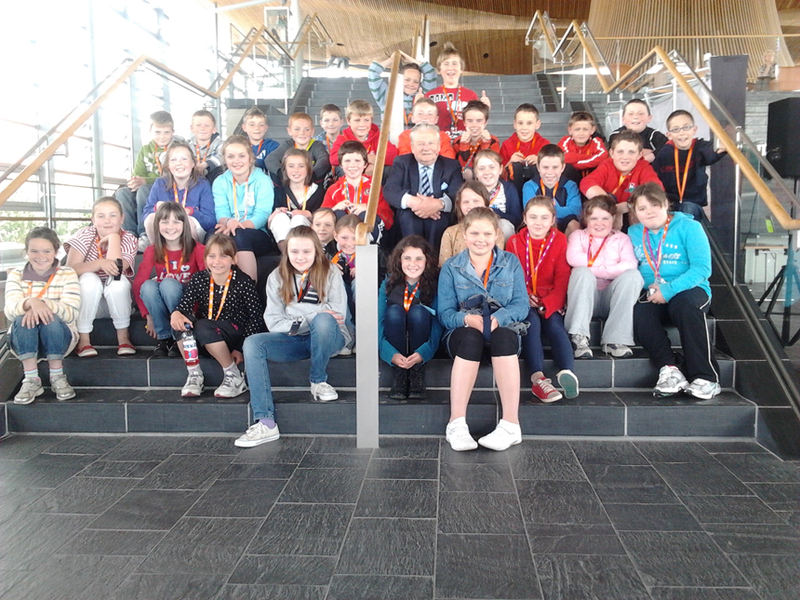 Bydd Prifysgol Caerdydd yn dod atom fis nesaf I ymchwilio gyda’r plant. Mae’r Clwb Cynilo yn mynd o nerth i nerth yma yn y Neuadd bob bore Gwener. 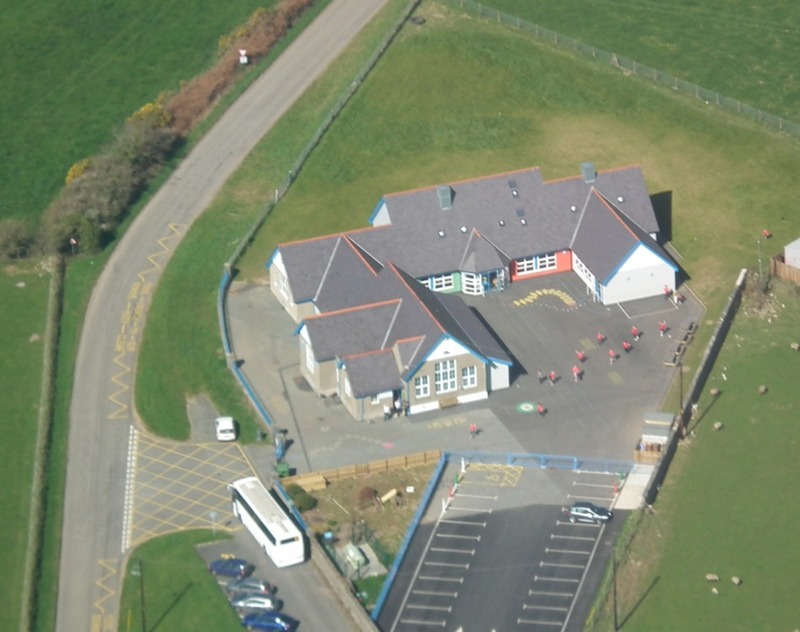 Bydd Mrs Richards yn mynd yn ei fan Securicor bob wythnos gyda chyfoeth plant ysgol Pentreuchaf.Cofiwch os am gychwyn o’r newydd fod croeso I bob ceiniog.Chi fydd yn elwa yn y pendraw blantos! 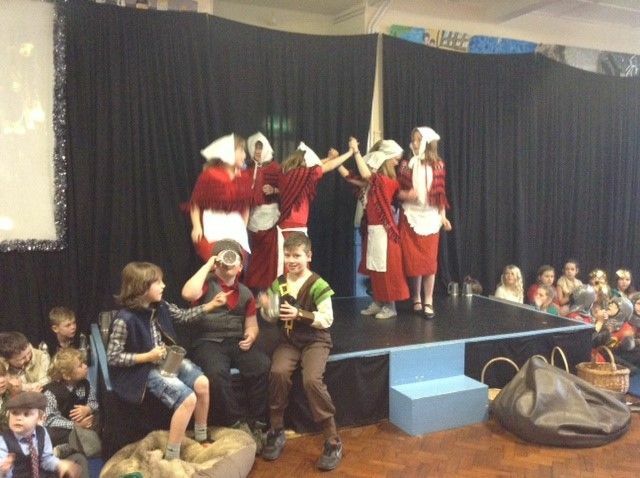 Rehearsing for our musical - 'Glyndwr'! Croeso mawr i Angharad Jones atom ar ol hanner tymor fel cymhorthydd ym Ml 3 a 4.Gobeithio byddi’n setlo’n dda yn ein plith Angharad. Meithrin - Mae criw’r Meithrin yn griw iachus iawn.Buodd pawb am dro yn casglu dail ar hyd llwybr ger yr ysgol a hefyd yn paratoi bechdanau iach yn y dosbarth.Mae edrych ymlaen mawr at eich cyngerdd bach ar Ddydd Gwener, Rhagfyr 13 eg am 10.30 pan fydd rhieni’n cael dod I’ch gweld yn perfformio. 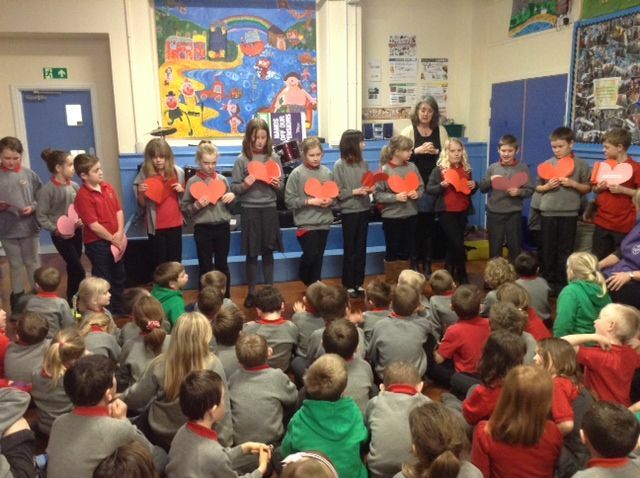 Cyfnod Sylfaen - Croesawyd babi bach arall i’r dosbarth ddechrau Tachwed yn chwe diwrnod oed!! 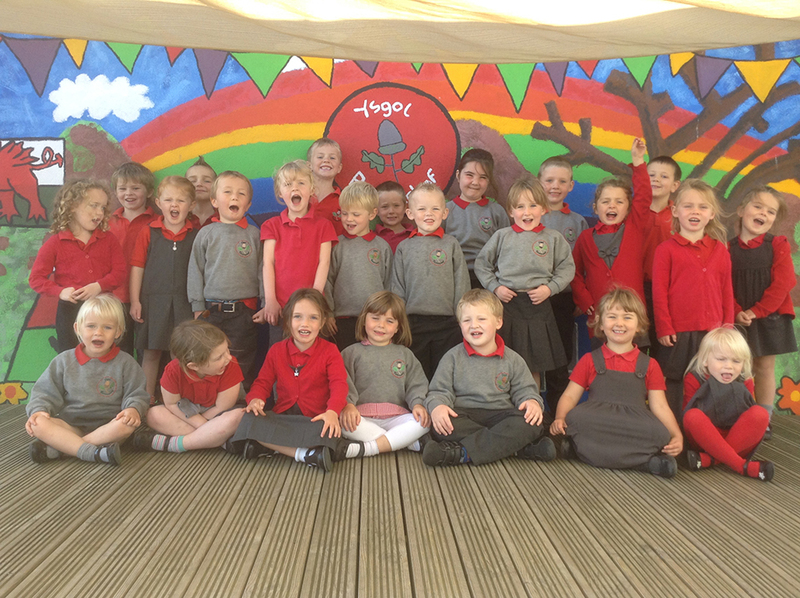 Awyddus iawn i gychwyn yn yr ysgol! 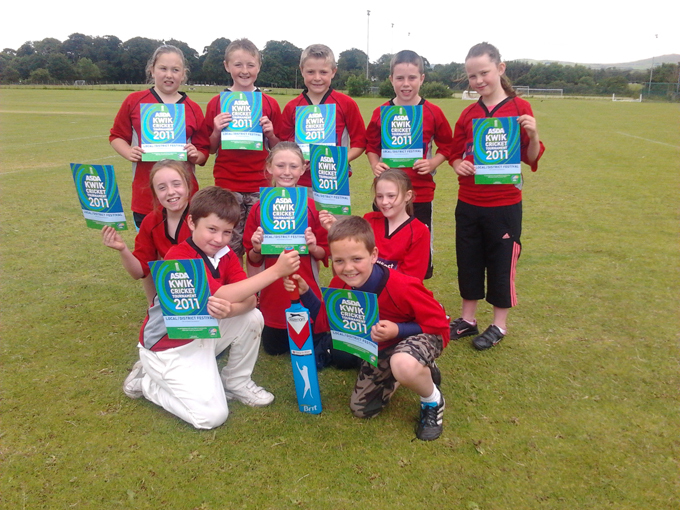 !Leah oedd enw’r ferch fach sydd yn chwaer i Suranne, Eloise, ac Aiden.Roedd pawb wedi gwirioni hefo hi. Buodd y criw yma yn sylwi ar newidiadau’r Hydref yng Nghoedwig Ty Du wedi lapio’n gynnes gan gasglu rhyfeddodau natur. Bl 3 a 4 - Daeth tair tylluan i ddweud helo wrth flwyddyn 3 a 4 gan Mr Ian Parri o Dalysarn.Cymerwyd nodiadau a holyd cwestiynau dyrys iawn iddo am ei adar. 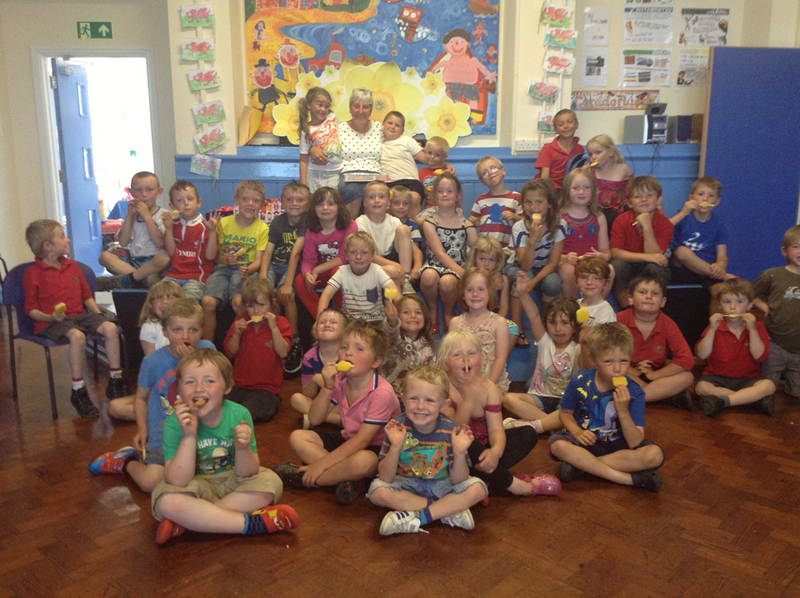 Dotiwyd at y creaduriaid a chafodd pawb yn yr ysgol gyfle i’w gweld yn y Neuadd. Diolch yn fawr Mr Parri. Aeth y dosbarth gyda’u clipfyrddau draw am Bont y Pandy i gasglu geirfa hydrefol er mwyn creu cerdd. Dewisom fore gogoneddus o Hydref oer gyda’r haul yn gwenu. Bl 5 a 6 - Cafodd y dosbarth ddau ymweliad gan Swyddog Addysg Childline Ms Rhian Jones gan drafod materion pwysig ym mywydau plant heddiw. 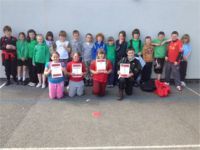 Buodd Miss Jones yng ngofal Tim Pel –Rwyd cyntaf yr ysgol mewn Twrnament Ysgolion Dwyfor.Mwynhaodd y plant eu profiad cyntaf o ymarfer yn galed a chymeryd rhan yn y twrnament pel-rwyd.Ymlaen am y twrnament nesaf!! Roedd y cyfryngis ym mhobman yma am ddau ddiwrnod solet.Ond ein cyfryngis bach ni oedden nhw-criw hwyliog Blwyddyn 5 yn cyfarwyddo ,ffilmio,goleuo,cynhyrchu eu ffilm cyntaf o dan arweiniad profiadol y cyfarwyddwr Eilir Pierce.Cawsom y cyfle gan Gwmni Galeri a bydd y ffilm yn cael ei dangosiad cyntaf yn y Galeri yn fuan yn y flwyddyn newydd.Gwyliwch y gwagle! Oscars amdani! Gwibdeithiodd disgyblion Blwyddyn 5 a 6 i Garth Celyn, Abergwyngregyn ble cafwys croeso cynnes gan Mr a Mrs Gibson gan ddilyn hanes Llywelyn Fawr a Siwan yn ystod oes y Tywysogion, cyn ymweld â chastell Cymreig yn Nolbadarn. Cafwyd diwrnod diddorol iawn. 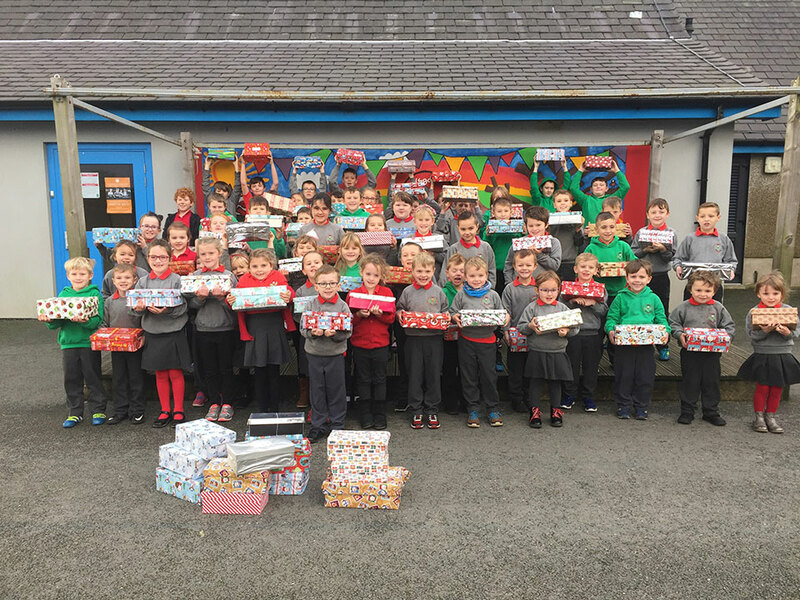 Carwn fel ysgol ddiolch i Anti Heulwen a’r Cyngor Ysgol am drefnu’r Operation Christmas Child eleni a braf yw cael nodi fod yr ysgol wedi casglu 87 o focsys .Y nifer mwyaf hyd yn hyn.Diolch i chithau rieni Ysgol Pentreuchaf. Cafwyd diwrnod difyr yma ar ddiwrnod Plant Mewn Angen lle’r oedd pawb wedi dod a gwisg smotiog.Cafodd Mr Thomas fenthyg trowsus pyjamas smotiog ei wraig !Mwynhaodd pawb gacen flasus gan y staff a chasglwyd £183.29.Diolch yn fawr unwaith eto. Bydd ein Sioe Nadolig ‘Owain Glyndwr’ yn cael ei pherfformio yn ystod yr wythnos olaf cyn y gwyliau ar brynhawn a Nos Fawrth,Rhagfyr 17 eg a Nos Fercher Rhagfyr 18 fed.Bydd ein cinio Nadolig ar y diwrnod canlynol,ddydd Iau Rhafyr 19 eg gan ddilyn gyda disgo wedi ei drefnu gan fyfyrwyr Cloeg Meirion Dwyfor. Dymuna Staff a disgyblion Nadolig Llawen a Blwyddyn Newydd Dda i holl ddarllenwyr y Llanw. 26:11:13 Why do Ysgol Pentreuchaf teach using the Leomardo model? Carwn estyn croeso cynnes iawn i Miss Sara Pierce Jones atom fel athrawes newydd i’r Cyfnod Sylfaen.Gobeithio y byddi’n hapus iawn yn ein plith Sara a gobeithio fod Mrs Eleri Jones yn ymlacio’n braf ac wedi mwynhau ei gwyliau haeddiannol ym Mheriw.Estynnwn yr un croeso i Ms Evelyn Parry sydd yn dysgu’r plantos meithrin yn y boreau ac i Anti Sophie ei chymhorthydd.Mae gennym bymtheg o wynebau newydd siriol!Croeso hefyd i Caryl Jones sydd yma ar brofiad gwaith o Goleg Meirion Dwyfor gyda’r Cyfnod Sylfaen. Tybed a ydych wedi sylwi ar y gwaith Celf arbennig sydd yn cyd-fynd ag arwyddair yr ysgol sydd wedi ei osod ar dalcen dosbarth Bl 5 a 6.Mae’r cerfluniau trawiadol o waith Mrs Dawn Crook,Mela .Yn un o gyn-rieni’r ysgol(mam Tom) carwn ddiolch o galon iddi am ei rhodd i’r ysgol a’i llongyfarch am waith mor grefftus. Eisioes mae’r Adran Iau wedi bod ar wibdeithiau addysgol.Aeth Bl 5 a 6 i ymweld a Senedd-dy Owain Glyndwr,Machynlleth tra buodd Bl 3 a 4 ar anturiaeth i Goed y Brenin yn Nhrawsfynydd. Cafodd y Cyfnod Sylfaen ymweliad gan fabi bach o’r enw Wil Bryn,brawd Twm Bryn o Rydyclafdy.Cafodd ei fwydo a’i newid gyda help y plant.Diolch am ddod i’n gweld ni Wil. 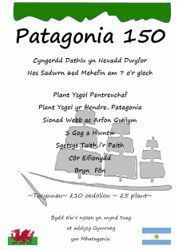 Ar dydd Iau,Hydref 24 bydd Gwynant Parri yma’n tynnu lluniau’r plant.Mae gwahoddiad i blant eraill y teulu yma os dymunwch a hynny rhwng 8.30-9.00. Dyma anrheg Nadolig perffaith i weddill y teulu!! 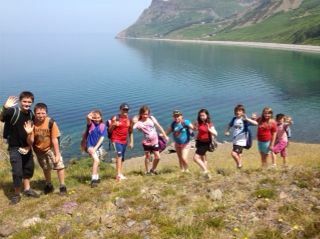 Year 6 had a wonderful day at Nant Gwrtheyrn! 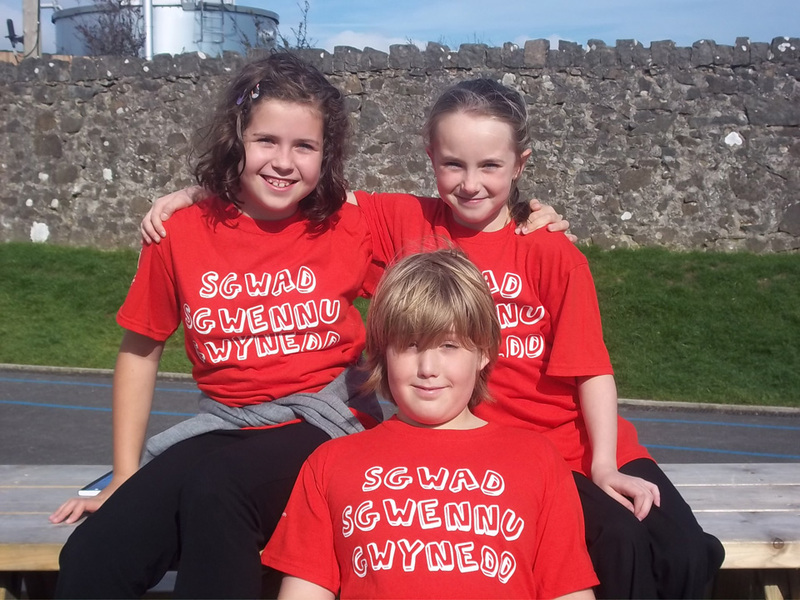 Click here to see the activities timetable for Year 5 at Glanllyn in June. More children may drown without better school swimming provision, the Amateur Swimming Association (ASA) has warned. Bu Gronw yn aelod o dîm rygbi Eryri dan 11 oed a gyrhaeddodd rownd derfynol cwpan plat Western Mail WSRU - Undeb Rygbi Ysgolion Cymru erbyn Castell Nedd. Cynhaliwyd y gêm yn Llanidloes ar dir niwtral a chanolog a bu brwydro ffyrnig am y teitl gam y ddwy ochr. Wedi gêm wych gan y ddau dîm cyfartal iawn, penderfynwyd rhannu'r gwpan. Canlyniad teg a'r ddau dîm ar ben eu digon. 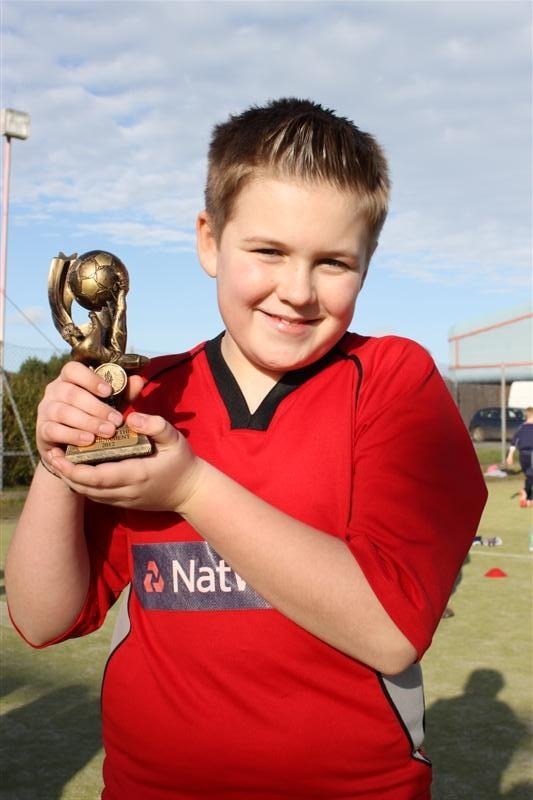 Fel rhan o weithgareddau 'Leonardo', bu disgyblion blwyddyn 5 a 6 wrthi'n brysur yn creu a pharatoi arddangosfa a gweithgareddau sgiliau meddwl ar gyfer HOLL blant yr ysgol! Ar derfyn dydd, dywedodd Tomos, Bl 5' "...ew mae'r busnas dysgu plant ma yn waith blinedig!" 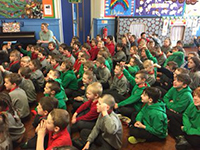 Cafwyd diwrnod i’w gofio yn yr ysgol ddiwrnod yr eisteddfod gyda llysoedd coch,gwyrdd a glas i’w gweld yn y neuadd.Cawsom hwyl yn gwrando ar y gyrglo,dweud jocs,meimio a Mrs Roberts yn ennill y dydd ar gan y gwpan.Roedd Mrs Jones yn haeddu Oscar am ei phortread o ffermwr yn chwilio am gariad ac wrth gwrs roedd yr orsedd yn werth ei gweld fel arfer.Llongyfarchiadau mawr i Gronw ar ennill y gadair am yr eilwaith a diolch yn fawr i Mr Derek Thomas,Llithfaen gyda chymorth Llinos Bl 3 am greu y gadair hardd.Diolch hefyd i Mrs Hafwen Hughes(Pant yr Hwch) am gyd-feirniadu gyda Nannw,Plas yn y bore cyn daeth Elin Gwynfryn atom yn y prynhawn.Gobeithio iddynt hwythau gael yr un boddhad a ninnau.Da iawn Carnguwch y llys buddugol eto eleni! Llongyfarchiadau mawr i aelodau adran yr Urdd ar eu llwyddiant yn yr Eisteddfod Sir.Enillodd yr ymgom ar y llwyfan mawr ac mae’r rocars yn edrych ymlaen i deithio i Sir Benfro ddiwedd Mai.Daeth yr ensemble a’r parti cerdd dant yn ail a daeth Osian a Lleu yn drydydd ar y ddeuawd.Da iawn chi. Gwelwyd gwrach go ryfedd yn hedfan heibio pan fu dathlu diwrnod y llyfr yn yr ysgol.Gwrach gyda ffrog ddu ac am ei goesau roedd teits duon ! !Sgwn i a welsoch chi hi/o?Roedd pawb yn werth eu gweld yma ac wedi mynd i hwyl y cymeriadau.Diolch yn fawr i Mrs Nia Griffith y prif lyfrgellydd yng Nghaernarfon a ddaeth oddi amgylch pob dosbarth i ddarllen a dangos rhai o’r llyfrau newydd sydd ar gael ar y farchnad yn Gymraeg a Saesneg i’r plant. Gwahoddwyd Mark Winkup atom fel rhan o gyflwyniad ‘Paid,cyffwrdd,dweud’.Cafodd rai gyflwyniad ar berygl cyffuriau a’r rhai hynaf ar alcohol. Bu criw’r Cylch yn blasu teisennau cri yn eu gwisgoedd coch i ddathlu Dydd Gwyl Dewi .Daeth Mr Gwilym Griffith,Plas i roi stori Tecwyn y Tractor i ddathlu diwrnod y llyfr . 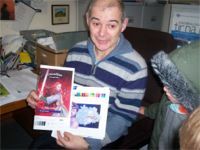 Os oes gennych blentyn sydd am fynychu’r Cylch yn mis Medi,cofiwch gysylltu ar 01758 750 600 neu 01766 819 093/07540 763 124. Mae Bl 3 a 4 yn dilyn thema ‘Fi a’r Fro’ y tymor yma ac yn dysgu am edrych ar ol y corff.Daeth y plant a’r syniad o ymchwilio i agor Siop Ffrwythau yn yr ysgol.Roedd y dosbarth eisioes wedi agor Siop Dost y llynedd ond teimlwyd y dylem anelu at rywbeth iachach y tro yma.Cafodd aelodau y cyngor dosbarth—Lewis,Osian,Meleri a Cynwal groeso mawr yn Ysgol Edern pan aethom i weld eu Siop Ffrwythau ar waith.Diolch o galon i’r staff a’r plant am ateb ein cwestiynau ddirifedi.Mae’r troli newydd wedi cyrraedd a chafodd ei chyflwyno yn y gwasanaeth i’r ysgol gyfan.Gan obeithio rwan y bydd plantos Pentreuchaf yn anelu am bump y dydd! 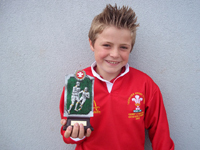 Cawsom gwmni Llyr Hughes,fferyllydd Nefyn a Llanbedrog atom i bwysleisio pwysigrwydd gofalu am y corff.Cafodd Llyr waith caled o ateb llu o gwestiynau a diolch o galon am ei amser prin. 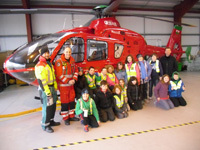 Croesawyd Swyddog Diogelwch y Ffyrdd at Gyf All 2 i bwysleisio rheolau croesi’r ffordd,cerdded ar balmentydd ac edrych allan am draffig.Buodd Swyddog Diogelwch Tan gyda’r dosbarthiadau i gyd yn pwysleisio diogelwch a beth i’w wneud mewn argyfwng tan. Agorodd Bl 5 a 6 eu drysau’n groesawgar ac eiddgar iawn yn ddiweddar i roi blas ar eu gwaith ar Iddewiaeth.Cafodd pob dosbarth arddangosfa wych gan ddysgu am y grefydd mewn ffyrdd hwyliog o gemau oedd wedi eu paratoi ,ffeithiau diddorol,sesiynau celf,gwrando ar gerddoriaeth oedd wedi ei gyfansoddi ganddynt, a stori Anne Frank.Diolch yn fawr i Bl 5 a 6 am eu gwaith caled. Llongyfarchiadau mawr i Gronw Bl 6 ar ennill y drydedd wobr drwy Gymru am ysgrifennu rhyddiaith yn Eisteddfod yr Urdd Sir Benfro.Roedd hefyd yn aelod o Dim Rygbi Eryri .Cafodd Gronw hefyd ei dderbyn yn aelod o Dim Rygbi ERYRI dan 11 oed.Da iawn ti. Cafodd bechgyn a genethod Bl 6 gyfle i brofi gwersi addysg gorfforol yn Ysgol Glan y Mor yn ddiweddar.Bu’r bechgyn yn chwarae pel droed a’r genod yn chwarae hoci. O GAEAD I GAEAD I GRYS-Bu Bl 3 a 4 y llynedd yn casglu caeadau poteli plastig.Bu iddynt gasglu miloedd a’u gyrru i ffwrdd mewn addewid y buasai’r caeadau wedi eu hailgylchu’n grysau tim chwaraeon proffesiynol gyda logo’r ysgol arnynt gan gwmni ‘Cool Seas Roadshow’.Cyrhaeddodd y parsel hir ddisgwyliedig yr wythnos ddiwethaf a chawsom wybod ein bod yn un o dair ysgol drwy Gymru am gasglu’r mwyaf o gaeadau.Diolch i’r rhieni am ein helpu. Bu holl blant yr ysgol yn dysgu adnabod baneri’r byd a’u prifddinasoedd.Cafodd pob dosbarth eu profi a gwnaeth rhai yn arbennig o dda gan sgorio marciau llawn.Casglwyd £747.00tuag at bum elusen –Ymchwil Canser,Ambiwlans Awyr Cymru,Apel John Hartson i Ganser y Caill,Cymorth i Gyn-Filwyr, a Sefydliad Prydeinig y Galon.Diolch yn ddiffuant iawn i’r rhieni,neiniau a theidiau a chyfeillion am noddi’r plant mor garedig.Enillodd Meleri Bl 4 wobr arbennig o atlas am gasglu’r swm mwyaf o arian. Roedd swn ym Mhorthdinllaen ar y trydydd o Fai pan oedd plantos y Cyfnod Sylfaen yn mwynhau eu hunain ac yn dysgu am y lle hudolus.Maent yn dilyn thema’r mor y tymor yma.Edrychant ymlaen am gwmni Mr Sion Williams pysgotwr lleol yn y dosbarth i siarad am ei waith a blasu ychydig o gynnyrch y mor. Treuliwyd y prynhawn yn Sioe Rala Rwdins ym Mhwllheli yng nghwmni cymeriadau difyr Gwlad y Rwla.Roedd y plantos yn llawn straeon ar ol eu hymweliad. Rygbi - Bu Gronw yn aelod o dîm rygbi Eryri dan 11 oed a gyrhaeddodd rownd derfynol cwpan plat Western Mail WSRU - Undeb Rygbi Ysgolion Cymru erbyn Castell Nedd. Croesawn bedwar disgybl newydd i’r ysgol yn ddiweddar.Mae William ac Alaw a Callum a Katlin wedi setlo’n dda iawn yn ein plith. COFIWCH NODI YN EICH DYDDIADUR!! CYFLWYNIAD I DAITH GERDDED YSGOL PENTREUCHAF-NOS IAU MEHEFIN 13 eg am 6.30 yn Neuadd yr Ysgol. TAITH GERDDED YSGOL PENTREUCHAF-DYDD SADWRN MEHEFIN 15fed.Bydd yr hanesydd John Dilwyn Williams yn ein tywys ar daith ddiddorol o gwmpas ardal Pentreuchaf am 1 y pnawn. I ddilyn bydd Gwyl Hirddydd Haf yn yr ysgol lle bydd cestyll neidio,stondinau,barbeciw a hufen ia a gem bel-droed go arbennig.Dewch yn llu! !Croeso i bawb! 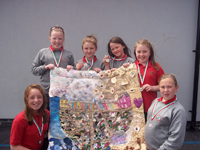 Eisteddfod Gadeiriol Ysgol Pentreuchaf- Cafwyd diwrnod i’w gofio yn yr ysgol ddiwrnod yr eisteddfod gyda llysoedd coch,gwyrdd a glas i’w gweld yn y neuadd.Cawsom hwyl yn gwrando ar y gyrglo,dweud jocs,meimio a Mrs Roberts yn ennill y dydd ar gan y gwpan.Roedd Mrs Jones yn haeddu Oscar am ei phortread o ffermwr yn chwilio am gariad ac wrth gwrs roedd yr orsedd yn werth ei gweld fel arfer.Llongyfarchiadau mawr i Gronw ar ennill y gadair am yr eilwaith a diolch yn fawr i Mr Derek Thomas,Llithfaen gyda chymorth Llinos Bl 3 am greu y gadair hardd.Diolch hefyd i Mrs Hafwen Hughes(Pant yr Hwch) am gyd-feirniadu gyda Nannw,Plas yn y bore cyn daeth Elin Gwynfryn atom yn y prynhawn.Gobeithio iddynt hwythau gael yr un boddhad a ninnau.Da iawn Carnguwch y llys buddugol eto eleni! Llongyfarchiadau mawr i aelodau adran yr Urdd ar eu llwyddiant yn yr Eisteddfod Sir. Enillodd yr ymgom ar y llwyfan mawr ac mae’r rocars yn edrych ymlaen i deithio i Sir Benfro ddiwedd Mai.Daeth yr ensemble a’r parti cerdd dant yn ail a daeth Osian a Lleu yn drydydd ar y ddeuawd.Da iawn chi. 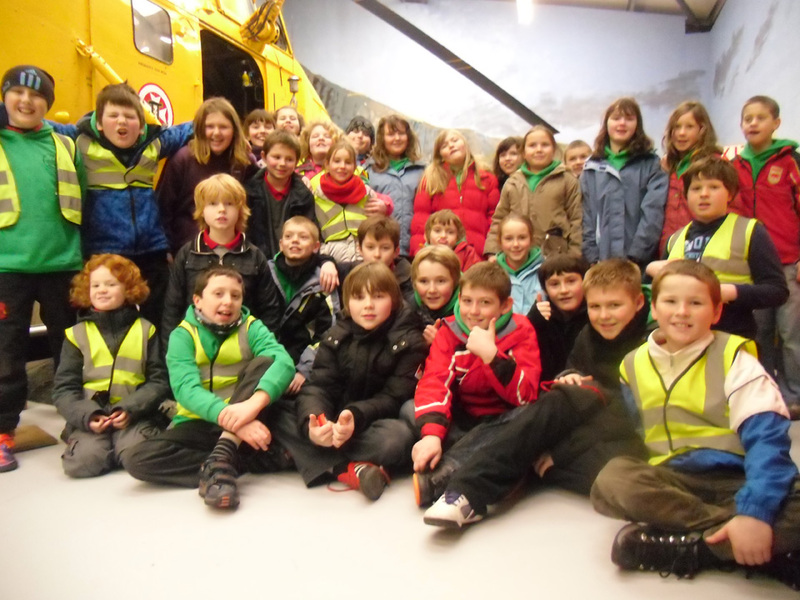 Gwelwyd gwrach go ryfedd yn hedfan heibio pan fu dathlu diwrnod y llyfr yn yr ysgol. Gwrach gyda ffrog ddu ac am ei goesau roedd teits duon ! !Sgwn i a welsoch chi hi/o?Roedd pawb yn werth eu gweld yma ac wedi mynd i hwyl y cymeriadau.Diolch yn fawr i Mrs Nia Griffith y prif lyfrgellydd yng Nghaernarfon a ddaeth oddi amgylch pob dosbarth i ddarllen a dangos rhai o’r llyfrau newydd sydd ar gael ar y farchnad yn Gymraeg a Saesneg i’r plant. Cylch Meithrin - Bu criw’r Cylch yn blasu teisennau cri yn eu gwisgoedd coch i ddathlu Dydd Gwyl Dewi .Daeth Mr Gwilym Griffith,Plas i roi stori Tecwyn y Tractor i ddathlu diwrnod y llyfr . Mae‘r Lili a’r Cennin Pedr yn rhoi gwen ar ein wynebau i groesawu’r Gwanwyn yma ym Mhentreuchaf ac felly hefyd ar fwrdd natur y Cyfnod Sylfaen yng nghyntedd yr ysgol.Diolch i’r plant am harddu’r fynedfa gyda’u blodau bach a’u lluniau a ffotograffau. Edrychwn ymlaen am ddathliadau Gwyl Ddewi. Byddwn yn cychwyn y diwrnod gyda gwasanaeth arbennig gan ddosbarth Mrs Roberts .Yna,byddwn fel ysgol yn croesawu pensiynwyr yr ardal i’n cinio Gwyl Ddewi blynyddol lle bydd pawb yn cael blas ar lobsgows ac ambell i gan cyn dawns flodau arbennig gan enethod blwyddyn un a dau yng ngofal eu coreograffydd Mrs Manon Griffith. Cynhaliwyd gweithdy limrigau i rai o’r Adran Iau yng ngofal Myrddin ap Dafydd yn ddiweddar.Treuliwyd y bore yn odli ac acennu a limrigiwyd i swn cwpanau yn null y ‘cup song’ diweddar.Cafwyd hwyl arbennig ar adrodd rhai o limrigau Jos Giatgoch tra roedd ei fab,Deio Giatgoch a’i ffrind Owain yn ffilmio’r dosbarth .Edrychwn ymlaen i weld a chlywed y ffyrdd hwyliog o ddysgu sut i limriga ar ffurf DVD mewn llyfr barddoniaeth newydd gan Wasg Carreg Gwalch yn fuan. Cafodd 22 o blant Bl 3 a 4 andros o hwyl yng ngwersyll Glan Llyn. Dwn i ddim pwy fwynhaodd fwyaf Mrs Jones a Mrs Humphreys ta’r plant?Cafodd y ddwy fwynhad mawr o ddawnsio yn sdeil y Gangnam yn y disgo er mawr syndod i’r plant! Treuliwyd diwrnod hwyliog yng nghaeau y clwb rygbi ym Modegroes pan chwaraeodd Bl 3 a 4 rygbi a hoci mewn timau o wahanol wledydd y byd.Braf oedd cael gweld plant ysgolion dalgylch Pwllheli yn gwneud ffrindiau newydd a diolch i Ffion Ysgol Cymerau am drefnu. Dymunwn yn dda iawn i aelodau’r Urdd sydd wedi bod yn llwyddiannus a mynd drwodd i’r Eisteddfod Sir ym Mangor ar Fawrth 16. Pob lwc i Cynwal ar y llefaru,Osian a Lleu ar y ddeuawd,Gronw ar yr unawd alaw werin a’r unawd cerdd dant,yr ensemble a’r parti cerdd dant. Bydd gennym ganlyniadau Eisteddfod Gadeiriol Ysgol Pentreuchaf yn y rhifyn nesaf lle bydd cyn ddisgyblion yr ysgol yn beirniadu.Edrychwn ymlaen i groesawu Nannw Plas ac Elin Gwynfryn i’n plith unwaith eto a bydd Gwenno Plas yn beirniadu’r gwaith cartref ysgrifenedig.Diolch i chi’ch tair am eich parodrwydd i gymeryd rhan mor bwysig yn yr hwyl. Mae Cyfeillion yr ysgol wrthi’n trefnu taith gerdded hanesyddol ym Mhentreuchaf. Rydym yn hynod ffodus o John Dilwyn , yntau’n gyn-ddisgybl yn yr ysgol.Mae wedi cytuno yn ei brysurdeb i roi noson o sgwrs a chyflwyniad yn yr ysgol cyn arwain taith i rieni a phlant o gwmpas yr ardal gyfagos.Edrychwch allan am y dyddiad yn y rhifyn nesaf o’r Llanw. Good morning! 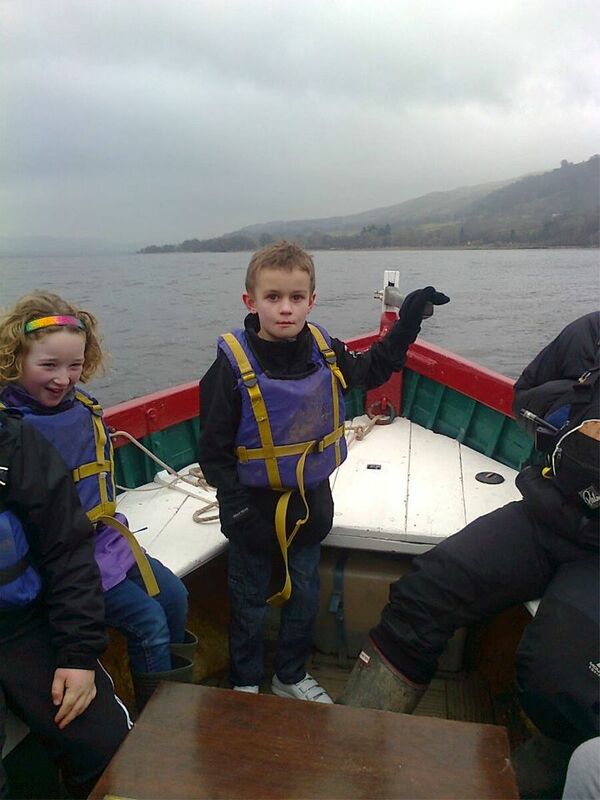 Here is Captain Owen Llyr sailing the Brenin Arthur on Llyn Tegid! A ddown ni oddi yno. Disgyblion Blwyddyn 5 a 6 a Myrddin ap Dafydd Ionawr 2013. Daeth Myrddin i ddosbarth hynaf yr ysgol i drafod gwaith Hedd Wyn a chreu englyn gyda’r disgyblion.Maent hefyd wedi bod yn astudio englynion R.Williams Parry. Methwyd ag ymweld a’r Ysgwrn ddechrau Ionawr oherwydd yr eira ond cafwyd gwibdaith arall ar ddiwrnod olaf y mis i ymweld a chartref y bardd a chyfle i gyflwyno’r englyn i nai Hedd Wyn, Mr Gerald Williams. Cawsant hefyd gyfle i fwynfau arddangosfa a gweithgareddau yng Nghanolfan Ednowain yn Nhrawsfynydd cyn dychwelyd i’r ysgol. DISGYBLION BLWYDDYN 5/6 A MR GERALD WILLIAMS, YR YSGWRN. 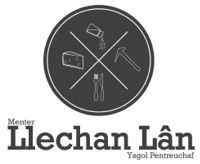 Clwb y Llygod Bach –Mae’r Clwb wedi ail ddechrau clicio gyda thiwtor a myfyrwyr o Goleg Meirion Dwyfor yn arwain y clwb yn wythnosol i ddosbarth Bl 5 a 6 yn y lle cyntaf gan ganolbwyntio ar raglennu meddalwedd. Buom fel ysgol yn dathlu diwrnod Santes Dwynwen gan gynnal gem i ffrindiau yn ystod ein gwasanaeth.Da iawn bawb a gymerodd ran.Gan obeithio fod darllenwyr y Llanw wedi derbyn llwyth o gardiau eto’r flwyddyn yma! 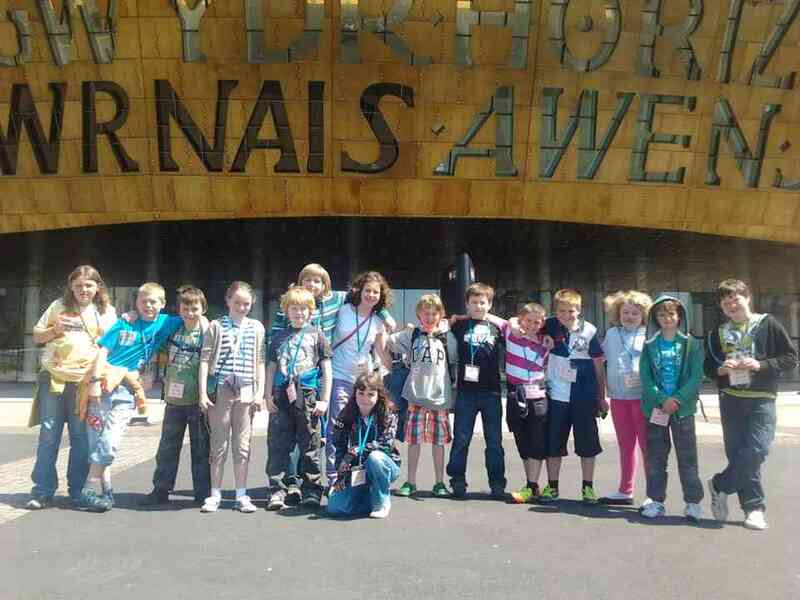 Croesawn Catrin Evans yma fel myfyrwraig ar ei thrydydd blwyddyn o’r Coleg ym Mangor. Dymunwn yn dda i ti yng nghanol criw y Cyfnod Sylfaen sydd yn gweithio’n brysur ar rigymau ac odlau yr hanner tymor yma.Carai’r dosbarth ddiolch o galon i Gyfeillion yr Ysgol am y cwt dal offer newydd meant wedi ei dderbyn. Tra mae Bl 3 a 4 yn astudio Cyfnod y Tuduriaid trafferthus! 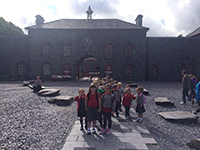 Galwodd John Dilwyn o’r archifdy gyda ffeithiau difyr iawn amdanynt.Bydd criw y dosbarth yma yn ymweld a Glan Llyn yn mis Chwefror.Cewch adroddiad o’r trip preswyl yn y rhifyn nesaf! Rydym yn dechrau paratoi at ein heisteddfod flynyddol yn yr ysgol.Sgwni pwy fydd gan y pwyntiau uchaf eleni? Carnguwch, Mela neu Penprys??? 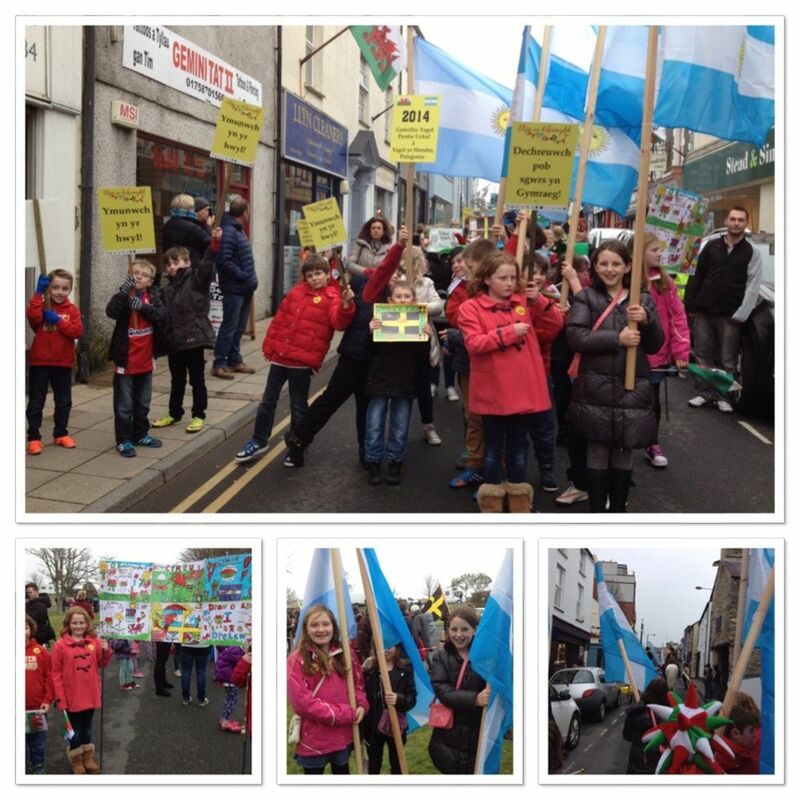 Mae plant adran yr Urdd Pentreuchaf a Llithfaen yn cystadlu yn yr Eisteddfod Cylch yn ystod yr hanner tymor. Dymunwn yn dda iawn i bawb. Cylch Meithrin- Croesawn dri plentyn newydd eto i’n plith yn y Cylch Meithrin. Braf yw cael camni Twm Bryn, Efa a Nel. 09:01:13 - Happy New Year to all of you! Cawsom wasanaeth bendigedig i gloi ein hanner tymor gan griw’r meithrin a’r derbyn.Cymerodd bob un ran arbennig yn eu gwasanaeth i ddiolch am ein llysiau a phwysigrwydd y bwgan brain sy’n helpu’r ffermwr. Bu Catrin Richards o Goleg Meirion Dwyfor yn treulio’r wythnos gyda phlant y Cyfnod Sylfaen.Diolch iddi am ei chymorth parod a’i pherthynas arbennig gyda’r plant.Roedd tua 30 o blant eisiau eistedd gyda Catrin ar y bws nofio sydd yn profi ei phoblogrwydd.Dymunwn pob llwyddiant i ti gyda dy gwrs Catrin a brysia yn ol i’n gweld ni. Dathlwyd Diwrnod T.Llew Jones mewn steil eto eleni gyda’r rhan fwyaf o blant yng ngwisgoedd cymeriadau llyfrau T.Llew.Dysgwyd cerdd Ifan y Mul o’r Hendre yng ngwaelod yr ysgol gan dynnu lluniau’r anifeiliaid yn y gerdd wrth i’r plant hyn greu cloriau newydd i’w lyfrau ac ysgrifennu sgriptiau. Cafodd plant Bl 3 a 4 gwmni Mrs Lynne Shepherd am ddau ddydd Iau oedd yn ein dysgu sut i wehyddu mewn gwlan lliwgar.Cafodd pawb ddysgu’r sgil o wehyddu a chrewyd gwaith arbennig iawn.Gobeithiwn eu harddangos yn y neuadd i bawb gael eu gweld.Diolch yn fawr i Mrs Shepherd. Daeth Llinos Roberts at bob dosbarth i son am ei hymweliad a Sierra Leone yn ddiweddar.Gwelwyd sleidiau a lluniau ‘r ysgol yno a mawr oedd y diddordeb fod ieir yn y dosbarthiadau’n crwydro’n rhydd!Diolch i LLinos am rannu ei gwybodaeth i ni . 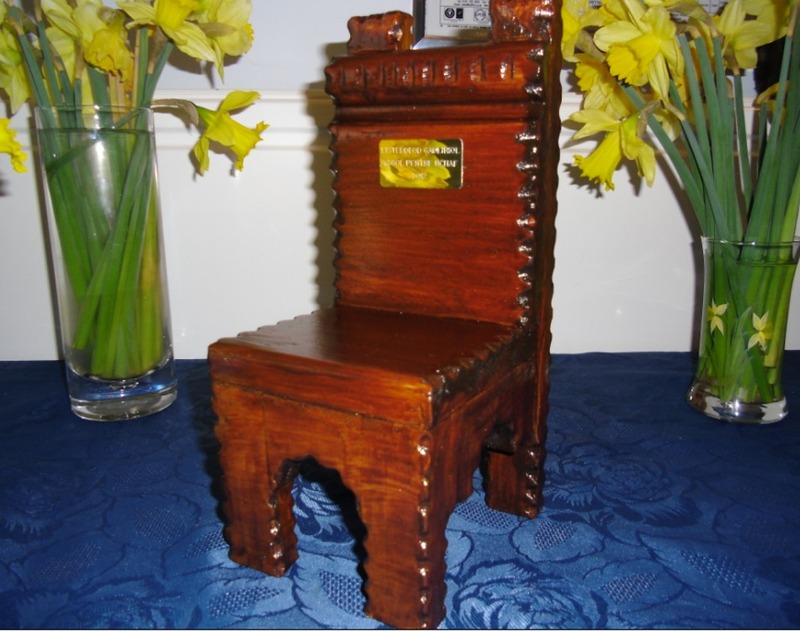 Os yw’r Eifl yn gwisgo’i chap…..a chap llwyd gwlanog oedd am ei phen pan aeth Bl 5 a 6 i ddringo Tre’r Ceiri dan arweiniad Anita Daimond o Gymdeithas Archeolegol Gwynedd.Er i Anti Julie a Mr Thomas rynnu dipyn go lew cafwyd dwirnod gwerth chweil! Mae gennym dditectifs ynni yn yr ysgol fel rhan o Gynllun Lleihau Carbon Cyngor Gwynedd. Mae FFion Mai Jones yn gweithio’n agos gyda disgyblion Bl 5 a 6 er mwyn ceisio lleihau’r defnydd o ynni yn yr ysgol er mwyn arbed arian a’r amgylchedd.Bydd paneli solar yn cael eu gosod ar do’r ysgol yn fuan. 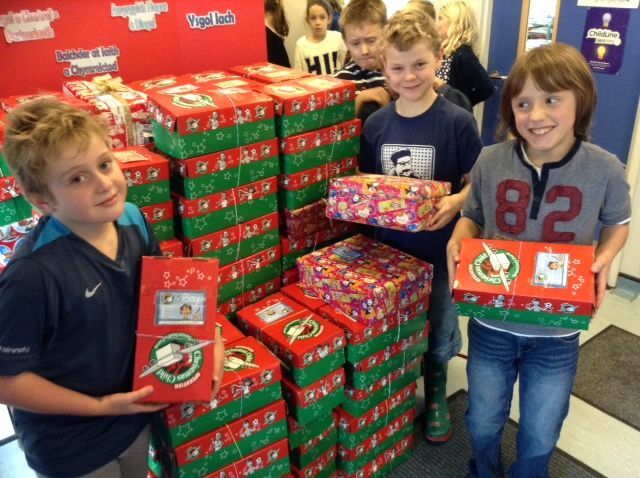 Bocsys Operation Christmas Child i mewn Tachwedd 16. 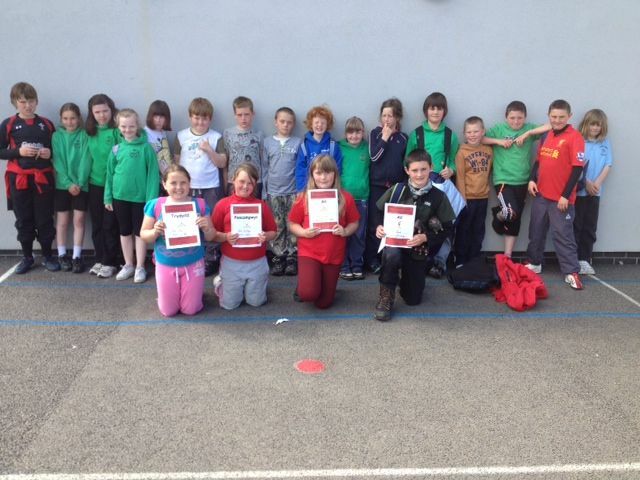 Byddwn yn falch o dderbyn bocsys gan y plant a’r gymuned. 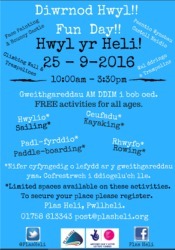 Tynnu lluniau Tachwedd 19 - Croeso i chi ddod a’ch plentyn i’r ysgol i dynnu ei lun rhwng 8.30-9.30 y bore. 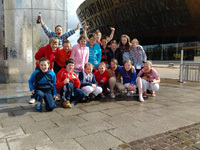 Just a reminder that Urdd membership is at a bargain price of £6 if you join before this Friday, 26 October. After this date, membership will be £6.50 each. Take advantage of this great offer by joining before Friday! 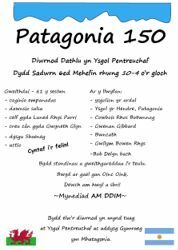 Address to return membership forms is Adeilad Penhelyg, Gwersyll Llangrannog, Llangrannog, Ceredigion, SA44 6AE. Cylch Meithrin Pentreuchaf - Croesawn naw plentyn i’r Cylch Meithrin y tymor yma .Croeso i Robin , Morgan , Guto, Ifan, Cian, Michael, Tomos, Mari, Beca ac Emyr. Croeso mawr i Anti Wendy hefyd-eu harweinydd newydd. Edrychwn ymlaen i glywed eich anturiaethau yn y dyfodol. Cyfnod Sylfaen - Aeth y plantos yn ol flynyddoedd i gael gwybodaeth am offer cegin ffermydd erstalwm gyda chymorth Anti Gwenda o’r Archifdy. Cawsom ymweliad gan y ffermwr,Gareth Wyn Jones oddi ar raglen Fferm Ffactor i’r ysgol i drafod sut mae ffermio ar fferm fynyddig. Daeth synnau difyr iawn o’r ystafell athrawon un nos Lun pan gafodd rhieni plantos y Cyfnod Sylfaen wersi iaith.Noson ddiddorol gan Karen Cowtan sydd yn gweithio ar gyflwyno synnau’r wyddor gyda’r plant lleiaf. Hwyl yr hwiangerdd newydd - Yn dilyn dysgu hwiangerddi casglodd plant y Cyfnod Sylfaen swm sylweddol o arian.Gyda’r arian prynwyd chwaraewr CD a chlustffonau a chasgliad mawr o lyfrau ar gyfer yr ardal ddarllen.Dymuna’r plant a’r staff ddiolch i bawb am eu cefnogaeth unwaith eto. Bl 3 a 4 - Braf ydyw cael croesawu John Dilwyn Williams i’r ysgol bob tro gan wybod fod ganddo stor o wybodaeth leol ddifyr dros ben.Cartrefi Llyn oedd y testun a mwynhaodd y dosbarth edrych yn ol ar hen luniau o’r gwahanol dai a chartrefi oedd o gwmpas yr ardal erstalwm gyda rhai yn ffynnu heddiw. Daeth egwyl i’r dosbarth un prynhawn i hwylio dros y genlli.A dyna ddiwrnod braf o Fedi a gawsom i gael ymweld a’r ynys ei hun.Er yr holl aros i groesi ers mis Mehefin daeth y diwrnod o’r diwedd a buodd yn werth aros yr holl ddyddiau!Diolch yn fawr i Colin am ein croesi’n saff a diolch i Rhian am ein harwain ar yr ynys yn ei ffordd ddi-hafal.Cawsom y cyfle i rannu’r gan gyda Colin fel cefnogaeth iddo yn erbyn y parthau morwrol.Gobeithio y caiff dosbarthiadau’r dyfodol yr un profiad o gael troedio Enlli. 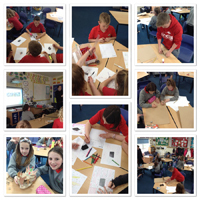 Bl 5 a 6 - Daeth Anita Daimond,archeolegwraig i’r dosbarth yr wythnso yma i drafod taith i Dre’r Ceiri.Bydd ysgolion lleol yn cyd-weithio ar becyn arbennig am y safle yn dilyn eu taith.Edrychwn ymalen at dywydd i gael dringo! Dymunwn fel ysgol ddymuno adferiad buan o ran iechyd i Mr Hywel Hughes,Tegfan a braf yw ei weld ar ei feic hyd y lle.Yn yr yn modd dymunwn ur un fath i Mr Simon Crook,Mela a braf oedd ei weld yn yr ysgol yn ddiweddar. 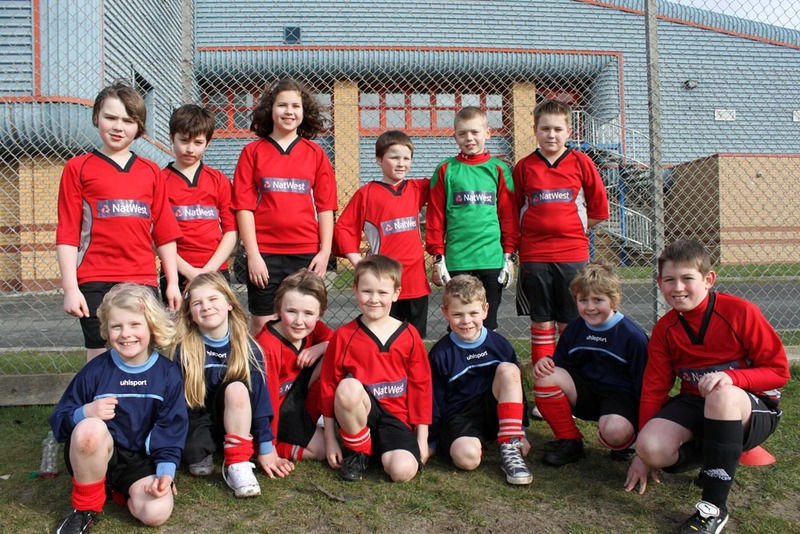 26.09.12 www.footballcaroll.co.uk offering 10% to the school from any purchases made! 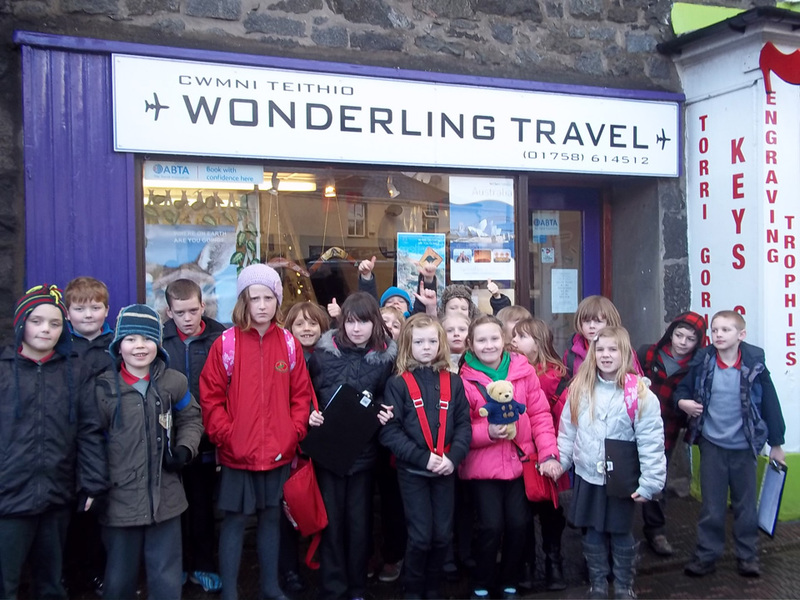 Harri, Deio, Iwan, Jack, Cian, Ceiri, Dewi, Gethin, Tomos, Jac, Caio, Emir, Cadi, Ffion a Lili. 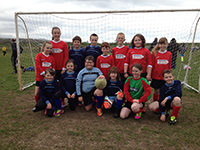 Morgan, Owen, Jac, Daniel, Toni, Ioan, Kian, Aron, Jake, Angharad, Alaw, Lili a Mared. Estynwn groeso mawr yn ogystal i’w hathrawes Mrs Delyth Roberts ac i Mrs Helen Cookson i’n plith,gan obeithio y setlith pawb mewn dim o dro. 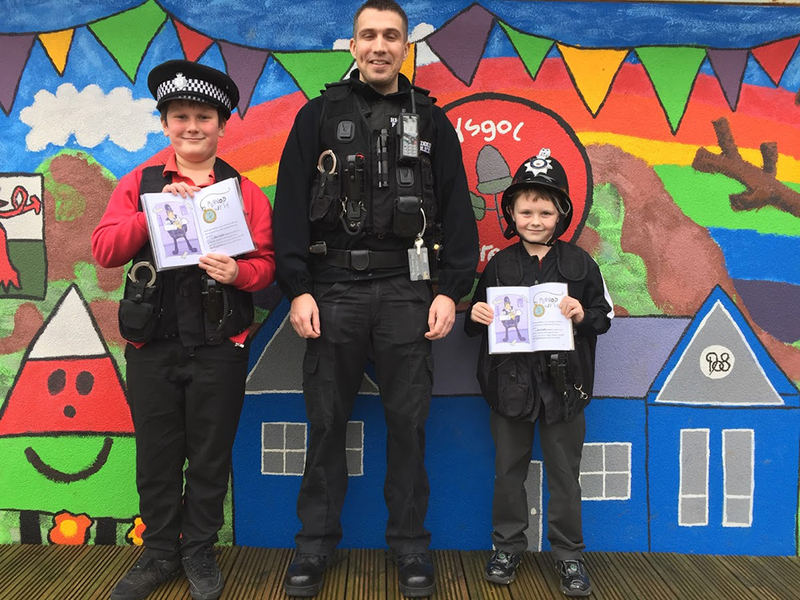 Pob lwc i bawb yn eu blwyddyn neu ddosbarth newydd a dymunwn hynny i’r pedwar plentyn ar bymtheg a adawodd am yr Ysgol Uwchradd. Credwch ni nad oedd llygaid sych yma yn yr ysgol ar y diwrnod olaf y tymor diwethaf pan roedd rhaid ffarwelio a Mrs Menna Morgan a Bl 6 yn ogystal a Mrs Griffith , Anti Llinnos ac Anti Sioned. Dymunwn yn dda iawn i Mrs Morgan ar ei hymddeoliad , i Delyth yn Ysgol Crud y Werin, Aberdaron, I Sioned ym Mhrifysgol Aberystwyth ac i Llinnos i’r dyfodol. 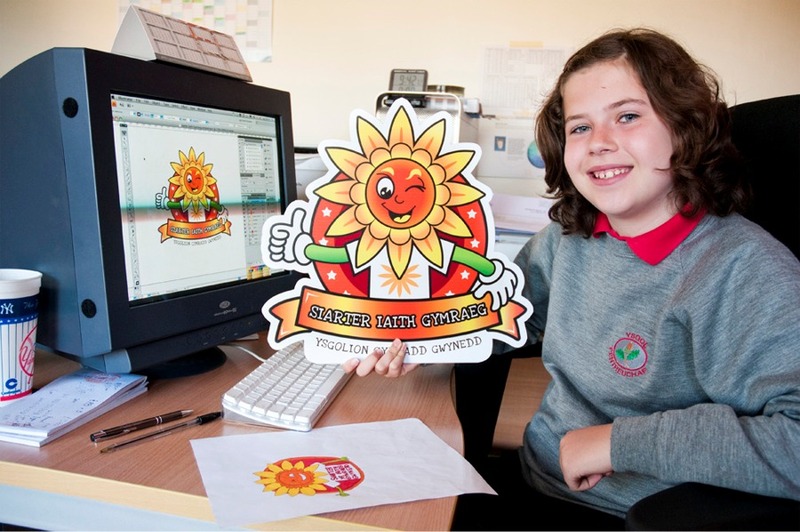 Elin Mair Roberts from Ysgol Pentrechaf was the winner of a recent competition to design a logo to help promote the use of the Welsh language among children. 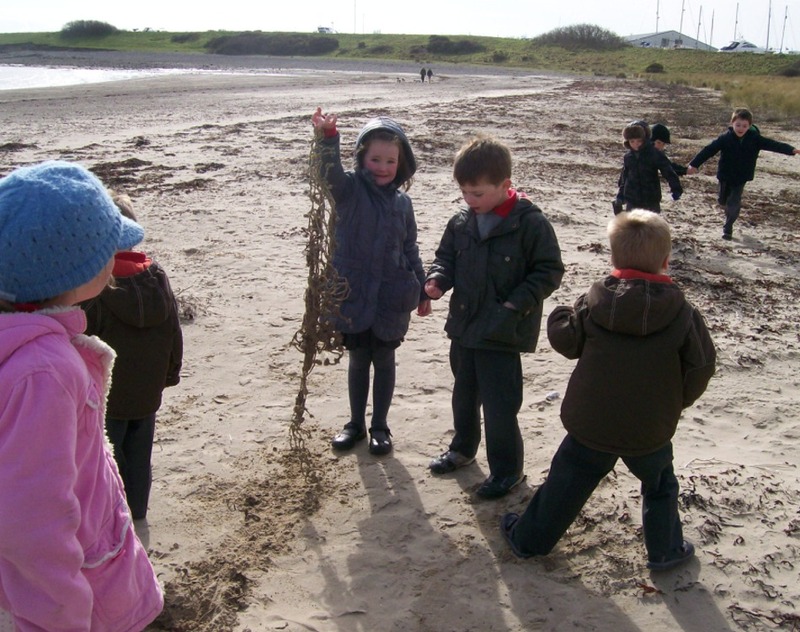 Gwynedd Primary Schools’ Language Charter, launched by Gwynedd Council last year, is aimed at encouraging children to use the language in their play and other day-to-day activities outside the classroom. 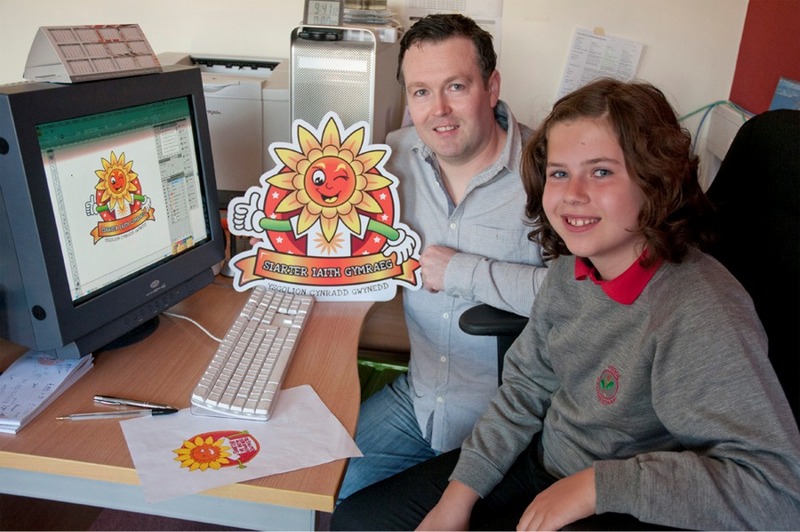 As well as a cash prize of £50, Elin had the opportunity, with two of her friends, to visit the local Dylunio Gringo studio in Penygroes to see her logo being finalised by a professional designer. Ysgol Pentrechaf also got a £100 worth of book tokens. With the Charter being implemented in all primary schools in Gwynedd over the next year, a gold, silver or bronze status will be awarded to individual schools in accordance with how successful they have been in encouraging children to communicate in Welsh with each other. Elin Mair Roberts with the winning logo. Pili Palas-Bu criw y Cyfnod Sylfaen draw i Sir Fon i ganol y trychfilod a mwynhau eu hunain yn arw.Bydd criw’r Meithrin yn mynd yn fuan ar drip i lan y mor i gael hufen ia yng Nghricieth. Enlli-I bererindota bydd Bl 3 a 4 yn mynd ddechrau Gorffennaf gan obeithio am dywydd gwych fel y cawsom yno ddwy flynedd yn ol.Bydd Mrs Rhian Williams yn ein tywys ar yr ynys yn ei dull di-hafal ei hun! Ar feic Peniffardding-Dyna oedd can i ddiweddu cyfwyniad Bl 3 a 4 i’r hen ffyrdd o deithio yn yr ardal ddaeth a gwobr iddynt yng Nghystadleuaeth Menter Ysgolion y Dreftadaeth Gymreig.Llongyfarchiadau mawr a diolch eto i drigolion lleol. Ar eu beiciau mae Bl 6 hefyd gan ddilyn cwrs beicio saff yn yr ysgol.Byddent hwythau yn derbyn tystysgrifau ar y diwedd. Mei Mac-Daeth Mei Mac at Fl 5 a 6 i greu cerdd am y mor a daeth at Fl 3 a 4 I ddangos y grefft o feddwl fel bardd.Gobeithio bydd ffrwyth llafur plant Bl 3 a 4 yn cael ei ddangos yn eu cerdd ar ol ymweliad Enlli. Diolch i Alison Hargrave,biolegydd mor(Pen Llyn a’r Sarnau) ddaeth at Fl 3 a 4 i roi sgwrs am ei gwaith a pha greaduriaid i edrych allan amdanynt wrth deithio i Ynys Enlli.Cawsom gyfle i wneud gwaith celf yn ei chwmni yn dilyn sleidiau . Mae Clwb Chwaraeon yr ysgol yn boblogaidd iawn tan arweiniad ein myfyrwyr.Carwn ddiolch o galon i’r ddau am eu cwmni a’u hymroddiad i’r ysgol.Mae gennym Glwb newydd wedi dechrau yn awr sef Clwb Ukelele a Chlwb TCHG. Daeth cerddoriaeth fendigedig o un o’r dosbarthiadau un bore pan gawsom y cyfle i glywed pedwarawd llinynnol yn chwarae ac Ynyr ,disgybl Bl 5 o Ysgol Bontnewydd yn chwarae ffidil.Diolch yn fawr iddynt am eu cyngerdd i ni.Trefnwyd yr ymweliad gan Ganolfan Gerdd William Mathias.Gan obeithio bydd rhai o’r plant awydd gafael ynddi yn mis Medi. Gwyl Hirddydd Haf-Gobeithio y cawn Wyl lwyddiannus eto eleni a diolch yn fawr i rieni gweithgar am eu cefnogaeth. Dymunwn wyliau haf cynnes a heulog i bawb! "Clicia ar y gwefanau isod er mwyn rhoi help llaw i ti ddysgu dy dablau!! (gan blant Blwyddyn 5 a 6)"
Having experienced the notable success and atmosphere of the Eisteddfod held at Glynllifon last week, may I express my pride and thanks to all of you who ensured that the children of Ysgol Pentreuchaf had the opportunity to experience our rich heritage, be it through the Departments of Pentreuchaf or Llithfaen or School activity, the districts and counties or on the Eisteddfod stage. Everybody and everything has its place. I would like to thank all the parents involved. 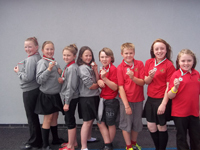 Criw o Ysgol Pentreuchaf ac Ysgol y Gorlan hefo Eurig Salisbury, Bardd Plant Cymru 2012-2013 ar ol perfformio ar lwyfan Eisteddfod yr Urdd Eryri Dydd Mawrth. Bu criw draw dros yr enfys gyda Martin Geraint yn ddiweddar yn NEUADD Dwyfor Pwllheli .Bu’r criw crwydrol ym Meddgelert yn fuan wedyn yn ymweld a’r pentref ar ddiwrnod gogoneddus yng nghanol y tywydd sobor a gawsom.Cafodd pawb ymweld a bedd y ci a chael eu sbarduno gan y cerflun o’r hen gi i greu un eu hunain ar ol dychwelyd.Wedi sylwi ar yr harddwch o’u cwmpas,ymweld ag Eglwys Santes Fair a cherdder ar lan yr afon roedd ambell i bar o lygaid yn drwm iawn ar y bws y ffordd adref. 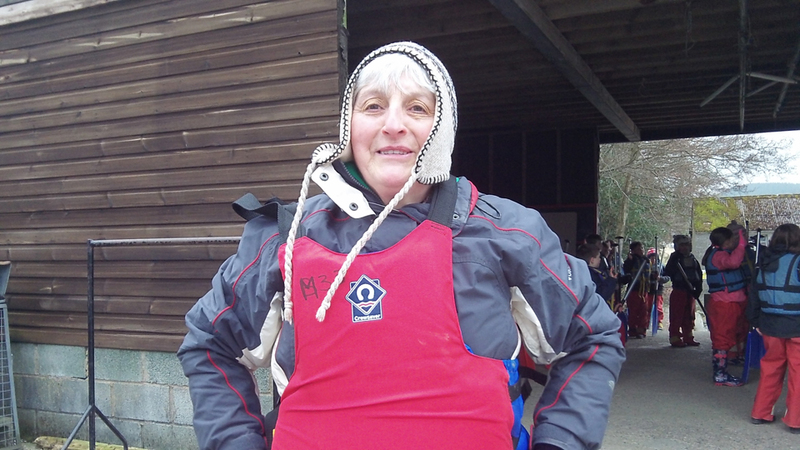 Mae garddwyr y Cyfnod Sylfaen wedi cychwyn harddu eu hardal y tu allan gyda blodau bendigedig mewn wellingtons sydd wedi mynd yn rhy fach i Mrs Griffith.Diolch am eich rhodd Mrs Griffith. Cymerodd y dosbarth ran mewn cystadleuaeth i ysgolion sydd yn cael ei gynnal gan Fenter Ysgolion y Dreftadaeth Gymreig ar ddechrau’r mis.Teitl ein cywaith oedd ‘Sut mae teithio yn ardal Pentreuchaf wedi newid’.Paratowyd cyflwyniad gan y plant a gwahoddwyd yr ardalwyr i’n plith i eistedd yn ol a mwynhau’r gwybodaeth a gasglwyd cyn eu holi am eu profiadau hwy o deithio .Carwn ddiolch o galon i Yncl Edward Y Fron,Yncl Ifan ac Anti Greta Brynhyfryd,Yncl Gwilym Y Felin,Anti Beryl Sychnant,Anti Jen Ty Corniog,Anti Nan ac Anti Meiriona,Anti Sioned,Yncl Gwilym Plas am gymeryd rhan mewn prynhawn hamddenol braf yng nghwmni’r plant a diolch hefyd i Yncl Twm Sychnant am ddod a’r Morus Meinor ar yr iard.Cafodd pawb dro bach yn y car rownd yr iard cyn mynd adref. Daeth Tammy Pritchard,rhiant ac athrawes ddawns atom i gynnal dosbarth ‘Dawns yr Ysbrydion’.Dyma ddawns egniol oedd yn ddawns i’r Indiaid brodorol cyntaf. 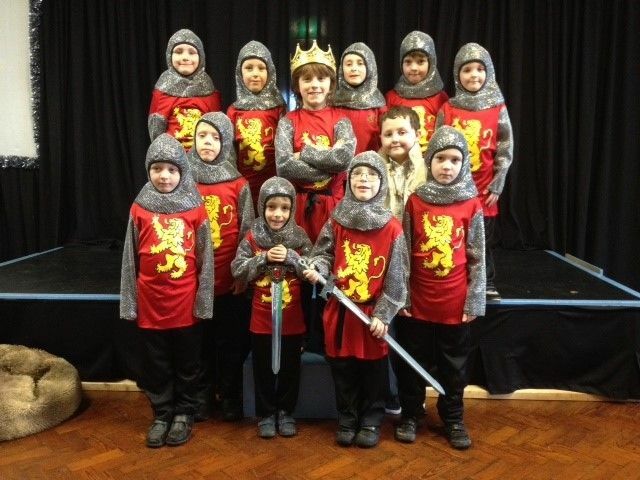 Llongyfarchwn yr ysgol ar ennill y wobr CAM 2 gydag Ysgolion Iach.Ymlaen am CAM 1! Diolchwn i Mrs Parry nyrs ddeintyddol brysur ddaeth yma i roi sgwrs i ni am bwysigrwydd cadw dannedd yn iach.Diolch am eich sgwrs a’ch cynghorion. 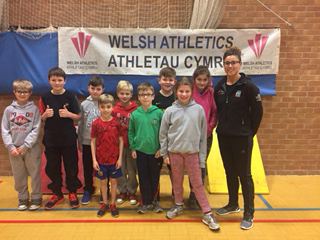 Cafodd Bl 3,4 a 5 fwynhad mawr o gael cwmni cyn-ddisgybl i’r ysgol ar fore Gwener braf.Elain Lloyd ddaeth atom gyda’i beic.Mae Elain yn athletwraig ac yn ymarfer yn gyson tuag at rasys beiciau.Roedd gwrando arni yn siarad am sut mae’n mynd ati i gadw ei chorff yn iach ac yn abl i ymgymeryd a’i rasys yn hynod ddiddorol.Daeth ag offer amrywiol gyda hi yn cynnwys ei ‘thrainers’ beic arbennig,helmed gostus,diod powdwr a llyfr cywaith am ei diddordeb.Ffwrdd a hi ar ei beic wedi ffarwelio yn ol am Ben y bryn.Diolch o galon Elain a byddwn yn edrych allan amdanat yn y Gemau Olympaidd nesaf yn Rio! Penderfynodd y Cyngor Ysgol noddi Elain a’i thad i feicio 62 milltir y dydd Sul canlynol gan gychwyn ym Mlaenau Ffestiniog.Roedd Elain yn casglu arian tuag at Dy Gobaith. Yn dilyn ein Thema cymerodd yr rhan fwyaf o’r plant y cyfle i fynd i weld y fflam ym Mhwllheli(rhai ar fys Dybyl Decar o Bentreuchaf)!Gwahoddwyd Elfed Morgan gwr lleol o Efailnewydd i’r dosbarth y diwrnod canlynol i son am ei brofiad a thynnu lluniau gyda’r plant.Diolch i ti am dy amser Elfed. 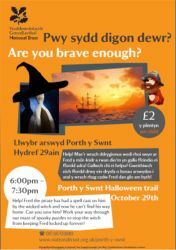 Gwyl Hirddydd Haf – Mehefin 29- Noson o hwyl i ddathlu’r Haf yn yr ysgol i gychwyn am 5.30y.h .Bydd gennym stondinau,castell neidio,barbeciw a llu o gystadlaethau wedi eu paratoi ! !Dewch yn llu!! 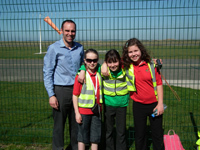 Carwn fel staff a phlant yr ysgol ddiolch i‘r gefnogaeth frwd a gafwyd yn ein cyfarfod diweddaraf o gyfeillion yr ysgol. 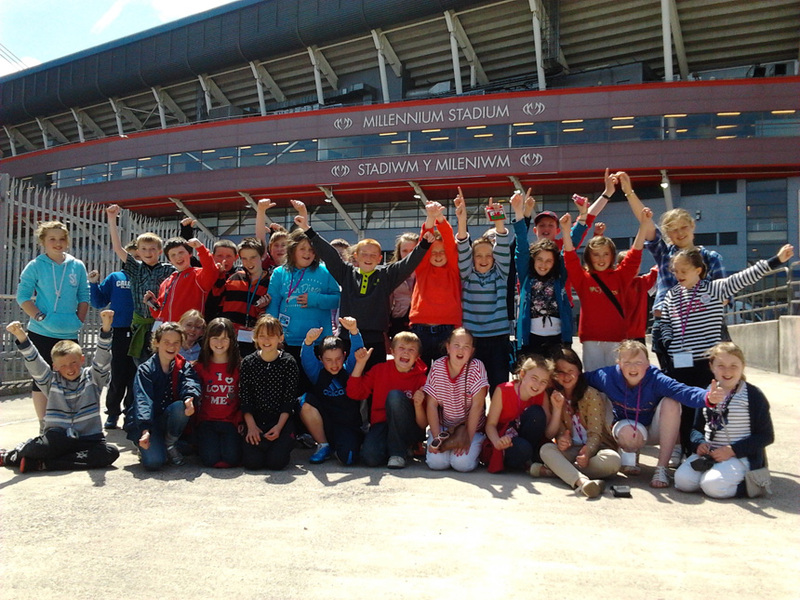 Dyma ni ar ol derbyn taith o'r Stadiwm bore ma! Ar ein ffordd adra wan, gobeithio cyrraedd erbyn 6 o'r gloch! Hwyl am y tro! Bore da o Gaerdydd! Dyma ni yn y bae yn mwynhau heulwen y bore cyn mynd i gyfarfod yr Arglwydd Dafydd Elis Thomas yn y Senedd. 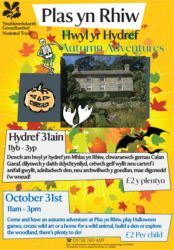 Pawb wedi cael noson dda o gwsg ac yn edrych ymlaen am ddiwrnod llawn o weithgareddau difyr! Hwyl am y tro! Neges Heddwch ac Ewyllys Da yn y Senedd yng nghwmni Dafydd Elis Thomas, Alun Ffred Jones, Leighton Andrews a chriw yr Urdd Eryri. Dyma ni'n mwynhau'r heulwen ym Mhwllmawr! Pawb yn mwynhau ac yn blant arbennig o dda. Llongyfarchiadau mawr i Anti Sioned,Iolo ag Angharad a chroeso mawr i Meinir Rhys! Croeso mawr i Ms Llio Jones i blith y dosbarth meithrin a derbyn.Bydd Llio sydd yn fyfyrwraig T.A.R yma gyda ni tan Mehefin. 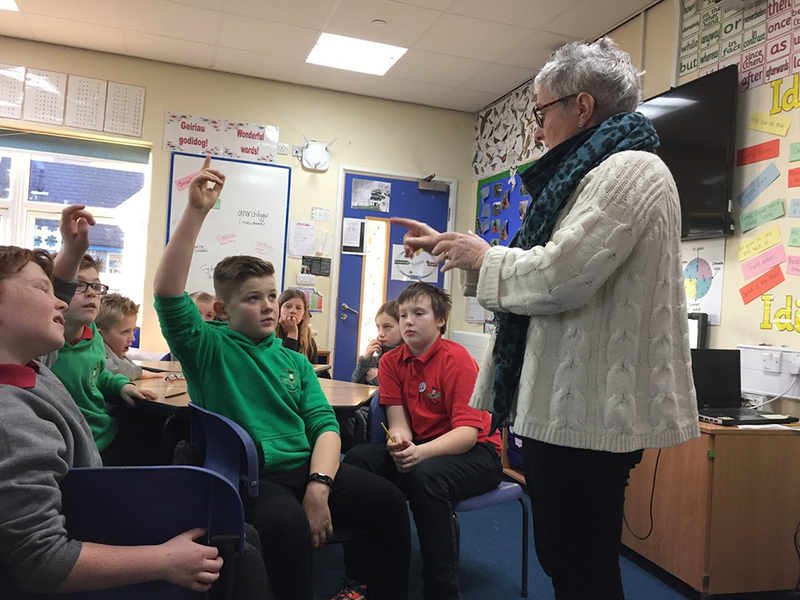 Ioga yw’r weithgaredd ddiweddaraf yn Neuadd yr Ysgol ar fore Gwener am chwe wythnos.Arweinir Sesiynau Stori Symud a Chan gan Mrs Gwenda Williams ac mae’r dosbarth meithrin yn werth eu gweld yn gorwedd a symud ar eu matiau porffor pwrpasol! Braf oedd croesawu Nanw Griffith,cyn –ddisgybl yr ysgol yma atom ar brofiad gwaith.Gobeithio dy fod wedi cael budd o’r profiad. Yr adnodd diweddaraf i’r ardal tu allan yw ffram ddringo.Rydym yn ddyledus iawn i nifer o rieni-Peter Read am drefnu i gael y ffram fel bod y plant ieuengaf yn cael ymarfer a datblygu eu sgiliau motor mawr :i Simon Crook am ei chludo i’r ysgol ,Haydn Jones am ei golchi,Dewi Hughes am ei weldio ac Emyr Jones am ei gosod ynghyd ag eraill a fu’n defnyddio bon braich!Diolch I Jewson am eu cyfraniad hwythau.Mae’r staff a’r plant yn gwerthfawrogi’r ymdrech yn fawr a’r plantos yn dyheu am ei defnyddio! Ein Thema y tymor hen ydyw “Gelert” a byddwn yn ymweld a’r bedd yn y pentref.Byddwn yn astudio cynnlun yr Eglwys ac astudio’r creiriau diddorol o’i mewn. Carwn ddiolch i Mr Sulyn Roberts a fuodd gyda Bl 1 a 2 cyn y Pasg yn sgwrsio am wahanol fapiau arhoi cyfle ymarferol i’r plant greu map o’r ysgol drwy ddefnyddio technoleg arbennig. Mae criw gweithgar y Play People hefyd yn brysur yn cynllunio sut i wella amseroedd chwarae ar yr iard a’r cae.Maent eisioes wedi rhoi cyflwyniad i’r ysgol gyfan ar eu bwriadau yn dilyn yr holiaduron.Edrychwch allan ar eu cynllun ar wal yn y Neuadd. Croeso mawr i Mr Iwan Lloyd atom.Mae yntau yn fyfyriwr T.A.R ac yn ein plith tan Fehefin.Ein Thema ni ydyw’r Gemau Olympaidd. Cawsom ddiwrnod gwych eto yn Nant Gwrtheyrn yn yr C-Ffactor yn cael cymeryd rhan mewn gweithgareddau diddorol. Thema yr hanner tymor yma gennym yw Paha Sapa.Byddwn yn astudio’r Indiaid Brodorol gyda Chief Gethin ‘Sitting Bull’ Thomas!! Aeth criw o Fl 6 am ymweliad bore i Ysgol Glan y Mor gan fwynhau eu hunain yn profi ychydig o wersi Uwchradd.Bydd rhai yn dilyn yr un drefn wrth fynd i Fotwnnog yn ystod y mis yma.Cafodd Bl 6 ddiwrnod o weithdy cerdd yn ddiweddar wrth ddilyn Gweithdy Garage Band.Cyfansoddwyd cerddoriaeth ardderchog ganddynt gyda chymorth cyfrifiaduron Applemac a chafodd bawb recordiad o’u cerddoriaeth ar ddisg.Diolch i Richard am ei arweiniad. Daeth Eurig Salisbury-Bardd Plant Cymru i’r dosbarth i weithio gyda’r flwyddyn olaf i greu cerdd fydd yn cael ei chyflwyno ar lwyfan Eisteddfod yr Urdd Eryri.Edrychwn ymlaen i gael ei chlywed. Carai’r Ysgol ddiolch o galon i gwmni C.L.Jones,Mynytho am yr adnoddau gwerthfawr a gafwyd i’r Urdd. Llongyfarchiadau i fand yr Adran,ATOM.Maent yn un o bump band trwy Gymru sydd wedi eu dewis i gystadlu a pherfformio ar y llwyfan perfformio ar faes yr Urdd am 4 o’r gloch ddydd Llun cyntaf yr Eisteddfod.Os ydych yn crwydro’r Maes cofiwch ddod i gefnogi!Llongyfarchiadau i’r Ensemble hefyd. Byddant hwythau yn cystadlu ar y Dydd Llun yn ogystal ag Osian. Bydd gwaith bechgyn Blwyddyn 3 a 4 a ddaeth i’r brig am waith celf drwy Gymru yn cael ei arddangos yn y Babell Gelf a Chrefft.Da iawn hogia! “Gwanwyn meddai gwennol lasddu. Tymor cyrraedd nol i Gymru” -Croeso mawr i Dymor y Gwanwyn a ffwrdd a’r dosbarth Cyfnod Sylfaen i weld arwyddion y tymor at Bont y Pandy gan gasglu a rhyfeddu ar y ffordd. Aeth yr un dosbarth am yr Harbwr ym Mhwllheli gan eu bod wedi bod yn dysgu nifer o ganeuon morio yn ddiweddar.Cafwyd sgwrs gan Mr Gwyndaf Hughes am iechyd a diogelwch ar y mor cyn cael eu harwain ar y pontwns i weld y Bad Achub .Rhyfeddwyd at y cychod drudfawr sydd ym Mhwllheli! Ms Rhian Jones,Rhosfawr cyn –ddisgybl yr ysgol atom i feirniadu mewn diwrnod llawn hwyl.Bu buddugoliaeth yng Nghystadleuaeth y Gadair wrth i Gronw Ifan ei chipio am gerdd ‘ Y Naid’.Llongyfarchiadau mawr Gronw ac i Owain Llewelyn yn ail ac Elin Mair yn drydydd.Diolch o waelod calon i gyn ddisgybl arall sef Eleri Williams,Castell,Pistyll am feirniadu holl gystadlaethau llen,barddoniaeth a ffotograffiaeth yr Eisteddfod.Roedd aelodau’r Orsedd-Yr Hybarch Archdderwydd ei hun yn ei gapan gawod,Eleri o’r Sowth,Menna Gesail,Einir Pant yr Hwch,Heulwen o’r Garn,Beti o’r Rhos,Delyth Porth Penwaig,Wendy o’r Foel,Julie o’r Waun,Llinnos o’r Bryn,Sioned o’r Deg Fan,Sharon ‘Stumdwy ac Alaw o’r Sarn ym ymfalchio yn y ffaith eu body n cael paredio yn eu cobenni! Daeth cwmni MAGNOX at flwyddyn 3,4,5 a 6 I adeiladu pontydd gyda KNEX yn ddiweddar. Mwynhawyd y gweithdy yn fawr a chreuwyd pontydd i fedru dal 1 kg. 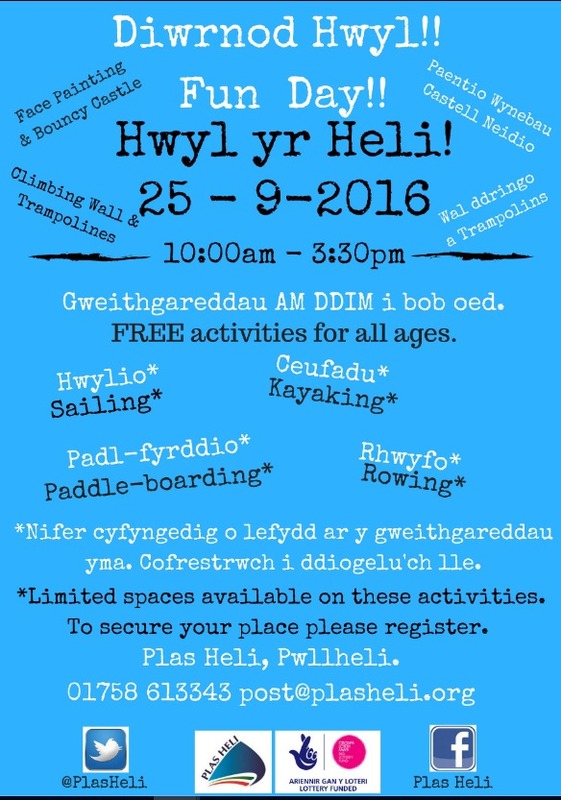 Buodd yr ysgol yn llwyddiannus mewn cystadleuaeth i ennill ymweliad gan Gwmni ‘The Cool Seas Roadshow’ un bore Llun.Gwelwyd modelau rwber o ddolffiniaid,llamhidyddion a morfilod.Rydym fel ysgol yn casglu topiau poteli plastig-20 y plentyn er mwyn eu troi yn git tim chwaraeon . Dewiswyd Rhian a Dylan Bl 5 yn Lysgenhadon yr ifanc.Byddant yn dewis offer chwaraeon newydd .Buodd y ddau yn ddiweddar yn Archfarchnad Asda yn derbyn offer a hadau garddio. Diolch yn fawr i Asda. Er mwyn sicrhau fod plant Ysgol Pentreuchaf yn parhau i dderbyn y profiadau gorau gallwn eu darparu iddynt, gwahoddwyd Capten Robin Aled Davies o gwmni Easy Jet, i gynnal sgwrs â disgyblion Blwyddyn 5/6 ar y 27 o Fawrth 2012. Yn dilyn y sgwrs, cytunodd Capten Davies wedi i hedfan criw o blant y dosbarth mewn awyren fechan o Dinas Dinlle drwy fwlch Llanaelhaearn, yna cylchu’r ysgol cyn dychwelyd ar hyd yr arfordir. Yn anffodus, dim ond 6 o ddisgyblion oedd digon ffodus i dderbyn y profiad (3 trip). Felly, er mwyn tegwch, bu rhaid tynnu enwau’r plant allan o het! Heb amheuaeth, roedd hwn yn brofiad unigryw ac arbennig iawn lle cafodd y plant brofiadau gwerthfawr a chofiadwydros ben. 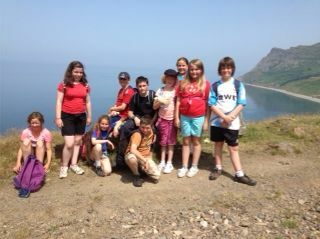 Cafodd Bl 6 ddiwrnod gwych yn Nant Gwrtheyrn yn dilyn gweithgareddau i ddathlu Gwyl Ddewi. Cafodd Bl 3 a 4 hefyd ddiwrnod cyntaf o bedwar yn cael cymeryd rhan mewn gweithgareddau o Gelf gyda Luned Rhys Parri,Rapio gyda Ed Holden,Drama gyda Cefin Roberts a Sioned Webb ,Cerdd gyda Arfon Wyn a Dawns gyda Colin Daimond. 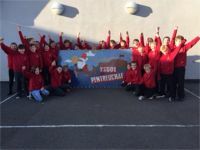 Gwnaeth Adran Urdd Pentreuchaf yn dda iawn yn Eisteddfod Cylch a Sir yr Urdd.Daeth yr ensemble lleisiol a’r ymgom yn ail,y parti cerdd dant yn drydydd,Gronw yn drydydd ar ei alaw werin a cherdd dant,Owen William yn ail am ganu cerdd dant a daeth un dyn bach yn gyntaf .Bydd Osian yn cynrychioli Adran Pentreuchaf yng Nglynllifon drwy ganu unawd ‘Hufen Ia’.Llongyfarchiadau mawr i ti a phob lwc! Llongyfarchiadau hefyd i Dim Peldroed yr adran am ddod yn fuddugol yn y Twrnament 5 bob ochr yng Nghaernarfon.Byddent yn cynrychioli’r Adran yn Aberystwyth fis Mai. Mae deuddeg disgybl wedi ymuno i gymeryd rhan yn Sioe Cynradd yr Urdd yn Eisteddfod Eryri gyda Mr Kenneth Hughes.Rydym yn edrych ymlaen i weld y sioe. To ensure that our pupils continue to receive the best experiences we can provide, we invited Captain Robin Aled Davies of Easy Jet, give a talk with Year 5/6 on the 27 March 2012. 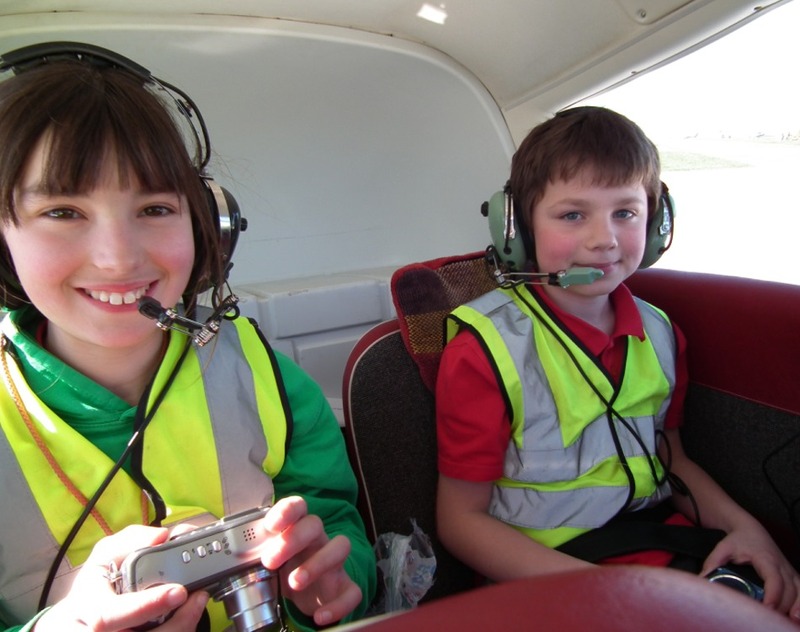 Following the talk, Captain Davies had agreed to fly a group of children from the class in a light aircraft from Dinlle Dinlle airfield, through the Llanaelhaearn gap, then circling the school before returning along the coast! There was no cost involved with this at all! 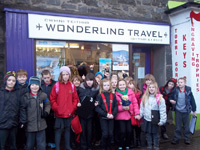 Unfortunately, only 6 of our pupils was fortunate enough to receive the experience (three trips). Therefore, in order to be fair, we will took children's names from a hat. Without a doubt, this was a very special and unique event where the children received extremely valuable and memorable experiences. Dydd Gwener, 9fed o Fawrth, bydd disgybl o Ysgol Pentreuchaf yn cael ei anrhydeddu â'r Gadair hon am arddangos doniau o safon uchel mewn llenyddiaeth. Fe'i chrewyd gan Dewi Williams, Llithfaen, yn dilyn trafodaethau creadigol gyda'i wyr, Rhys o Flwyddyn 6. 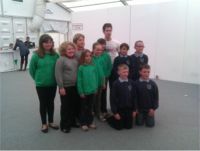 Diolch yn fawr iawn i Mr Williams a Rhys am roi eu amser i greu campwaith i Eisteddfod Gadeiriol Ysgol Pentreuchaf 2012. 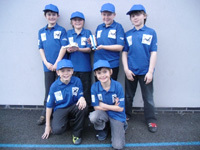 Pel Droed -Cymerodd Bl 3,4 5 a 6 ran mewn Twrnament Peldroed Hafod Lon yn ddiweddar.Daeth Owain Llewelyn a thlws Chwaraewr y Twrnament yn ol i’r ysgol.Llongyfarchiadau mawr Owain ac i’r ddau dim a chwaraeodd gem 5 bob ochr ar gae Ysgol Cymerau. 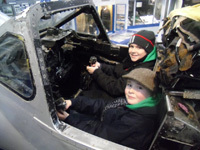 Llongyfarchiadau -Da iawn Stepen Bl 4 ,Osian a Lewis Bl 3.Dyma’r tri gafodd eu gwobrwyo am eu posteri I wledydd y byd i Siop Deithio Wonderling ym Mhwllheli.Da chi rieni ewch i weld yr holl bosteri yn ffenest y siop.Maent yn werth eu gweld.Diolch i Jill a Renee am eu gwobrau hael. Crempog - Gobeithio y daeth Modryb Elin Ennog at lawer o blant yr ysgol .Dyma drafodaeth yn nosbarth Mrs Morgan pan alwodd Myrddin draw i glywed sgwrs y plantos am grempog.Os am ddarllen yr hyn a drafodwyd mae yn rhifyn y mis yma o’r cylchgrawn Llafar Gwlad. SEREN SIW -Daeth Seren Siw i ddosbarthiadau y Cyfnod Sylfaen ar Fawrth y Cyntaf i feriniadu’r wisg orau fel cymeriad o Gwm Rhyd y Rhosyn .Dyma’i llun hefo’r enillwyr.Diolch i bawb am eu hymdrech. Glan Llyn -Dyma ble roedd Bl 3 a 4 ar ddiwrnod crempog.Cafwyd amser gwerth chweil er gwaethaf y tywydd gwlyb.Cawsom brofiadau bendigedig yn canwio,dringo,rhwyfo a bowlio deg heb son am y sgwrsio a’r bwyta da das!Chlywais i rioed y dosbarth mor ddistaw a phan oeddem ar Lyn Tegid a’r gwynt yn chwythu’r glaw ar ein bochau a’n gwalltiau a phawb mewn siacedau achub a dillad atal glaw coch a melyn- fel pysgod aur gwlyb socian.Profiad gwahanol i bawb fydd yn aros yn y cof am byth! Dawns i bawb - Bydd ymweliad olaf Despina o Gwmni Dawns i Bawb atom ar Fawrth yr 2 il pan fydd ein dawnswyr ym Ml 3 a 4 yn perfformio eu dawnsfeydd Groegaidd i’r ysgol.Edrychwn ymlaen! Urdd- Mae plant yr Adran wedi bod yn hynod brysur yn ystod yr wythnosau diwethaf yn paratoi at yr Eisteddfod.Dymunwn bob lwc i bawb yn unigol ,mewn grwpiau a phartion ddydd Sadwrn yn yr Eisteddfod Gylch a phob lwc hefyd i fand roc newydd sydd wedi ffurfio yma i gystadlu yn yr Urdd o’r enw ATOM.Cewch restr gigs yn fuan! Llongyfarchiadau i’r ysgol.Derbyniwyd dwy wobr yn ddiweddar.Cawsom Wobr Arian Ysgolion Gwyrdd a Gwobr Lefel Efydd Ysgol Awyr Agored. 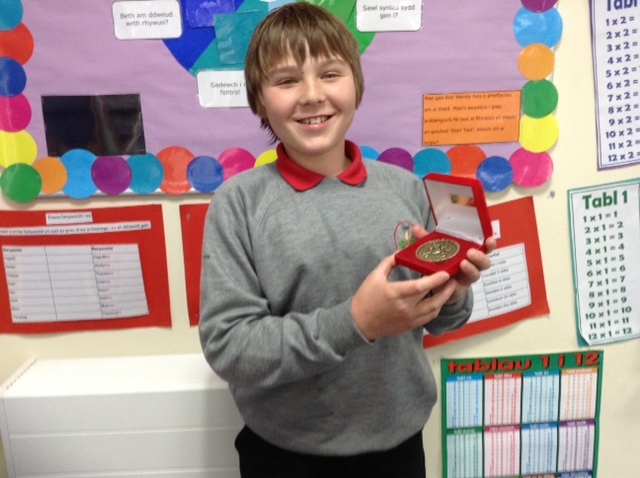 Mae dosbarthiadau’r Cyfnod Sylfaen yn teithio trwy Gwm Rhyd y Rhosyn y tymor yma gan ddysgu’r caneuon difyr a hwyliog.Bydd un o’r Cwm hyfryd yma-Edward Morus Jones yn ymuno a phawb yn yr ysgol y mis nesaf i gyd-ganu. Mae gan y dosbarth gegin bach hen ffasiwn erbyn hyn ac mae’r plant wedi profi ychydig o uwd ac wedi gwneud paned o de dail.Mae ei hangen ar ddiwrnodau mor oer!! Daeth P.C John i’r Cyfnod Sylfaen gan roi arweiniad ar bobol sydd yn ein helpu yn ein cymdeithas. Llongyfarchiadau i Ser y Syrcas.Plant sydd wedi mynychu’r Llyfrgell o leiaf 4 gwaith dros wyliau’r Haf i ddiwedd Medi ydi’r ser bach yma.Da iawn Lewis a Jac,Sianed a Dylan,Cynwal,Huw Jones a Guto Llyfnwy. Gan mai ar wledydd y byd mae Bl 3 a 4 yn canolbwyntio y tymor yma ,caiff y plant wersi dawns gan Gwmni Dawns i Bawb i greu dawns greadigol gan gasglu syniadau o wlad Groeg.Maent yn mwynhau’r sesiynau gyda Despina sydd yn dod yn wreiddiol o wlad Groeg.Byddent yn perfformio’r ddawns i’r ysgol ar ol hanner tymor. .Gofynwyd llu o gwestiynau iddynt am wyliau pobol Pen Llyn a chafwyd atebion diddorol iawn.Diolch i’r ddwy am agor eu drws i ni a rhannu ffeithiau,beiros a siocledi!Mae’r ddwy wedi gosod her i ni fel dosbarth i greu posteri ar gyfer gwledydd gwahanol.Bydd y tri enillydd yn cael gweld eu posteri yn ffenest y siop.Cofiwch edrych!Wedi treulio ychydig amser yn y Llyfrgell ac annog darllenwyr i ymaelodi agorodd Llio ei drws i ni yn Caffi Tonnau a chawsom fwyta ein pecynnau bwyd mewn cynhesrwydd.Diolch yn fawr,Llio.I orffen aeth y dosbarth i Spar Pwllheli i nodi o ba wledydd mae ein ffrwythau a llysiau yn dod.Yna aeth Nain Bruce a ni o amgylch y siop i ddangos i ni faint yn union o gynnyrch lleol sydd ar gael yn y siop.Chwiliodd pawb am faner fach Gymraeg a sylweddoli fod stor dda iawn o gynnyrch lleol a Chymreig yma. Croesawyd John Dilwyn Williams i’r dosbarth i edrych ar ffyrdd o deithio yn yr ardal erstalwm.Mae bob amser yn werth clywed Dilwyn yn rhannu ei wybodaeth a chawsom ddysgu llawer am drafnidiaeth leol.Mae’r dosbarth am apelio ar ardalwyr Pentreuchaf/ardaloedd cyfagos am hen luniau o unrhyw fath o deithio-boed yn gerdded/ceffyl/hen fys neu gar.Bwriadwn gynnal arddangosfa i’r ardalwyr yn fuan.Diolch am eich cefnogaeth. Mae’r dosbarth yn cyfri’r dyddiau tan eu gwibdaith a chael aros dros nos yng Ngwersyll Glan Llyn ar ol yr hanner tymor yng nghwmni ffrindiau newydd o Ysgol Edern.Cewch yr hanes yn y rhifyn nesaf! Ar dydd Iau 26ain o Ionawr fe gawsom ni, blwyddyn 5 a 6 fynd ar ymweliad ag Amgueddfa a Maes Awyr Caernarfon, Dinas Dinlle. Roedd llawer ohonon ni wedi dod a barcutiaid gyda ni hefyd—a fe gawson ni gyfle i’w hedfan nhw cyn dychwelwyd yn ôl i’r ysgol. Roedd yr Amgueddfa Awyr yn ddiddorol iawn—ac yn orlawn o hen hofrenyddion a modelau o awyrenau. Roedd angen trwy’r dydd dydd i weld popeth! Roedd gweld a chyfarfod gweithwyr yr Ambiwlans Awyr yn brofiad gwerthfawr hefyd. Tra’r oedd y criw cyntaf wrthi yn holi un o weithwyr yr Ambiwlans Awyr, fe ddaeth na alwad ffôn frys, ac roedd rhaid i’r criw fynd i ateb yr alwad! 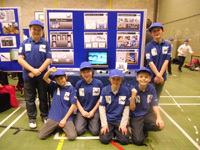 Rydan ni’n chwech - Owain, James, Tom, Rhys, Ceiri a Gronw, wedi bod yn hogia’ prysur iawn dros yr wythnosau a’r misoedd diwethaf yma, wrth i ni gymryd rhan yng nghystadleuaeth Formula 1 in Schools. Dyma’r tro cyntaf i Ysgol Pentreuchaf gymryd rhan yn y gystadleuaeth ryngwladol yma, ac roedd y profiadau a gawson ni fel tîm ‘Y Wennol’ yn fythgofiadwy! Roedd yna bedair rhan i’r gystadleuaeth. Yn gyntaf roedd rhaid cynllunio a chreu model o gar i’w rasio gan ddefnyddio pren balsa. Yn ail, roedd rhaid i ni lunio portffolio er mwyn dangos y broses o greu’r car - o’r gwaith cynllunio ar y dechrau, i baentio ac addurno ar y diwedd. Cynhaliwyd y rownd ranbarthol ar Ionawr 30ain ym Mhrifysgol Bangor, ac yno roedd yn rhaid i ni baratoi cyflwyniad i’r beirniad yn ogystal â gosod stondin i hyrwyddo tîm ‘Y Wennol’. Mae gan bawb ei gryfderau, a’r hyn sy’n grêt am gystadleuaeth yma ydi fod pawb yn cael y cyfle i ddefnyddio a dangos eu cryfderau drwy weithio fel rhan o dîm. Y peth cyntaf a wnaethon ni fel oedd cael rhyw fath o ‘storm syniadau’. Roedd hyn yn syniad da iawn gan ein bod yn gallu cael trefn go-lew ar ein syniadau ni’n weddol gynnar. Roedd yna ambell beth yn gwbl afrealistig - go brin y basen ni wedi cael amser i ‘bicio’ i Silverstone a ninnau hefo gwaith cynllunio car o’n blaenau! Mi aethon ni ymlaen wedyn i ddechrau cynllunio’r car drwy ddefnyddio rhaglen Solid Works ar y cyfrifiadur. Mi gynllunion ni gyfanswm o bump o geir cyn dewis y cynllun Owain fel ein fersiwn terfynol. Roedd yna lawer o briodweddau yn perthyn i’r car arbennig yma gan ei fod yn ysgafn, yn aerodynamig ac yn cyd-fynd â rheolau caeth y gystadleuaeth. Ond diwedd y gân ydi’r geiniog wrth gwrs, ac er mwyn i ni gael y defnyddiau pwysig fel paent, papur llyfnu a phapur argraffu, roedd yn rhaid i ni ddod o hyd i noddwyr. Felly’r cam pwysig nesaf oedd llythyru busnesau lleol a chenedlaethol, gan ofyn iddyn nhw am unrhyw gymorth neu nawdd. Fe fuasem ni’n chwech yn hoffi diolch o galon i - Gwynedd Disposables, Bron y Fedw Hydro a Lakedigital am bob nawdd a chymorth ar hyd y daith. Roedd mynd i Brifysgol Bangor i weithgynhyrchu’r car yn brofiad gwych hefyd. Roedd cael gweld y car yn cael ei dorri gan y peiriant CNC yn brofiad anhygoel, a braf oedd cael gafael yn ein car yn y diwedd, a gweld ffrwyth ein llafur caled ni dros yr wythnosau a’r misoedd diwethaf. Ond, heb os nac oni bai, un o brofiadau gorau’r gystadleuaeth oedd diwrnod y rownd ranbarthol ym Mhrifysgol Bangor. Roeddan ni gyd wedi trefnu bod yno’n gynnar er mwyn sicrhau ein bod yn cael safle da i osod ein stondin, a pheth braf oedd clywed y bobl a ddaeth i’n gweld yn brolio ein holl waith caled. Fe deithiodd ein car yn hynod chwim ar y trac rasio, ac fe aeth ein cyflwyniad ni i’r panel o dri beirniad yn wych! Yn anffodus, ni ddaethom yn fuddugol yng nghystadleuaeth Formula 1 in Schools eleni; ond, mae profiadau'r wythnosau a’r misoedd diwethaf yma wedi bod yn amhrisiadwy, a bellach mae yna fwy nac un ohonom ni wedi rhoi’i fryd ar weithio gyda cheir. Gwyliwch allan ddarllenwyr Llanw Llŷn, efallai mai un o aelodau brwdfrydig tîm ‘Y Wennol’ fydd Sebastian Vettel neu Lewis Hamilton y dyfodol! This is just short note to remind you that Tuesday 3rd of January 2012 Is an 'In Service Teacher's Training day'. Therefore, this week, you will only need dinner / milk money for 3 days. Erbyn hyn mae gennym faes parcio i’r ysgol gyda digon o fannau parcio i’r rhieni nol a danfon eu plant yn rhwydd a diogel i’r ysgol. Mae’r Cynllun Nofio o Flwyddyn Derbyn i fyny yn mynd o nerth i nerth a’r plantos lleiaf yn elwa’n fawr o’r profiad.Bydd gennym bysgod bach chwim yn fuan iawn!! Ddechrau mis Hydref cafodd Bl 5 a 6 ymweliad gan P.C Rowlands i drafod effeithiau ysmygu a chyffuriau.Cafodd y plant fudd o’r sgwrs. HEI HO HEI DI HO-FI YW SIPSI FACH Y FRO!Dathlu diwrnod T.Llew Jones-Roedd yma sipsiwn,mor adron, tylluanod a lladron pen ffordd yn llenwi’r ysgol-yn staff a phlant i ddathlu diwrnod T.Llew Jones.Mwynhaodd pawb drafod ei waith yn eu gwisgoedd lliwgar. Bu Antur Waunfawr yn casglu dillad ac ati’n ddiweddar gennym.Diolch i bawb am dyrchu drwy’r cypyrddau! Cawsom wasanaeth Diolchgarwch fore Gwener cyn hanner tymor .Paratodd pob dosbarth eu diolchiadau. Roedd criw y Cyfnod Sylfaen yn diolch am yr Hydref tra roedd Bl 3 a 4 yn diolch am ein bwyd a Bl 5 a 6 yn diolch am ein cyrff.Paratowyd arddangosfa hyfryd yn y Gwasanaeth o addurniadau toes gan y plantos bach a llysiau a ffrwythau gan weddill yr ysgol.Rhannwyd y ffrwythau a’r llysiau gyda Chartref Henoed Plas Hafan,Nefyn . 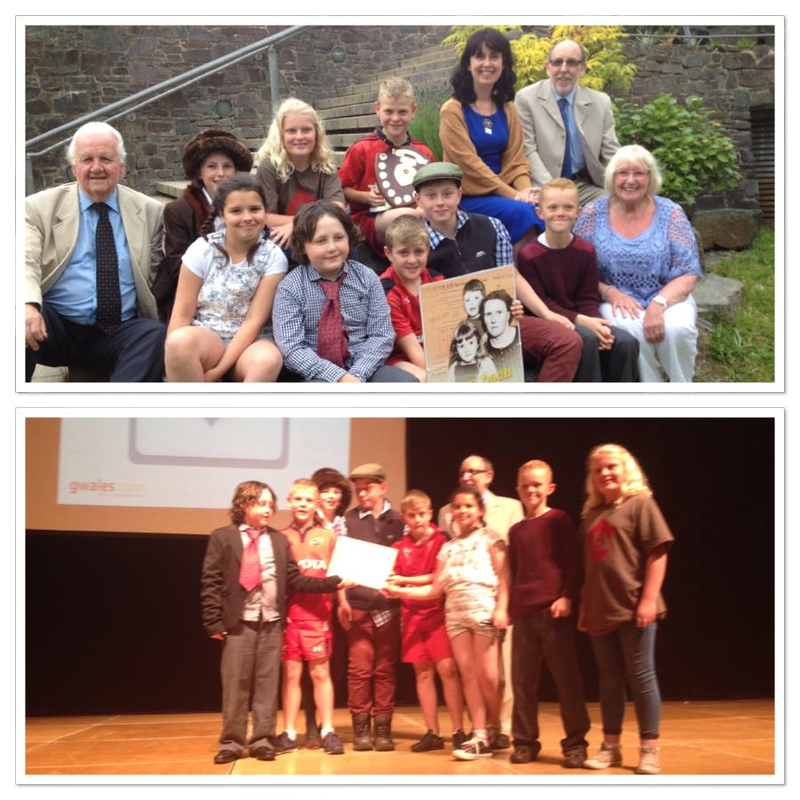 Cafwyd Gem Beldroed gyfartal rhwng yr Ysgol ac Ysgol Cymerau. 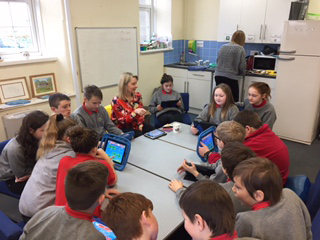 Carai dosbarth Bl 3 a 4 a Bl 1 a 2 ddiolch o galon i rieni am eu cefnogi mewn dwy fenter yn ddiweddar.Gan fod angen clustogau newydd i’w dosbarth penderfynodd dosbarth Mrs Humphreys gasglu arian trwy agor siop tost bob amser chwarae am bythefnos.Diolch yn fawr iawn i Nain Meleri am y jam cartref blasus ac i Nain a Taid Greta am y mel hyfryd.Daeth Cynwal a photyn mel o’r Swisdir i’w brofi hefyd.Erbyn hyn mae gennym glustogau lliwgar diolch i ddwylo medrus Anti Heulwen!Agorodd dosbarth Mrs Jones siop ‘Dinca Fale’ yn eu dosbarth hwythau i gasglu arian at offer newydd i’w dosbarth .Bwytawyd cacennau afalau blasus.Diolch i bawb. Croesawn Matt Duggan i’r ysgol atom sydd yn rhoi sesiynau chwarae rygbi i ddosbarth Mr Thomas a Mrs Humphreys.Daw Matt o Seland Newydd ac mae wedi dod draw atom ni’r Cymry am ychydig o dups! 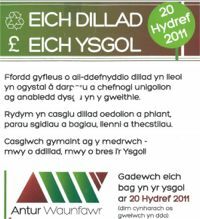 Llongyfarchiadau mawr i’r plant a sicrhaodd Wobr Arian Ysgol Werdd i’r ysgol trwy ymgymeryd a thasgau fel plannu , garddio ac ail-gylchu.Ymlaen am yr aur! 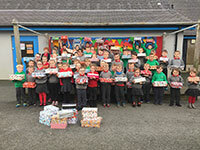 Daeth Mr Wyn Owen atom i wasanaeth ysgol gyfan er mwyn dangos sleidiau a rhannu gwybodaeth am Operation Christmas Child.Gwelsom faint oedd y bocsys yn ei olygu i blantos bach yr Iwcrain gan obeithio bydd gennym lawer o focsys i’w rhannu eto y flwyddyn yma.Cawsom gyfle i ganu can arbennig sydd gennym fel ysgol am yr ymgyrch sef ‘Can y Bocsys Gwyn’. Support Ysgol Pentreuchaf and Antur Waunfawr by recycling old clothes. Croeso mawr iawn i griw o 12 o blantos bach Meithrin ac i’r 13 o blantos mawr Derbyn sydd wedi hen setlo i aros drwy’r dydd hefo ni. 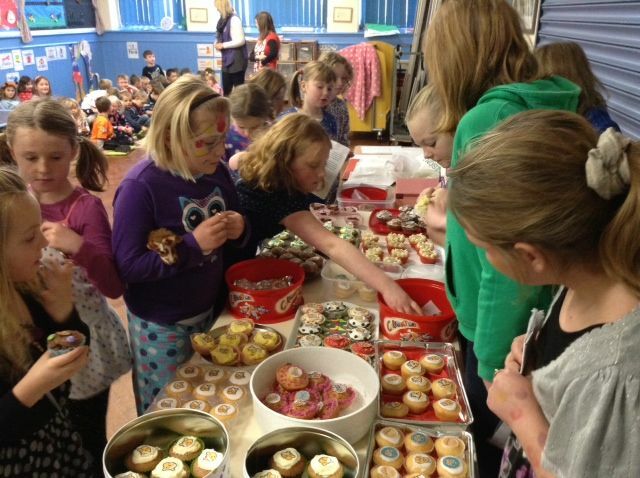 Gobeithio’n fawr fod yr ugain o blant a ffarweliodd a ni yn setlo yn Ysgol Glan y Mor a Botwnnog hefyd. 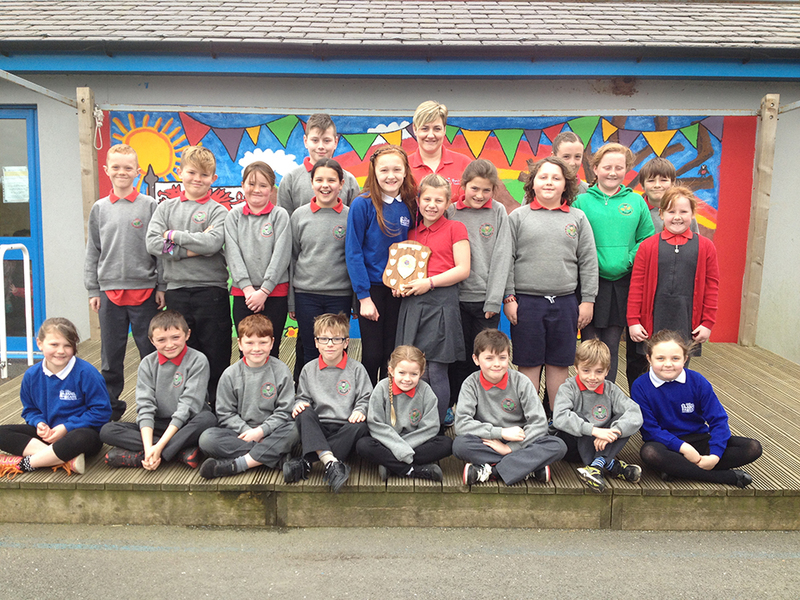 Mae’r dosbarthiadau eraill i gyd yn setlo’n dda iawn yn eu dosbarthiadau newydd ac yn edrych ymlaen am dymor prysur. Mae dosbarth Mrs Morgan a Mrs Jones wedi bod yn brysur iawn yn jamio.Cafwyd ymweliad gan Ffion Cae Cymro i ddangos i’r dosbarthiadau sut i fynd ati i wneud jam.Daeth Gwenda o’r Archifdy i arddangos offer y gegin a sut aethpwyd ati i weithio ynddi erstalwm. Ffwrdd a nhw un prynhawn gyda’u pwcedi bach i gasglu mwyar duon ar hyd lon Glanrhyd.Wir i chi mae hi fel ffatri jam yn yr ystafell athrawon.Mae pob un wedi mwynhau’r broses o wneud a blasu ac mae’r potiau bach yn werth eu gweld gyda chaead wedi ei wnio gan pob un.Da iawn chi!Siwtni fydd ar y fwydlen wythnos nesaf. Cafwyd ymweliad gan grwban arbennig iawn at y criw bach un prynhawn.Daeth Dot a Helga i ddweud helo wrth y plant gyda’i berchennog ,Gwyn a Beca Gwilym. 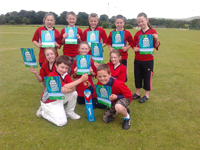 Carwn fel ysgol longyfarch chwe disgybl o Fl 6. 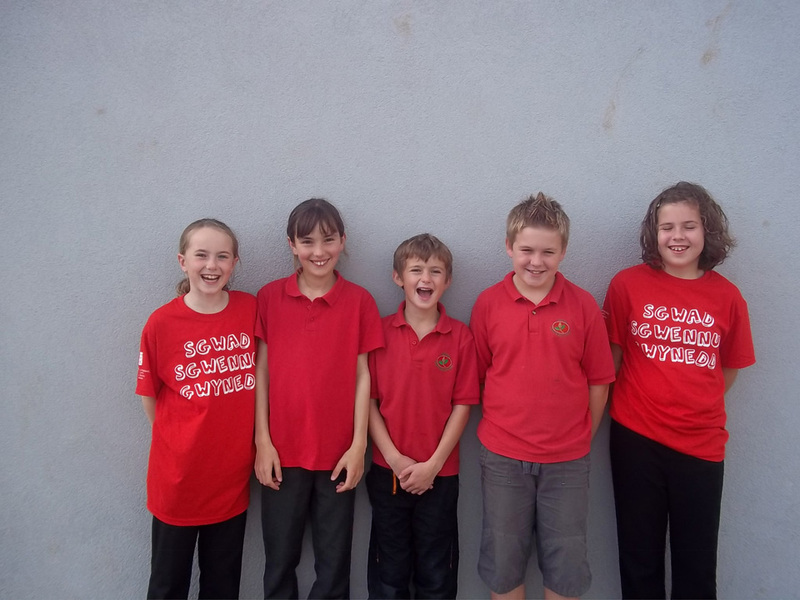 Cyn gwyliau’r haf cawsom wybod fod Elin Roberts,Owain Llewelyn,Llinos Tyne,Ceiri Humphreys a Beca Gwilym wedi eu dewis yn aelodau o Griw Celf 2011/12.Dewiswyd y pump gan William Selwyn a Luned Rhys Parri a byddent yn elwa’n fawr o gael chwe sesiwn gyda gwahanol artistiaid ar hyd y flwyddyn. Yn dilyn gwyliau’r haf cafwyd newyddion da eto o wybod fod Elin Roberts,Beca Gwilym a Huw Mears wedi eu dewis i fod yn aelodau o’r Sgwad Sgwennu ac eisioes wedi cael un gweithdy yn creu barddoniaeth gyda Mei Mac yn Oriel Glyn y Weddw.Llongyfarchiadau mawr i chi ac edrychwn ymlaen i weld eich gwaith ar ol y gweithdai. Byddwn yn tynnu lluniau yn yr ysgol Fore Gwener Hydref 7 fed. Os oes unrhyw frawd neu chwaer fach eisiau dod i dynnu llun mae croeso mawr i chi ddod i’r ysgol am hanner awr wedi wythy bore. Pob lwc i dim peldroed yr ysgol Fore Gwener Medi 30 pan fyddant yn chwarae yn erbyn Ysgol Llangybi. Roedd gwen fawr i'w weld ar eu wynebau bach yn cyrraedd yn ol i'r ysgol. Mae'r bysedd bach gwyrddion wedi bod yn cyd-weithio a Bl 5 yn ddiweddar yn plannu letys yn ein gardd.Bydd y letys bach yn cystadlu yn ein Gwyl Hirddydd Haf yn fuan.Pob Lwc! Mae criw heini iawn yn y Meithrin a'r traed bach wedi ymarfer tuag at ein Mabolgampau. Mae criw y dosbarthiadau ieuengaf wedi gwirioni ar eu twb tywod anferth allan ar iard y Cyfnod Sylfaen.Carai'r plantos i gyd ddiolch o galon i dad Mared Bl 2 am ei gymorth parod.Erbyn hyn mae caead i'r twb sydd yn gwneud llwyfan penigamp i'n doniau bach! Bydd y criw meithrin yn ymuno a ni am ginio ar y Dydd Llun olaf pan fydd pob dosbarth yn cael blas o fod yn eu dosbarth newydd fis Medi. Yng Nglynllifon y bu'r criw prysur yma yn cerdded y llwybrau,edmygu'r 'ffownten',ymweld a'r amffitheatr .Ar ol pecyn bwyd buont yn ymweld a gardd berlysiau Canolfan Hanes Uwchgwyrfai yn braslunio ac yn cael gwybodaeth am y planhigion sydd yn tyfu yno.Cafwyd toriadau o blanhigion i'n gardd fach ninnau yma'n yr ysgol.Mae Blwyddyn 3 wedi cael hwyl garw wrth dyfu perlysiau eisioes!Diwrnod difyr iawn! 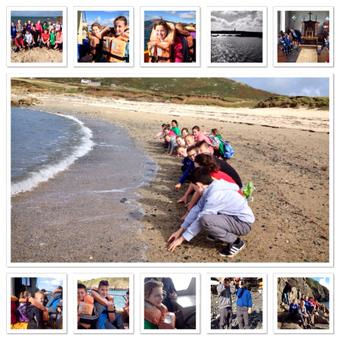 Bydd y dosbarth yn gwibdeithio i draeth Cricieth cyn y gwyliau i archwilio pethau byw gyda Swyddogion Cadwraeth. Archwilio creaduriaid bach yn y goedwig wnaethant ar ymweliad a choedwig leol Ty Du.Gan nad ydyw llawer o blantos yn cael y cyfle'n rheolaidd i ddringo,creu cacenni mwd a mwynhau natur roedd y profiad yn werthfawr iawn.Casglwyd deunyddiau-yn ddail,brigau a blodau i wledd Seithennyn .Mae'r dosbarth wedi body n gweithio'n ddiwyd ar Stori Cantre'r Gwaelod yn y dosbarth.Bydd y criw anturus yn dychwelyd i'r goedwig i adeiladu lloches cyn diwedd y tymor. Carai Bl 3 ddiolch yn fawr i Miss Davies am eu dysgu drwy foreau y flwyddyn ddiwethaf.Bydd colled ar eich hol Miss Davies a dymunwn pob lwc i chi i'r dyfodol. Mae criw Bl 5 wedi gweithio'n galed iawn yn yr ardd ac mae eu cynnyrch yn dechrau dwyn ffrwyth.Mae gennym fefus bendigedig diolch i Huw Mears a Llinos Tyne am arwain y fenter.Mae'r afon,letys,betys,gorbwmpen,shibwns,moron a'r cennin bron yn barod.Siawns na fydd gennym gynnyrch i gystadlu yn ein gwyl Hirddydd Haf.Cafodd amryw ruddygl i fynd adref i'w rhoi yn eu salad. Mae Bl 4 a Bl 2 wedi creu gwesty pryfetach ac mae pryfaid Pentreuchaf wedi ymgartrefu yn eu gwesty moethus yma'n yr ardd. Llond blwch o fefus cochion ffres wedi eu casglu yn syth o'r ardd organig!Dyna oedd gwobr Bl 4 a 5 wedi cyrraedd Fferm Tre Ddafydd .Ar ol sgwrs am wahanol gelfi garddio a sut mae trin planhigion bychain,aethpwyd a ni gan Mr Vincent Mears oddi amgylch y fferm a'r holl gynnyrch blasus oedd yn ei dyfu yno.Roedd pawb wrth eu boddau yn cael llond cae o fefus braf i'w casglu a gwefusau cochion braf yn gwenu!Carwn ddiolch yn fawr i Mr a Mrs Mears am eu croeso cynnes iawn a braf oedd cael cynnal dosbarth ar fels o wair o flaen golygfa mor ogoneddus ar ddiwrnod braf o haf! 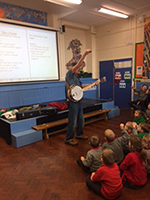 Cafwyd cwmni'r artist Luned Rhys Parri yn y dosbarth un dydd Gwener gwlyb.Ond ni amharodd hynny o gwbwl gan nad oedd neb eisiau mynd allan o'r dosbarth beth bynnag.Lluniwyd modelau bendigedig a gobeithio y byddant yn cael eu harddangos yn yr ysgol yn fuan.Mwynhaodd pob aelod o'r dosbarth! Gyda'r dyddiau'n prinhau i flwyddyn ola'r ysgol byddent yn cael Swper Ffarwel yng Nglasfryn ar ol gem o Fowlio Deg ar yr wythnos olaf.Bydd yn rhyfedd iawn yma fis Medi ond dymunwn y gorau i'r ugain ohonoch a da chi dewch yn ol i'n gweld. Byddwn yn ffarwelio hefyd ac Anti Elin sydd wedi bod hefo ni ers y Pasg.Diolch o waelod calon Anti Elin am eich holl waith yma a diolch yn FAWR iawn gan Kayleigh! 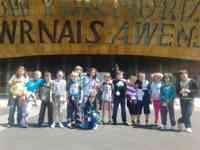 Carwn fel ysgol longyfarch Ardan Urdd Pentreuchaf. Daeth y genod ym Ml 6 yn fuddugol am greu arteffact a'r ensemble lleisiol yn ail yn Eisteddfod Genedlaethol yr Urdd yn Abertawe.Arbennig iawn! 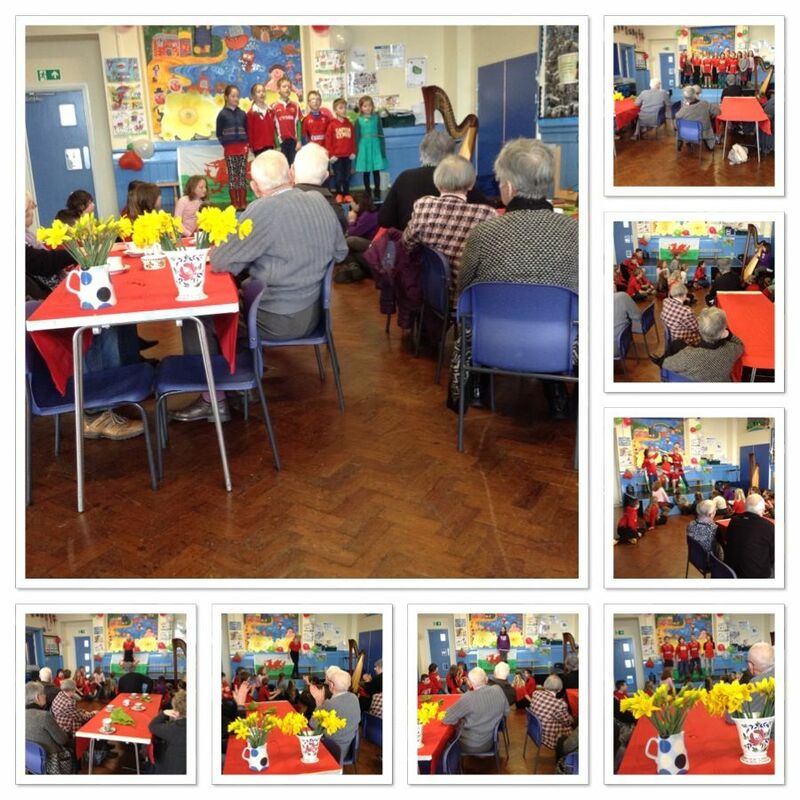 Bydd yr ensemble a'r parti cerdd dant yn perfformio mewn cyngerdd yn Neuadd Rhoshirwaun ar nos Iau,Gorffennaf 14 a bydd cyfle i'r ensemble a chor yr ysgol gael eu recordio ar gyfer y rhaglen Dechrau Canu Dechrau Canmol yng Nghapel Llwyndyrys yn ystod yr wythnos olaf. 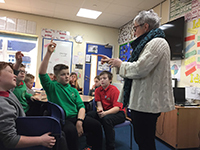 Daeth pawb i'r ysgol yn eu denims un dydd Gwener i gasglu arian tuag at Diabetes.Daeth Enlli Williams o Lanbedrog atom i roi sgwrs am glefyd siwgwr ac i son am ei bwriad o gychwyn clwb i blant sydd yn dioddef yma ym Mhen Llyn. Rhodddwyd siec i Enlli gan blant yr ysgol a dymunwn y gorau i'r Clwb. Diolch I'r rhieni am eu cefnogaeth. 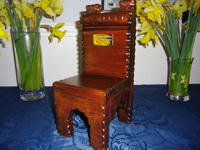 Cofiwch am ein Taith Gerdded yng nghwmni'r hanesydd lleol,John Dilwyn Williams ar y nos Fercher olaf ,Gorffennaf 13 eg.Croeso mawr i bawb!Bydd y daith yn cychwyn am 5.30.Cost fydd £5.00 i oedolion a chaiff y plant ymuno yn rhad ac am ddim.Bydd paned ar gael wedi'r daith a bydd yr elw tuag at Bwyllgor Apel Eisteddfod yr Urdd Eryri dros Bentreuchaf a Llwyndyrys. 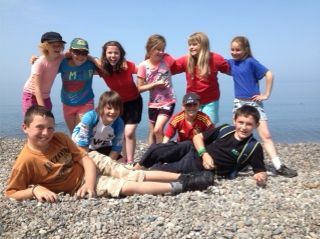 Ysgol Pentreuchaf wish you all a very happy summer holiday! Llongyfarchiadau i'r tim criced yng nghystadleuaeth Criced Ysgolion Gwynedd. 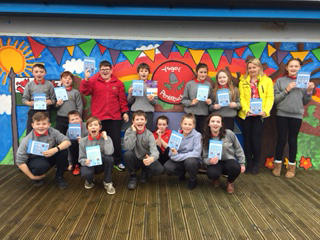 Llwyddodd y tim i drechu Ysgol Nefyn ac Ysgol Crud y Werin i ddod yn ail yn y grwp i Ysgol yr Eifl a aeth ymlaen i ennill y gystadleuaeth drwy drechu Ysgol Cymerau yn y gem derfynol. Because of our failure to hold the school sports day last year we have decided again to hold them next week, 29 June at 1:00pm so that there is plenty of time to reschedule. It is unfortunate that our playing field is still not suitable for our sports day. However, we will do our utmost to ensure that all the children will have the opportunity to compete and take part on the school yard and the 'cae bach' for this year. Suitable hats, sunscreen and plenty of water are essential for this event. A designated seating area will be put for the parents and the children will be sitting with their 'llysoedd' (houses) under supervision. We ask kindly if you could ensure that you collect your child at 3:30pm as usual. Sport days can be cancelled for numerous reasons, from being wet or hot! A risk assessment will be carried out, usually in the morning, and a decision made on the basis of the findings. 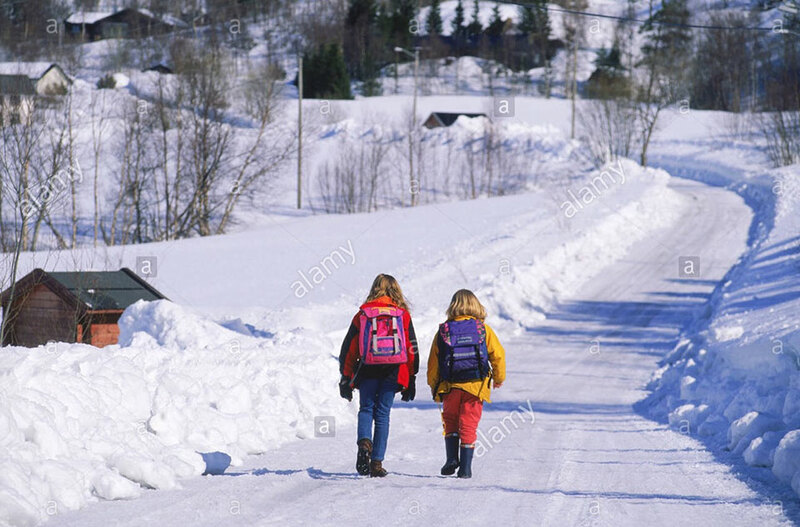 We know that this is not always convenient, especially when you have to arrange time off work, but our decisions are made solely for the safety of our pupils. Due to the unfortunate weather conditions last Friday evening, we have decided to postpone our local history walk. Therefore, it will take place on the 13 July 2011 at 5:30pm. We would be very grateful if you could support the event. Thank you. 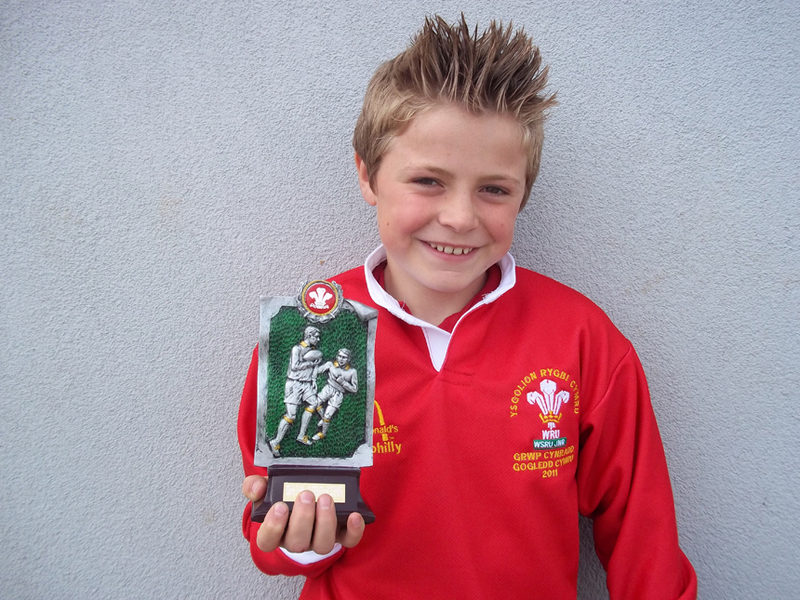 Congratulations on gaining a place in the North Wales Rugby squad! Mehefin 7 fed-Croeso i bawb sydd a diddordeb yn ardal Pentreuchaf ddod i wrando ar sgwrs a lluniau gan yr Hanesydd poblogaidd John Dilwyn Williams yma yn Neuadd yr Ysgol am 7:00y.h. Bydd lluniaeth ar gael ar ddiwedd noson gymunedol braf.Yna’r wythnos sydd yn dilyn bydd cyfle i ymuno a John Dilwyn ar daith o amgylch yr ardal , Nos Wener,Mehefin17 am £5.00. Bydd arian y noson yn mynd tuag at Bwyllgor Apel Pentreuchaf a Llwyndyrys tuag at Eisteddfod Eryri 2012. Diolch o waelod calon i’r Swyddogion –Gwenda fel Cadeirydd,Amanda fel Ysgrifenyddes a Beryl fel Trysorydd a chroeso mawr i Wendy,Eryl a Claire . On Tuesday, June 7th, at 7 o clock, the local historian, John Dilwyn Williams will be at the school, with a slide show of the locality, and talking about the walk that will be held on Friday, June 17th around Pentreuchaf. Click here for more information. Click here to see the Nursery Class busy planting! 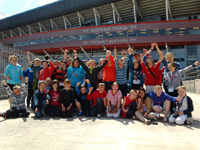 Hurrah from the Millenium Stadium! 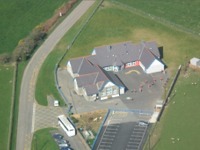 Plant Ysgol Pentreuchaf, Nefyn a Sarn Bach yn cyfarfod yr Arglwydd Dafydd Elis Thomas yn y Senedd bore ma. Swyddogion y Cynulliad wedi "dotio" ar ymateb ac ymddygiad ein disgyblion. Da iawn chi blantos! Cafwyd diwrnod i’w gofio ar ddiwrnod ein heisteddfod flynyddol a chystadlu brwd gan y tri llys-Mela,Carnguwch a Phemprys.Bydd y sgetsys,meimio a’r dweud jocs yn aros yn hir yn y cof lle’r oedd ambell i wyneb cyfarwydd yn eu mysg yn cynnwys Tony ac Aloma,y tri mochyn bach ac Elin Flur yn ei sodlau uchel.Wedi hwyl a sbri yn y bore cadeiriwyd y bardd buddugol yn y prynhawn gan yr archdderwydd ei hun yn ei benwisg godidog, a’r osgordd liwgar-un ac oll gydag enw barddol.Llongyfarchiadau mawr i Owain ap Myrddin am ennill model hardd o gadair gan dad Annest ac Osian.Carwn ddiolch i’n beirniaid –Sioned,Hafwen ac Ana sy’n gyn-ddisgyblion yr ysgol ac i Dewi Wyn am feirniadu’r ffotograffiaeth.Llongyfarchiadau mawr i Mela- y tim buddugol er ei bod yn dyn iawn rhwng y llysoedd.Edrychwn ymlaen i gyhoeddi ein heisteddfod nesaf!! 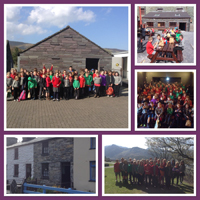 Aeth criw swnllyd ohonom gyda drymiau a bongos i’r marina ym Mhwllheli i Orymdaith yr Urdd .Braf oedd cael cerdded gydag ysgolion eraill yr ardal i’r dref ac i lond Capel Penlan i dreulio amser yn canu caneuon hwyliog y Rimbojam.Pnawn wrth ein boddau! Rhywle draw dros yr Enfys! Dyna lle aeth criw meithrin-Bl2 ddechrau Ebrill i Bantomeim gan Martin Geraint.Cafodd pawb hwyl yn Neuadd y Dref a phawb yn dod yn ol i wledd Tsieiniaidd gan Anti Sharon.Roedd y plant bach Meithrin yn llyfu eu gwefuasau wrth fwyta eu ‘prawn crackers’!! Cafwyd noson dda o Fingo yng Nghlwb Rygbi Bodegroes gyda llawer yn ennill Wy Pasg iddo’i hun.Diolch yn fawr i’r rhieni a gefnogodd y noson. Bu tair ffarwel fawr cyn gwyliau’r Pasg i dair disgybl yn yr ysgol.Cafwyd parti mawr i Megan,Lucy a Katie.Roedd Megan yn symud i fyw i Mynytho a’r ddwy chwaer fach yn symud ychydig yn bellach i Awstralia.Bydd chwith ar eich holau genod ond mi gadwn mewn cysylltiad drwy gyfrwng technoleg.Pob lwc i chi’ch tair! Diolch yn fawr i Angharad(Frochas) a Ceri a dreuliodd wythnos o brofiad gwaith yma hefo ni. Da iawn i bawb a fu’n cystadlu mewn amryw o gystadlaethau dros Wyliau’r Pasg.Yn Sioe Nefyn bu Ffion Enlli yn ennill amrywiol gystadlaethau coginio ac Eleri yn dod yn ail ar ei chacen siocled,Rhys Tyddyn Cestyll hefo’i gi,Iwan Emlyn hefo’i waith coed .Bu amryw yn Eisteddfod y Ffor gan ennill gwobrau am ganu,llefaru ac ysgrifennu.Enillodd Sion Adams y wobr gyntaf mewn cystadleuaeth Golff a dewiswyd Owain yn aelod o Dim Rygbi Gogledd Cymru a Rhys yn aelod o dim ‘League’ Pel Droed Gogledd Cymru.Arbennig iawn! Yn ein hymgais gyntaf fel ysgol i gystadlu daeth tim Bl 5 a 6 yn gydradd drydydd drwy Wynedd .Ardderchog yn wir.Edrych ymlaen i gymeryd rhan y flwyddyn nesaf yn awr. Mae Bl 4 a 5 wedi cychwyn gwersi dawns bob prynhawn Iau.Dawns fydd hon am ofnau a theimladau.Rydym yn edrych ymlaen i bawb gael gweld ffrwyth eich llafur ar ddiwedd y cyfnod pan gaiff pob dosbarth ddod i weld y perfformiad yn y neuadd. Gan ein bod yn bwriadu datblygu’n arddwyr yn yr ysgol –at bwy yn well i fynd am sgwrs na Russell Jones sy’n byw yn yr ardd! Wedi treulio bore braf yng ngerddi ac ar lwybrau Glynllifon ar helfa drysor (ac aros am grwp Anti Elin!! );aethom i fyny i ucheldir Rhosgadfan a chael hyd i Russell.Cawsom gynghorion ganddo ar sut i dyfu llysiau a ffrwythau o bob math.Roedd pawb wedi dotio ar ei batsh(ys! ) a gobeithio y cawn ninnau ychydig o flas y pridd ar ol chwysu yn yr ardd.Diolch o galon i Russell am ei groeso parod ac edrychwn ymlaen i’w wahodd yn ol atom yn fuan. Cafodd Bl 5 gyfle unigryw o fod yn rhan o weithdy ffilmiau gan Eilir Pierce sydd yn wneuthurwr a chynhyrchydd ffilm.Cafwyd gwybodaeth am iaith a hanes ffilm cyn cael y cyfle i recordio ffilm fer am zombies yn y dosbarth Ni wyddem o’r blaen fod deunydd dynes camera yn Sera a chyfarwyddwr manwl yn Sion! Daeth Mr Gwyndaf Jones at flwyddyn 4 a 5 i wneud hufen ia bnawn Llun,Mai 23 ain yn dilyn ein ymweliad a Chae’r Graig yn y Gwanwyn.Bu pawb yn gwrando’n astud ar y camau o wneud y pwdin a chael blasu ar y diwedd.Byddwn yn creu ein hufen ia ein hunain ar ol y gwyliau!! 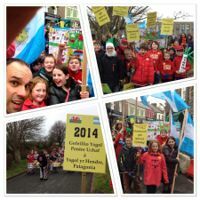 Braf oedd cael cymeryd rhan yng Ngorymdaith Fawr yr Urdd i gyhoeddi’r Eisteddfod yng Nghaernarfon.Ymunodd Adran Pentreuchaf yng nghwmni cannoedd o blant i swn Samba Bangor yn ngwres braf yr haul gan ddiweddu yn y Castell i gyd-ganu. Llongyfarchiadau mawr iawn i grwp genethod Bl 6 am ddod yn fuddugol yn Genedlaethol gyda chystadleuaeth Arteffactau Bl 6 ac iau.Fe fydd yn braf cael gweld eich gwaith yno!Mae Abertawe’n agosau ac felly’r ymarferion yn parhau. Gorffennaf 1af- Noson o hwyl i ddathlu’r Haf yn yr ysgol i gychwyn am 5.30y.h .Bydd gennym stondinau,castell neidio,barbeciw a llu o gystadlaethau wedi eu paratoi ! !Dewch yn llu!! Llongyfarchiadau Mae tymor y babis yn parhau a chroesawn ddwy o genod bach eraill i’r byd! Croeso cynnes i Efa Non, merch fach Anti Llinos ac i Annest, merch fach Anti Julie. Mae Ani Fflur wedi bod draw yn ein gweld . 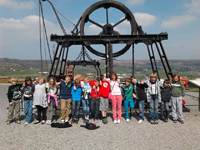 Edrychwn ymlaen i’r ddwy fach yma ddod atom yn fuan. 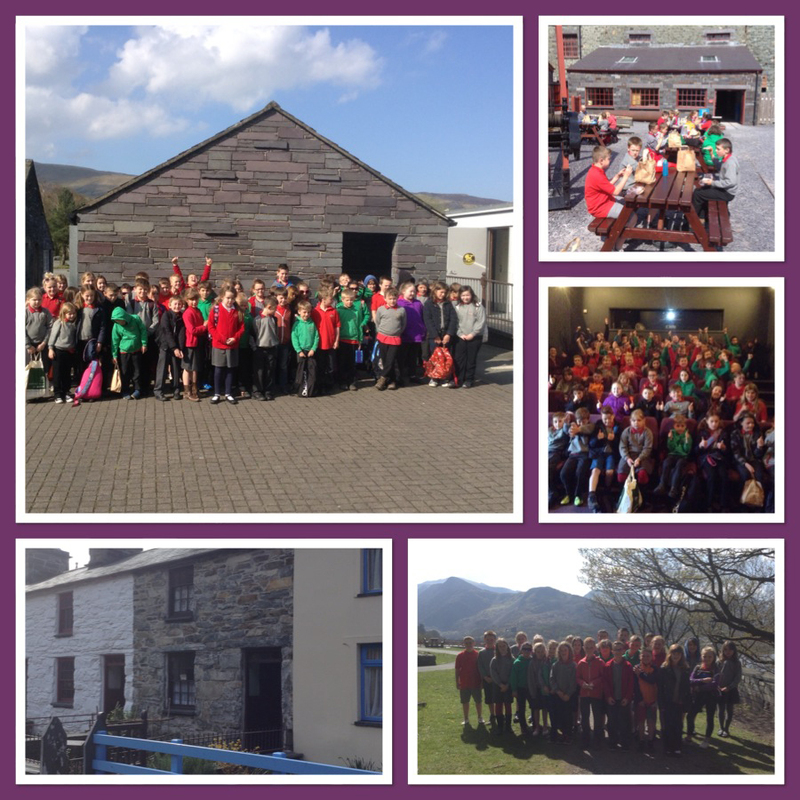 Llongyfarchiadau hefyd i Adran Urdd Pentreuchaf. Erbyn hyn mae Eisteddfod Gylch a Sir wedi pasio gyda’r adran wedi gwneud yn ardderchog. Bydd yn cynrychioli’r sir gyda chystadleuaeth ensemble, parti cerdd dant a pharti unsain yn Abertawe. Bydd grwpiau ac unigolion yn cynrychioli’r adran gyda gwaith Celf a Chrefft yn ogystal. Pob lwc i bawb! Croeso mawr i Anti Elin atom i’r ysgol. Mae eisioes yn brysur yn ein helpu tuag at ein Eisteddfod Ysgol sydd yn cael ei chynnal ddiwrnod Ffwl Ebrill. Carai Blwyddyn 4 a 5 ddiolch o galon i holl rieni’r ysgol am eu cefnogaeth wrth gasglu arian yn ddiweddar tuag at adnoddau i’r dosbarth.O gynnal disgo,coginio crempogau(nes pery i’r larwm tan ganu!!!) 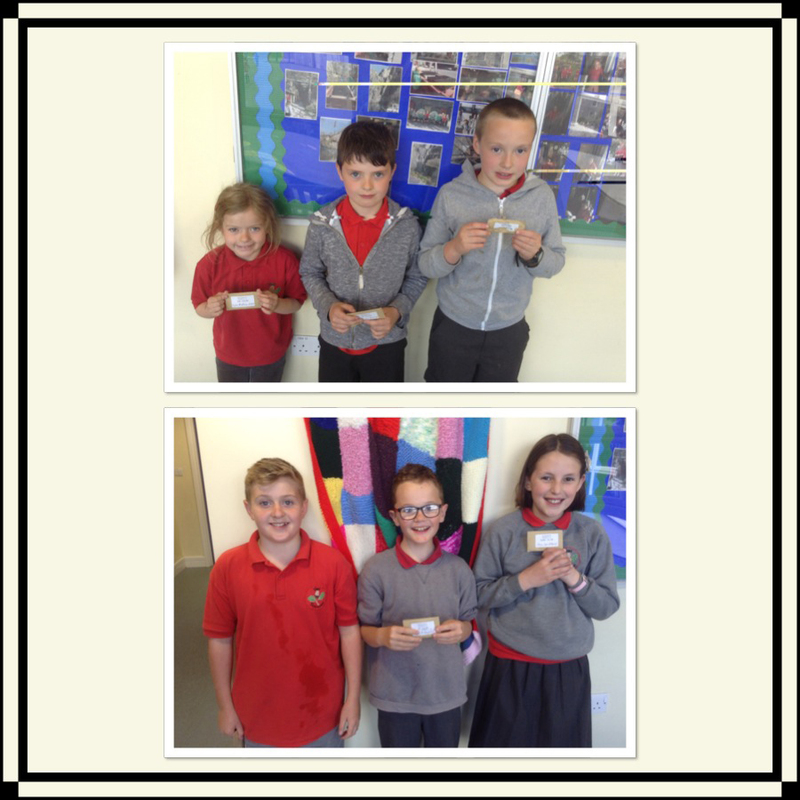 ac enwi’r ddraig llwyddodd y dosbarth i gasglu bron i £200.Diolch yn fawr. 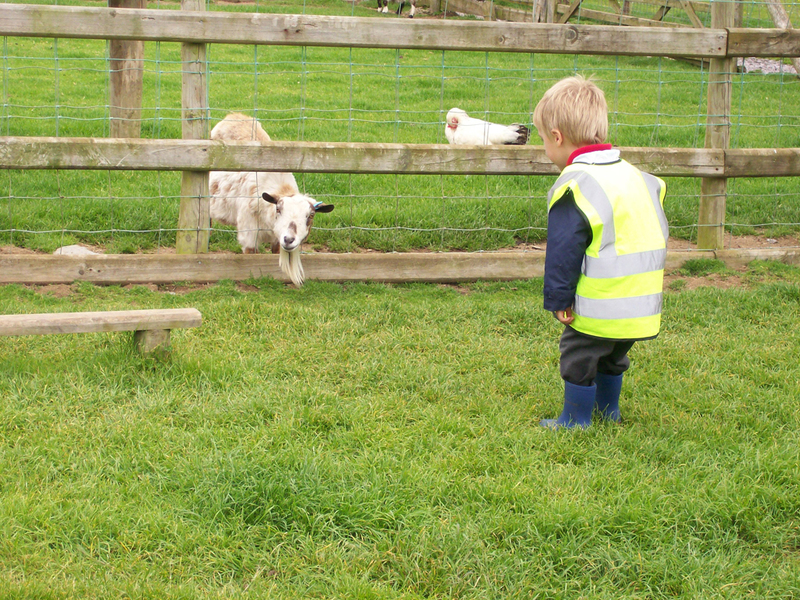 Cawsom ddiwrnod gwych wrth i Adran y Babanod gael cwmni Margiad Roberts a hanesion Tecwyn y tractor enwog. Bu gwrando ar stori,canu a thynnu lluniau drwy’r bore. Cafodd yr Adran Iau gwmni awdures ifanc leol –Casia Wiliam. 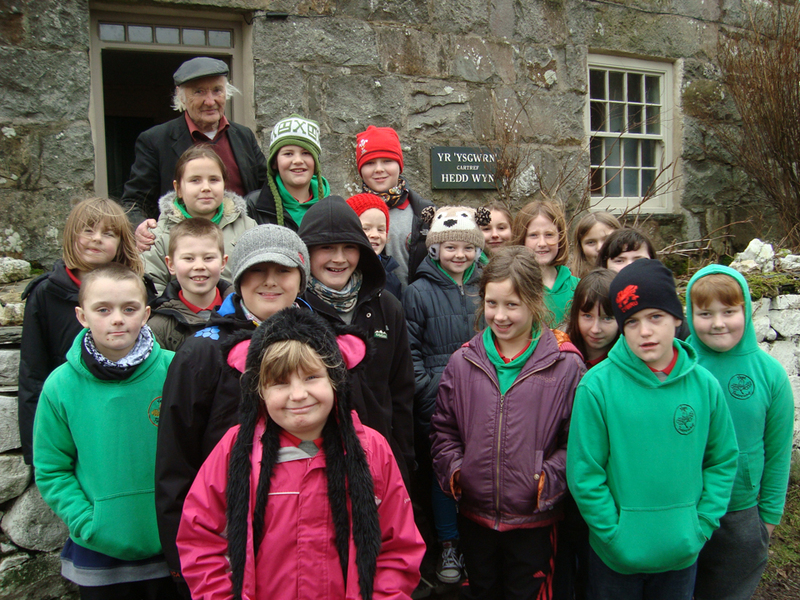 Braf oedd gwrando arni yn datgan sut y denwyd hi at lyfrau a sut aeth ati i addasu llyfr poblogaidd iawn gan Michael Morpurgo-Y Ceffyl Rhyfel sy’n cael ei astudio yn yr ysgol. 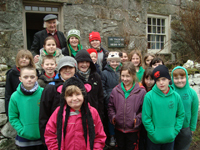 Daeth Myrddin at Flwyddyn 6 i farddoni. Ffwrdd a dosbarth Derbyn a Blwyddyn 1 i lawr i’r orsaf dan i Bwllheli gan eu bod yn casglu ffeithiau am bobol sydd yn ein helpu. Mwynhawyd pnawn difyr iawn yng nghwmni diffoddwyr tan prysur. Cawsom fore o ganu hwyliog gyda Edward Morus Jones a’i gitar.Mwynhaodd y plant a’r staff ymuno gyda Edward i ganu a dawnsio i hen ffefrynnau. Daeth Cwmni’r Fran Wen i berfformio ‘Prydferth Fach’ yn y neuadd. Gwrandodd y plant yn astud ar y gorila a’i drafferthion. Bu dosbarth Bl 4 a 5 draw i Gae Graig ar ddiwrnod braf iawn o Wanwyn i brofi bywyd ar y fferm a dyddiadur prysur y ffermwr adeg wyna.Cawsom groeso cynnes gan Mr Gwyndaf Jones gan dreulio diwrnod llawn gweithgareddau difyr o godi wal gerrig i enwi caeau.Edrychwn ymlaen i Mr Jones ddychwelyd i’r ysgol i wneud hufen ia hefo ni dymor poeth yr haf. Gan fod cymaint o gwestiynau gan y dosbarth am gadw moch gwahoddwyd Ela Roberts o gwmni Oinc Oink atom i’w hateb.Diolch Ela am rannu dy arbenigedd a chael gwybod mwy am y mochyn a’i gynnyrch. Mae tymor y beicio wedi cyrraedd ac mae Bl 6 yn dysgu sgiliau er mwyn ennill tystysgrif seiclo arbennig. Fel mae’r dydd yn ymestyn braf ydi cael mynd allan i’r ardd a dyna’n union mae Bl 6 wedi bod yn ei wneud gyda chymorth Joni sydd yn riant yn yr ysgol. Diolch iddo ac i’r dosbarth -bydd yr ysgol yn cael budd mawr o dyfu blodau, llysiau a ffrwythau .Mae Llinos a Huw(Bl 5) wedi cymeryd cyfrifoldeb dros blannu mefus a bydd plantos meithrin a derbyn yn plannu hadau’n fuan gan obeithio bydd gan pob dosbarth batsh i ofalu amdano a mwynhau allan yn yr ardd. Erbyn hyn mae gan Blwyddyn 4 a 5 garthen wlân liwgar i’w harddangos yn yr ysgol.Roedd y dosbarth wedi cynllunio carthen er mwyn ei harddangos yn nghornel ddarllen ein dosbarth newydd. Carwn fel dosbarth ddiolch o galon i Anti Beryl, Sychnant am roi ei phnawniau Iau ers dau dymor a sicrhau fod pawb o’r plant wedi cael gwau un sgwaryn i’r garthen. Cymerodd y bechgyn ddiddordeb mawr a braf oedd eu gweld yn dysgu sgil newydd! Felly os am bar o sana……. Llongyfarchiadau mawr i Fflur ac Owain ar ddod yn dad a mam i Anni Fflur. Croeso mawr iddi ac edrychwn ymlaen i’w gweld yn dod i’r ysgol i’n gweld!Dymunwn yn dda i Anti Julie ac Anti Llinos sydd hwythau ar eu cyfnod mamolaeth .Croesawn Anti Angharad ac Anti Wendy atom dros y cyfnod. Llongyfarchiadau mawr i Anti Caren sydd newydd ei phenodi yn gymhorthydd Cyfnod Sylfaen yn Ysgol Y Gorlan,Tremadog.Dymunwn pob llwyddiant iddi fel staff a phlant yr ysgol. Yn dilyn ymweliad Bl 2 a 3 i Fferm Plas Newydd daeth Peredur i ymweld a’r dosbarth i arddangos y cynnyrch llaeth ddaw o’r Hufenfa yn Rhyd y Gwystl.Mwynhaodd pawb ddysgu am daith y llefrith o’r parlwr godro i’r ffatri ac am weld y gwahanol gynhyrchion.Diolch yn fawr Peredur. Roedd gwalltiau gwirion iawn i’w gweld os oeddech yn pasio iard yr ysgol ddydd Gwener cyn yr hanner tymor.Syniad bechgyn blwyddyn 4 oedd chwistrellu gwalltiau yn liwiau lu i gasglu arian i’r dosbarth.Syniad genethod Bl 4 oedd cynnal disgo yn y prynhawn a phawb mewn dillad gweddus.Cawsom ddiwrnod wrth ein boddau! Fel rhan o ddathliadau Diwrnod y Llyfr daeth Catherine Aran i ddosbarth Mrs Humphreys.Mae’r dosbarth wedi bod yn astudio un o’i llyfrau-Idris y Cawr.Cawsom y profiad prin ohoni’n darllen ei gwaith ei hun gan gwblhau y stori i ni.Ni chlywyd pin yn disgyn wrth iddi adrodd stori am gawr arall oedd yn byw ar yr Wyddfa .Clywyd chwerthin ag ochneidio wrth iddi ddangos ei dawn o leisio a chymeriadu! Byddwn yn dathlu Dydd Gwyl Ddewi trwy wahodd pensiynwyr yr ardal i fwynhau lobsgows ac ambell i gan gyda’r plant wedi gwisgo ar gyfer y diwrnod. 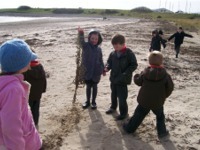 Llogyfarchiadau i dim yr ysgol! Cafwyd buddugoliaeth yn ein gem ddiweddaraf o bel droed yn erbyn Ysgol yr Eifl yn Nhrefor gyda sgor o 4 i 2 gol. Wrth ddilyn thema ‘Pobol sy’n ein helpu’ ymwelodd Bl 2 a 3 a rhai ohonynt yn eu hardal eu hunain.Yn gyntaf cafwyd croeso yn swyddfa a gweithdy Myrddin yn Ysgubor Plas, Llwyndyrys. Aeth Myrddin drwy’r camau a’r broses o sut i fynd ati i roi llyfr wrth ei gilydd.Mwynhaodd y plant yn fawr a diolch i Myrddin a Llio am eu croeso a’u bisgedi! 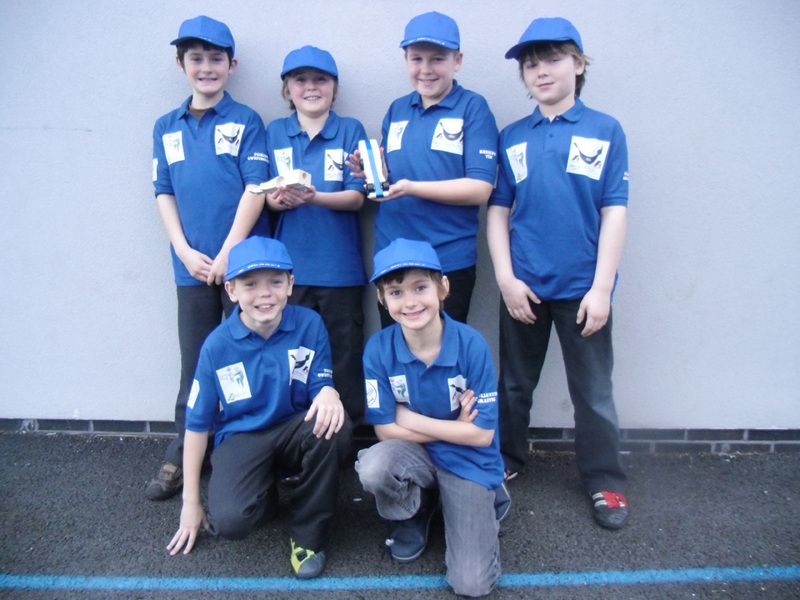 Cafwyd cyflwyniad diddorol o’r ymweliad i ddosbarth Bl 4 a 5 gan Cynwal,Osian,Lewis a Lleu. Yna ymlaen ar hyd y ffordd i Fferm Plas Newydd, Llwyndyrys a derbyn croeso eto gan Dyfed a Llinos. Gwelwyd y gwaith godro sydd yn digwydd yno ac ymweliad y tancar llaeth a hyd yn oed y gwaith o dorri ewinedd gwartheg! Rhoddwyd bwyd i’r lloeau bach cyn ffarwelio. Bore ardderchog ar ein stepen drws! 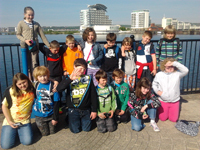 Daeth Angharad o gylchgrawn Cip i ddosbarth Bl 4 a 5 i adrodd tipyn o hanes y cylchgrawn. Diddorol iawn oedd gweld y copi cyntaf o Gymru’r Plant a sut mae copiau o gylchgronau’r Urdd wedi newid ers y blynyddoedd cychwynnol. Dangosodd Angharad y camau mae hi’n gymeryd i ysgrifennu’r cylchgrawn, ei osod yn daclus a’i argraffu. Cafodd pawb galendar lliwgar a holiadur difyr i’w lenwi ac enillodd Beca Elen wobr. 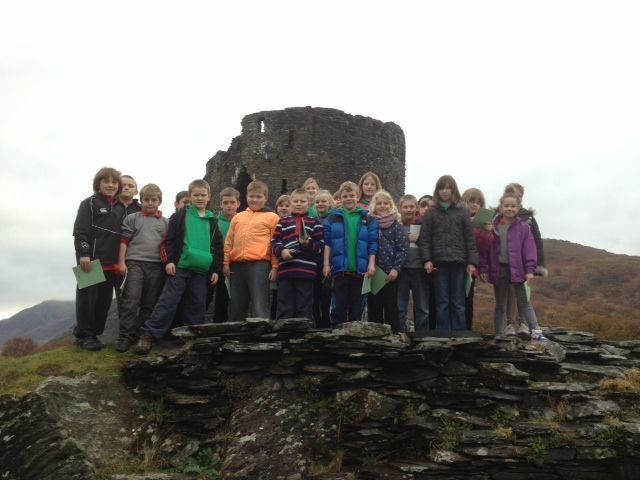 Braf oedd cael croesawu cyn riant a llywodraethwr i’r ysgol sef Gwilym Griffith, Plas Isaf, Llwyndyrys neu Gwilym Plas. 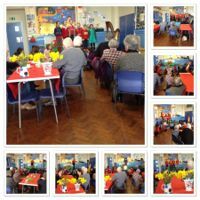 Daeth i ddosbarth Bl 6 i adrodd hanesion a dangos sleidiau o’i ymweliad a Phatagonia.Mwynhaodd y dosbarth yn fawr yn ei gwmni. 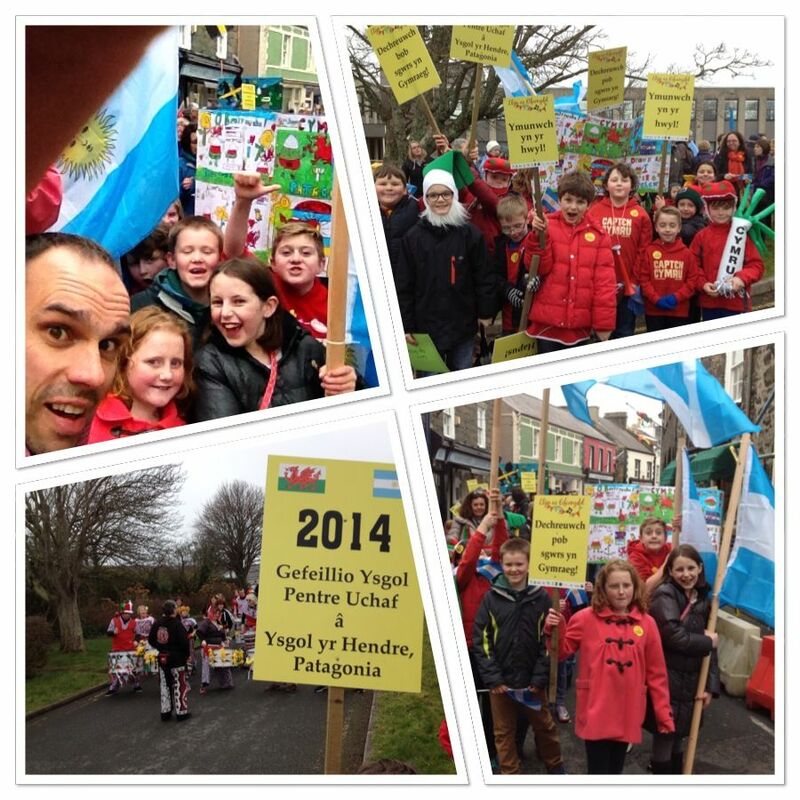 Cafodd y dosbarthiadau ieuengaf gwmni Iolo Wyn Jones am bythefnos o brofiad gwaith fel myfyriwr dysgu. Roedd yn chwith mawr ganddynt ei weld yn mynd a chofia ddod yn ol Iolo. 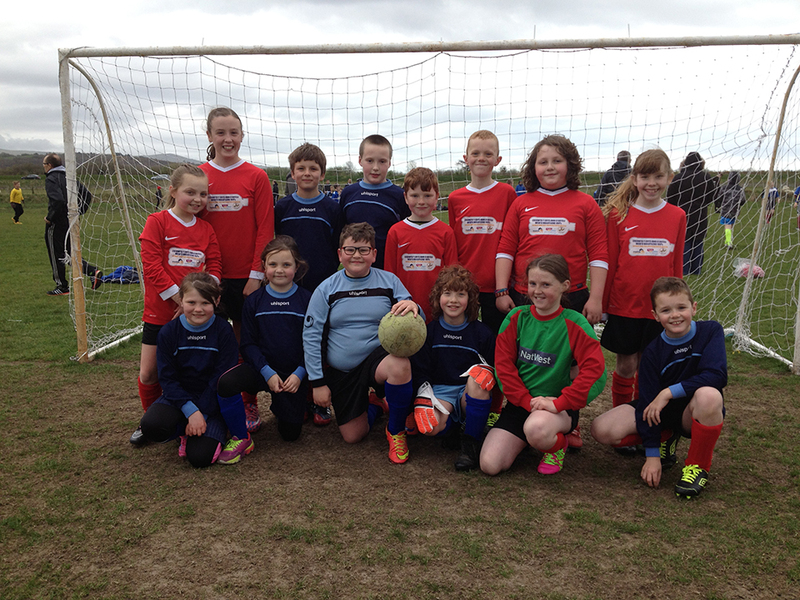 Croesewir Dylan Roberts atom fel athro y tymor yma. Bydd Ms Fflur Williams yn cymeryd hoe dros ei chyfnod mamolaeth. Cafwyd gem bel-droed a phel-rwyd yn erbyn Ysgol Llangybi ddechrau Chwefror.Roedd hi’n gem dda a’r plant yn mwynhau gweithio fel tim gydag andros o reffari penigamp !!!! Llongyfarchiadau! i Greta a Math am ennill Pecyn Nadolig Cyw yn rhifyn mis Ionawr o’r cylchgrawn. Roedd Greta wedi tynnu llun o’i chwningen a’i chwt, a Math wedi tynnu llun da iawn o Rapsgaliwn. Llongyfarchiadau hefyd i Owain sydd yn gwneud yn dda iawn yn Nhim Rygbi Eryri. 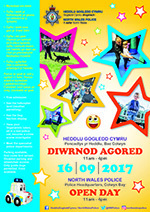 Cafwyd buddugoliaeth ddiwedd Ionawr yn y Rhondda gyda sgor o 15 - 12 i Eryri. 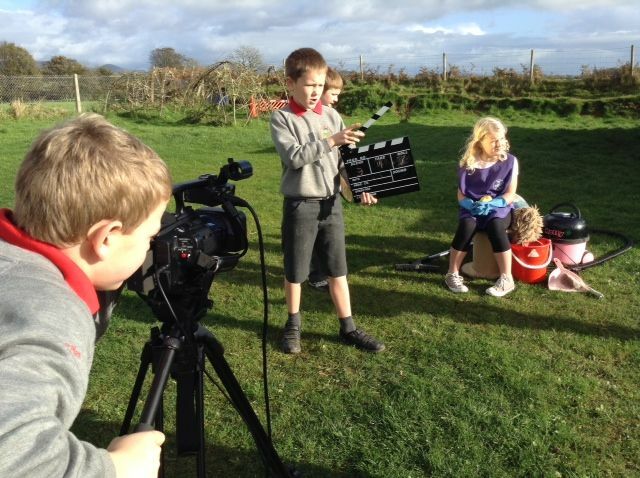 Aeth dau ar bymtheg o Fl 4 a 5 ar antur ychydig bach yn bellach yng nghwmni deuddeg ffrind newydd o Ysgol Felinheli am wersyll Glan LLyn.Wedi cychwyn am 7.30 fore Llun-braf oedd cyrraedd i ddeuddydd heulog yn Llanuwchllyn a Llyn Tegid fel gwydr. Ymysg y gweithgareddau poblogaidd roedd y canwio, cwrs rhaffau uchel a’r disgynnydd, a’r gwylltgrefft oedd yn dysgu sgiliau cynnau tan wrth wersylla,rhostio malws melys a berwi dwr i wneud siocled poeth. Roedd o’n dda mewn tipi rhewllyd! Roedd ambell un yn cysgu’n braf ar y ffordd adref y pnawn canlynol oedd yn arwydd o gyffro a blinder ar ol profiadau bythgofiadwy, sgwrsio di-baid ac ychydig o ddanteithion mewn sachau cysgu! Glan Llyn- mi fyddwn yn ein holau!!! Diolch i Nia Williams am gynnal gwasanaeth ar ddechrau’r flwyddyn.Mae hi bob amser yn braf ei chroesawu atom heb anghofio Lewis. Casglwyd £350 tuag at Dy Gobaith yng nghyfarfod Nadolig y plant a charwn ddiolch i rieni,perthnasau a llywodraethwyr a gefnogodd y plant a’r achos.